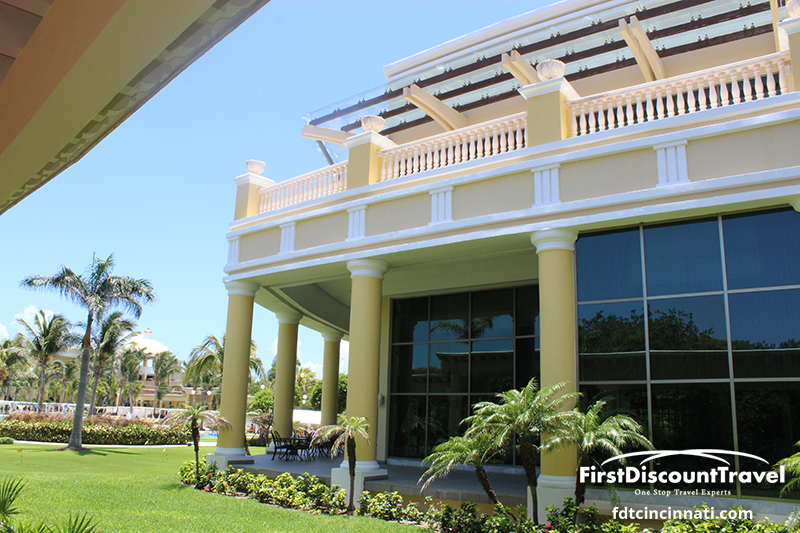 With an impressive neo-classic design, this fine adults- only resort in Riviera Maya is designed to fulfill your every need and exceed your every expectation. 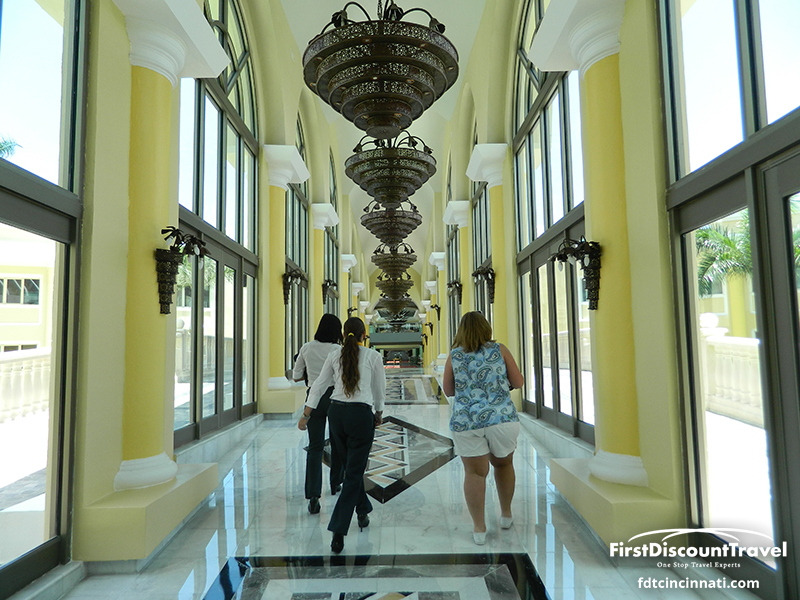 From your luxurious suite with concierge and butler service, to the highly trained professional staff, the all-inclusive 24-hour service will cater to your every whim. 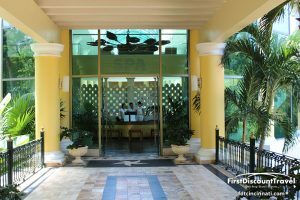 There are three pools onsite - a lake pool with swim-up bar, a quiet pool and a heated indoor/outdoor pool with retractable roof. 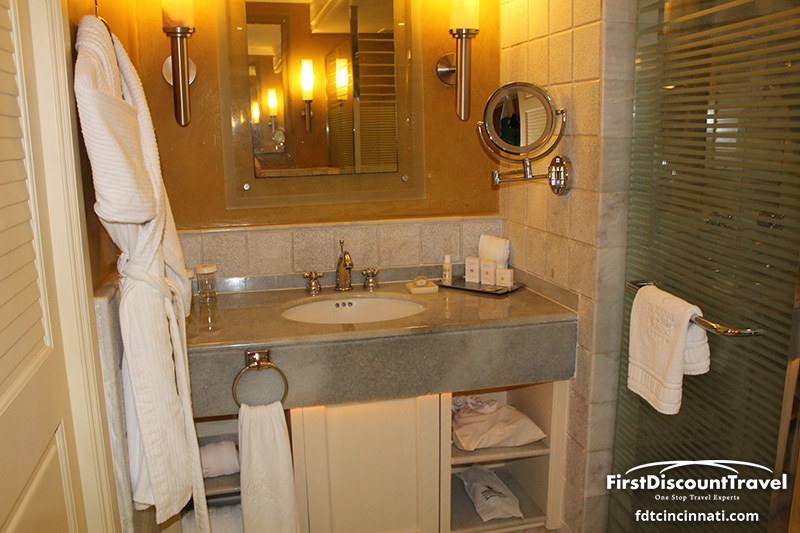 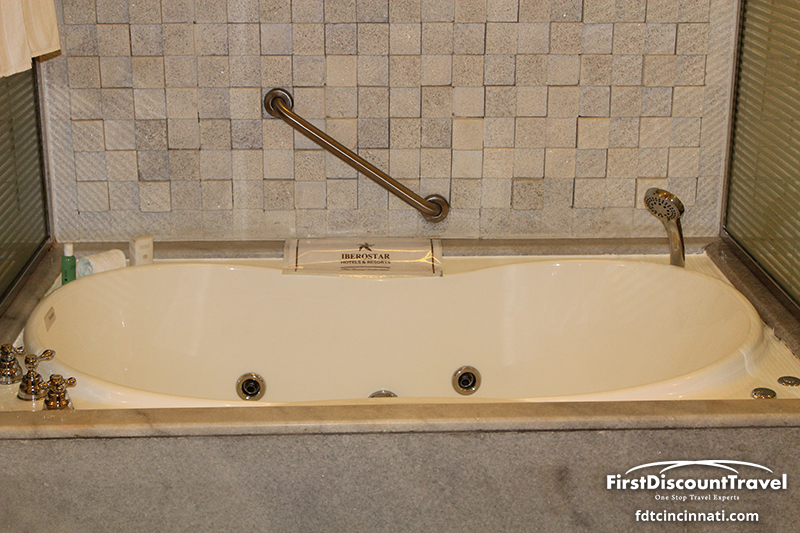 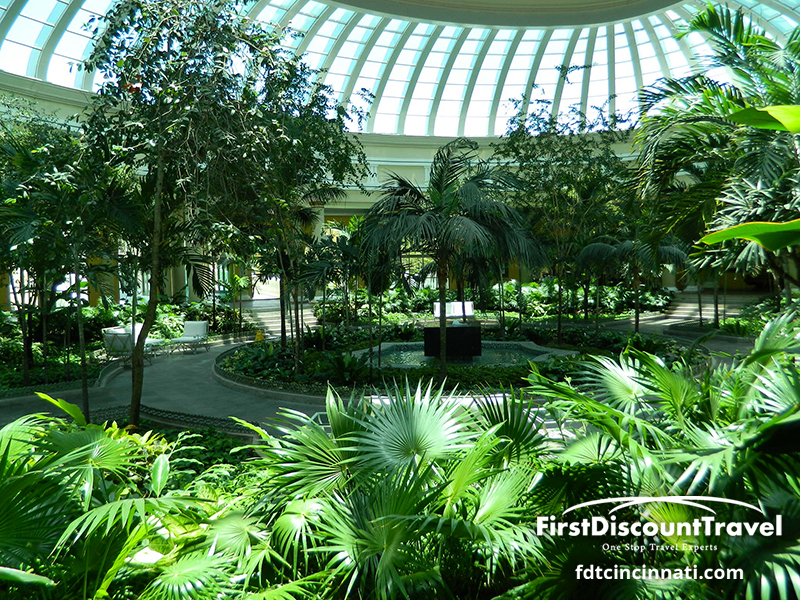 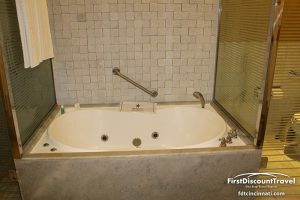 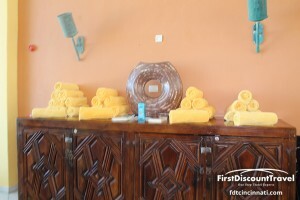 Other hotel amenities include shops, a beauty salon and a spa specializing in couples' treatments and massages. 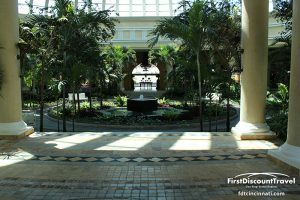 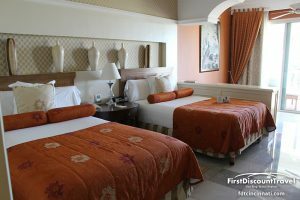 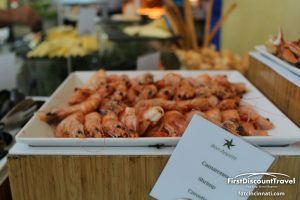 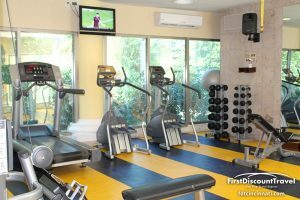 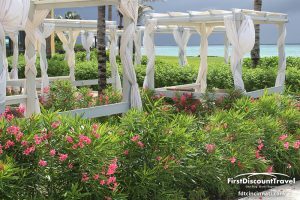 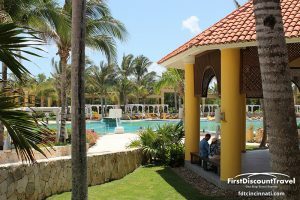 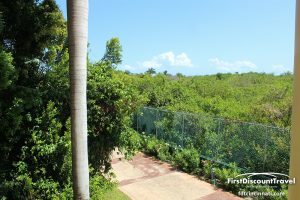 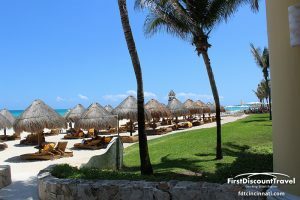 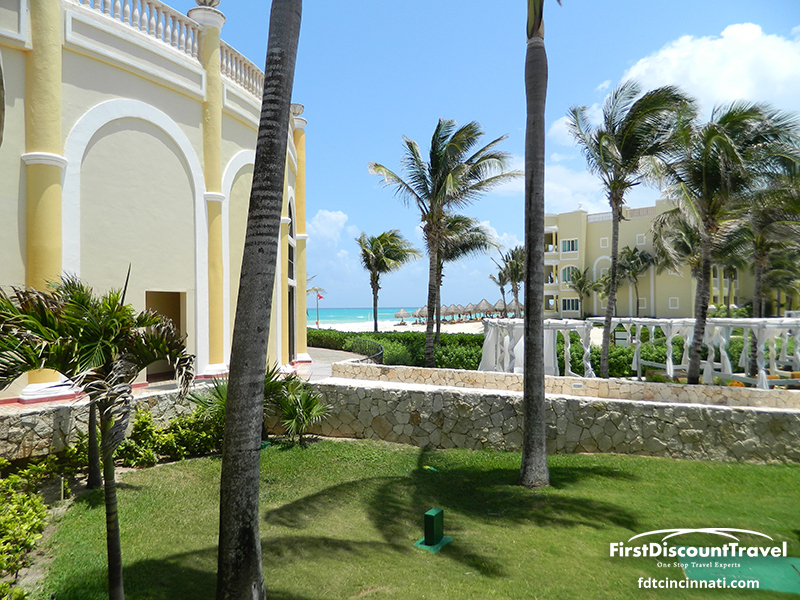 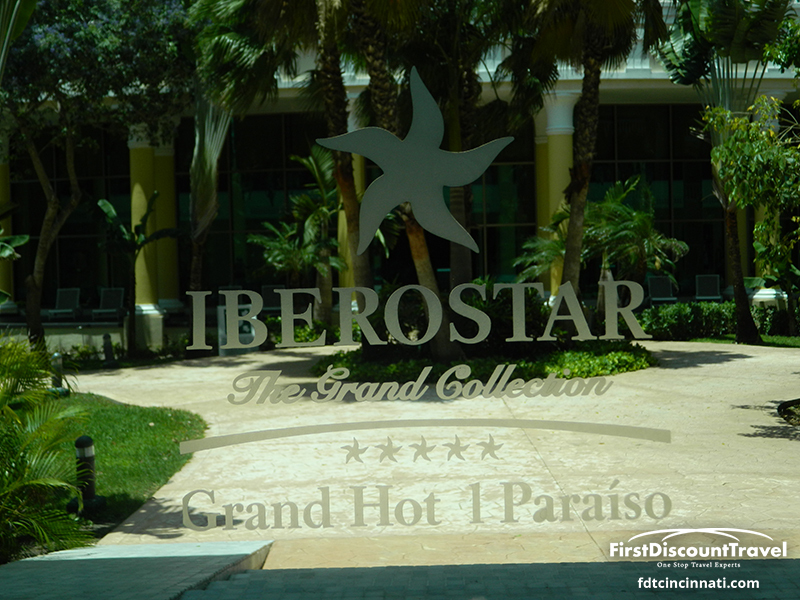 In addition, guests enjoy full access to all neighboring hotels in the Iberostar Playa Paraiso complex and El Spa (located at the Shopping Center). 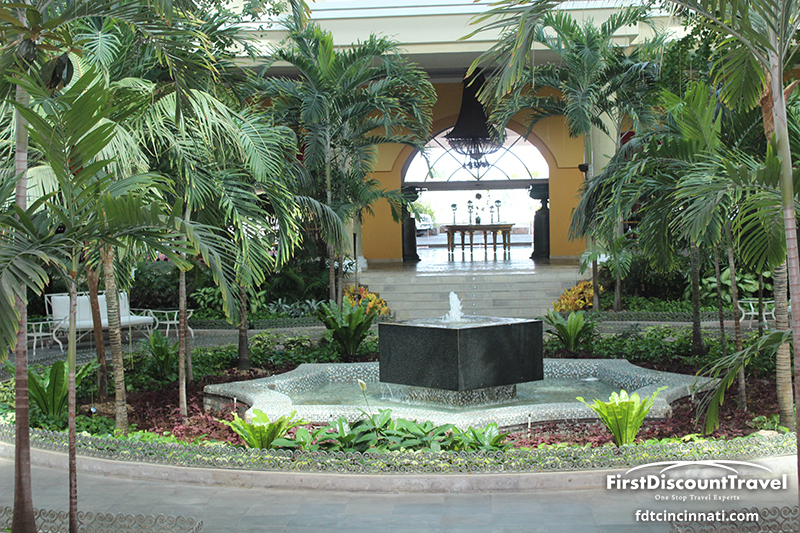 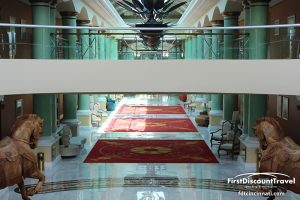 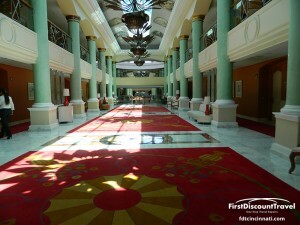 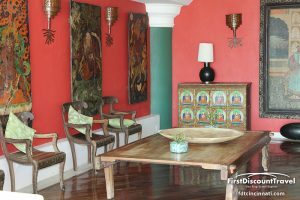 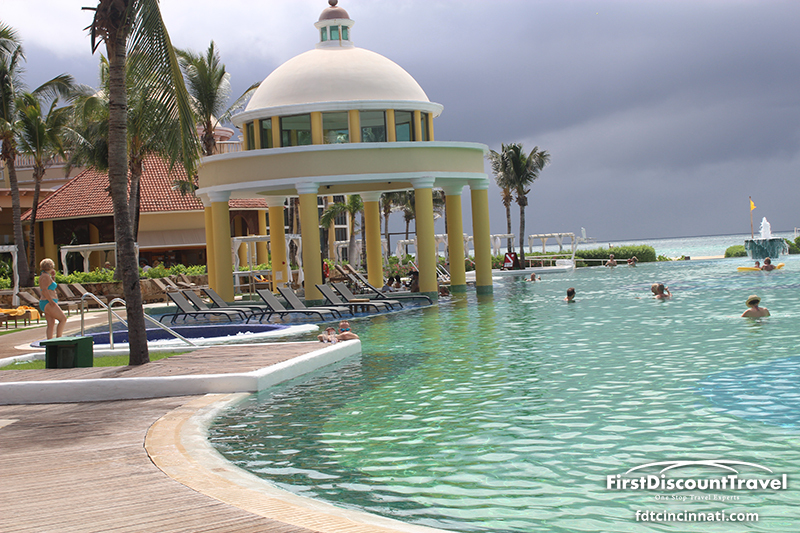 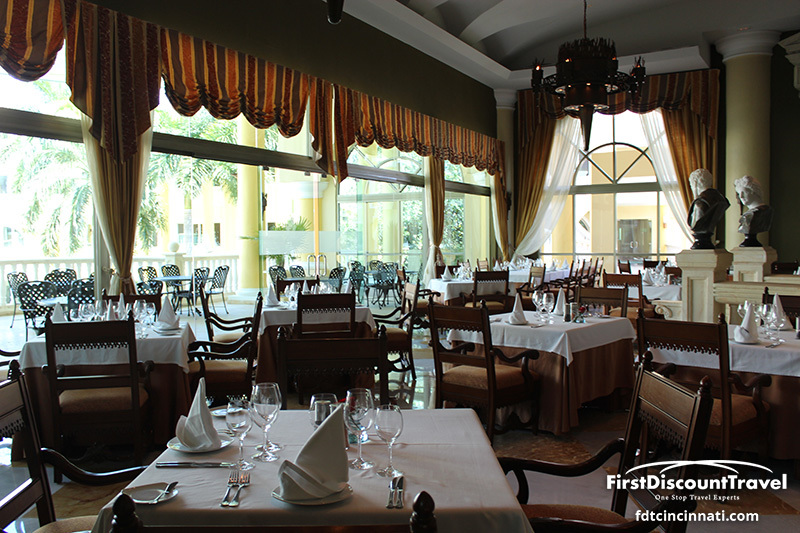 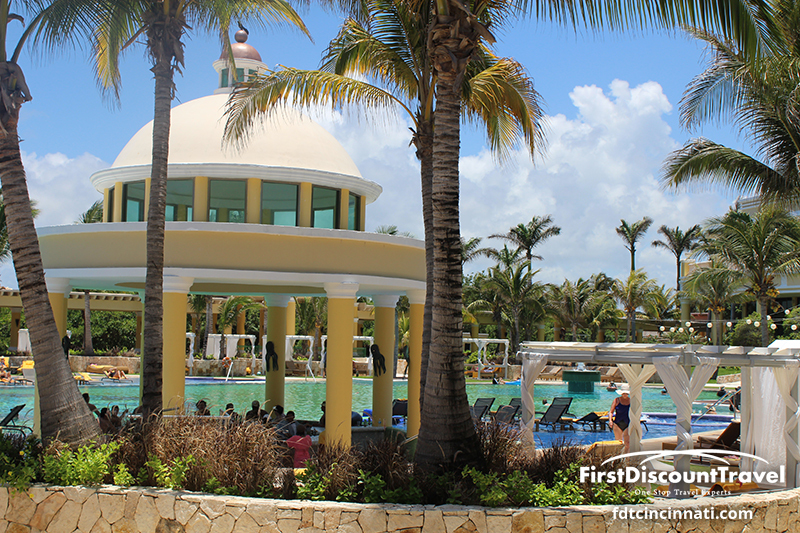 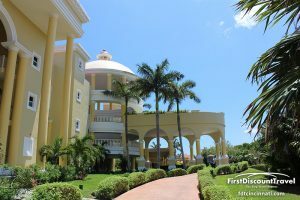 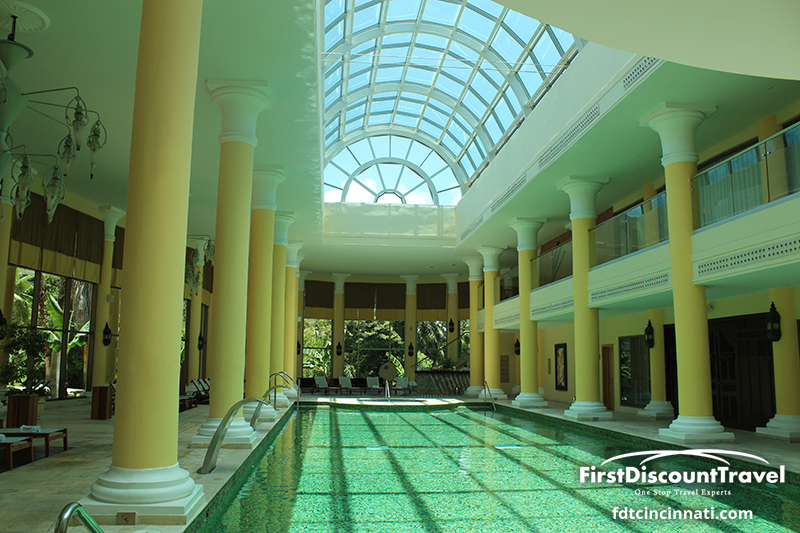 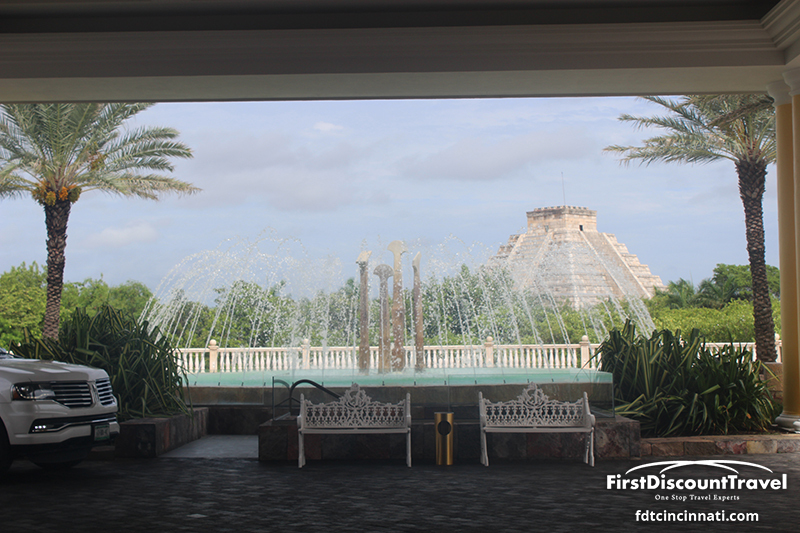 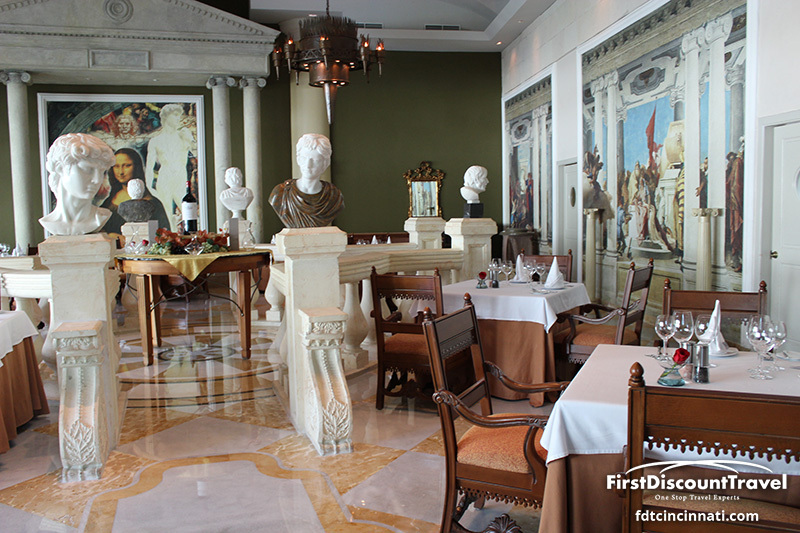 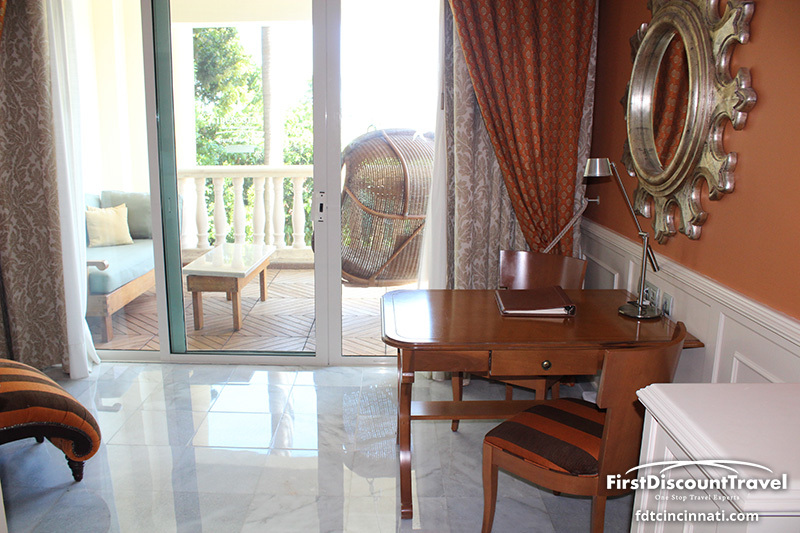 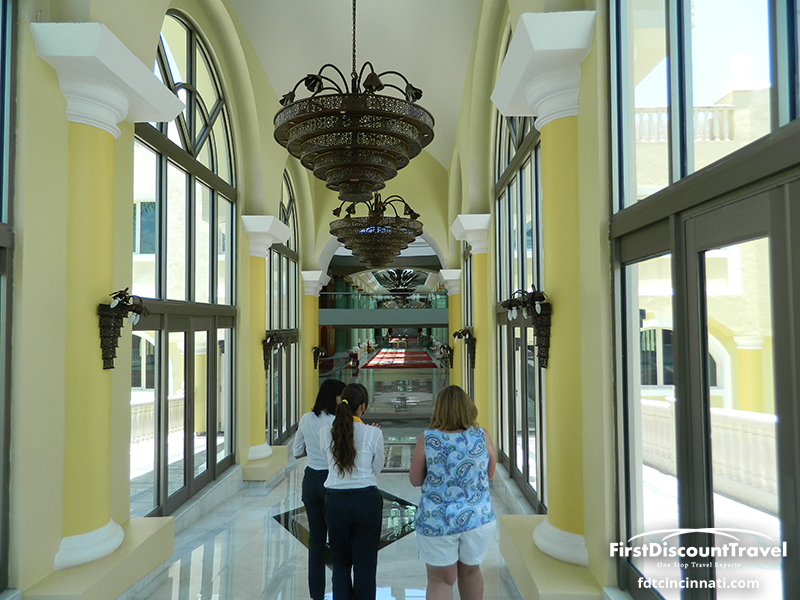 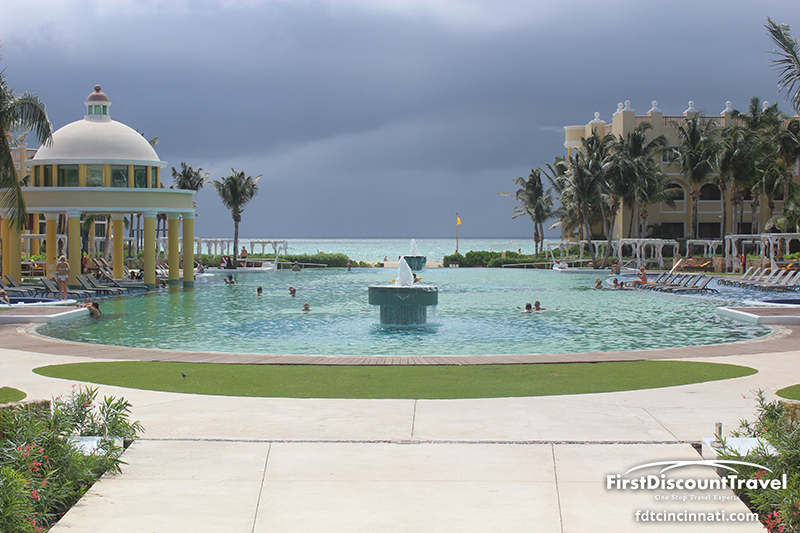 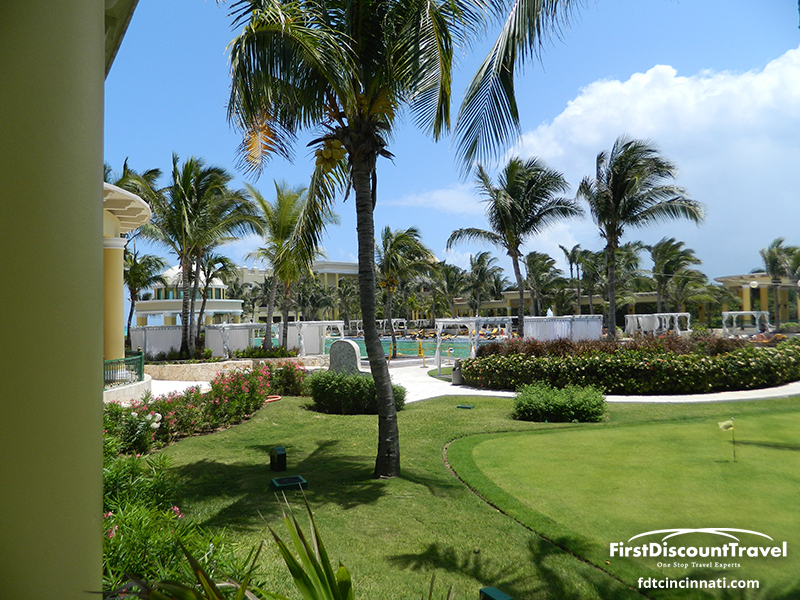 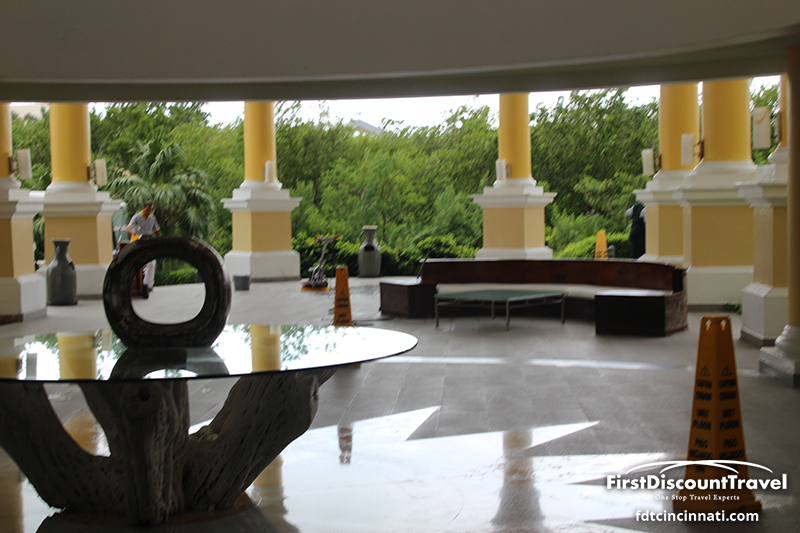 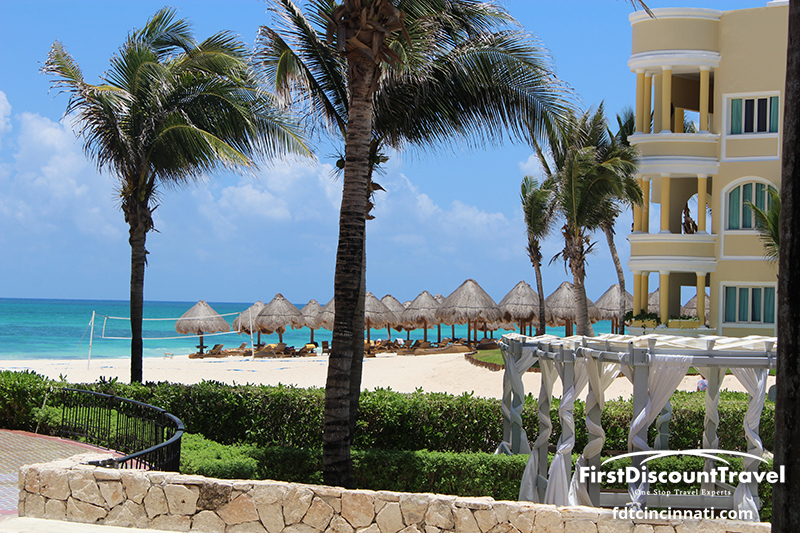 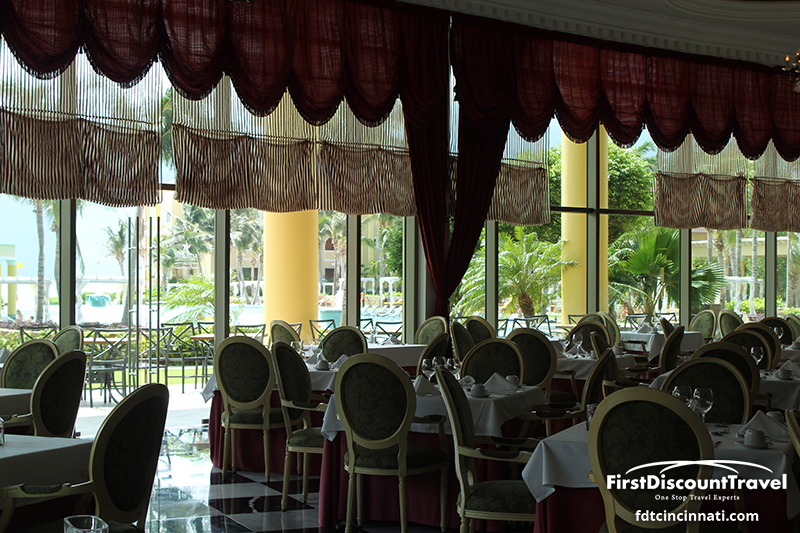 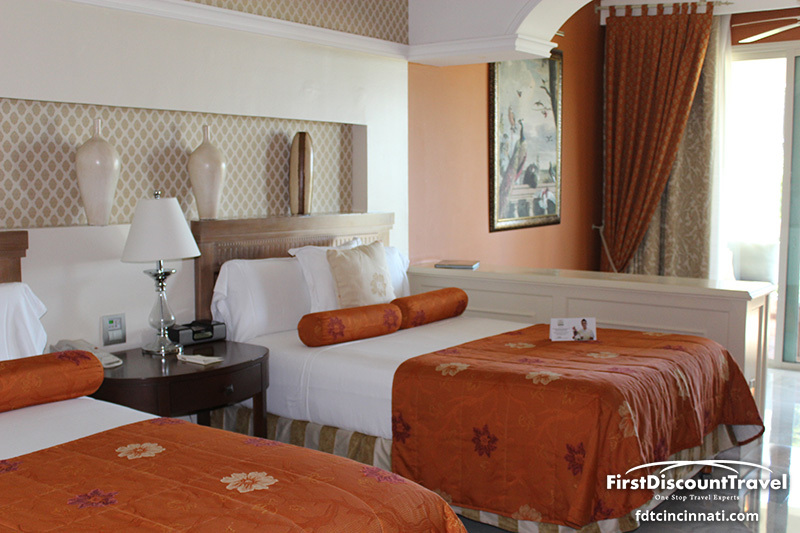 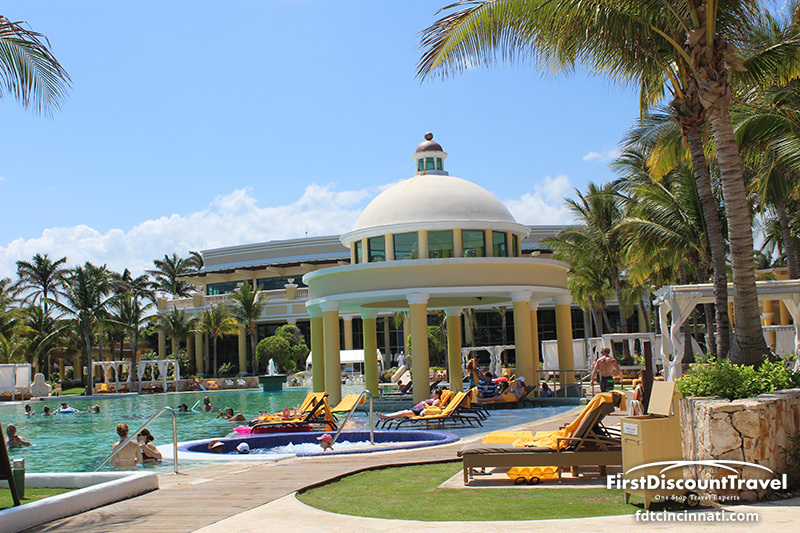 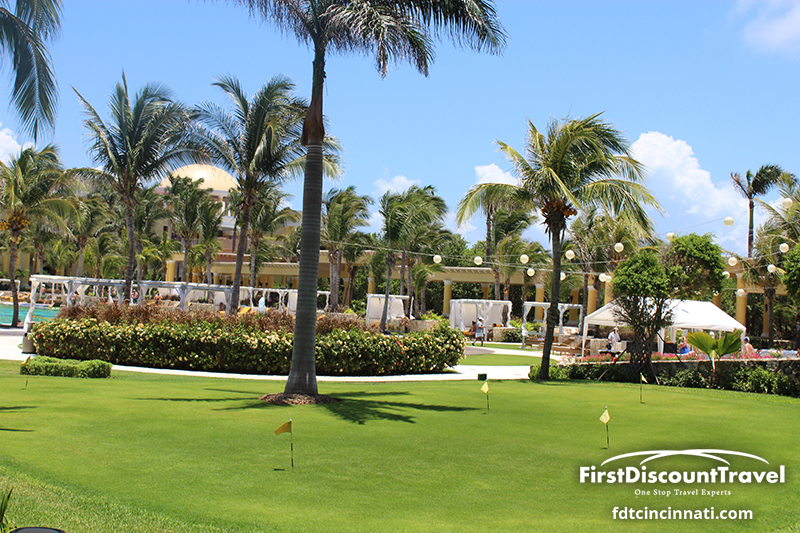 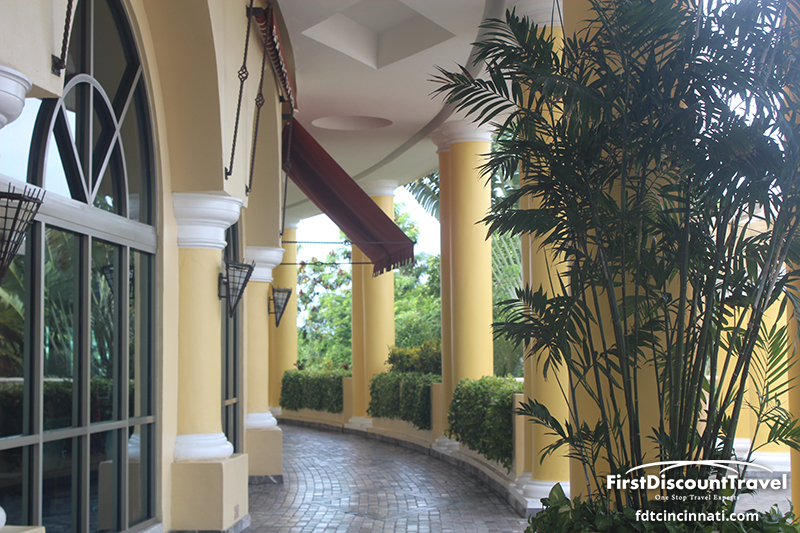 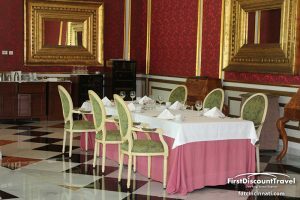 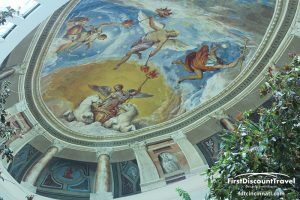 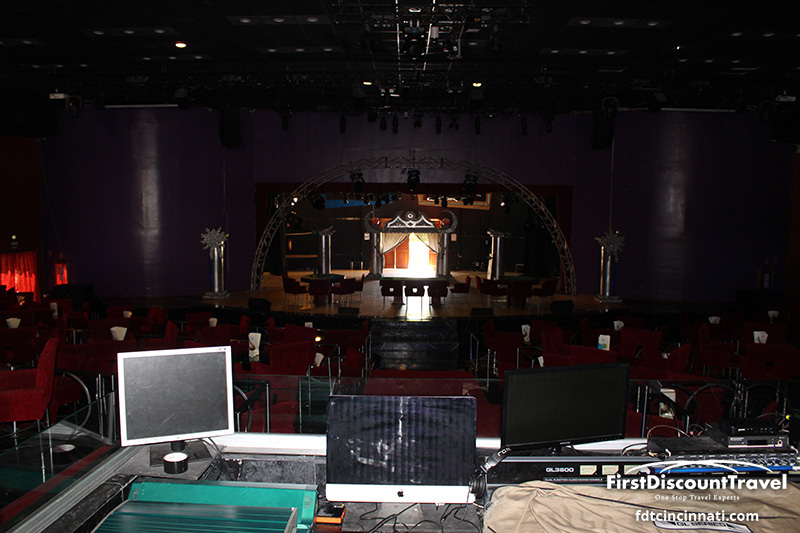 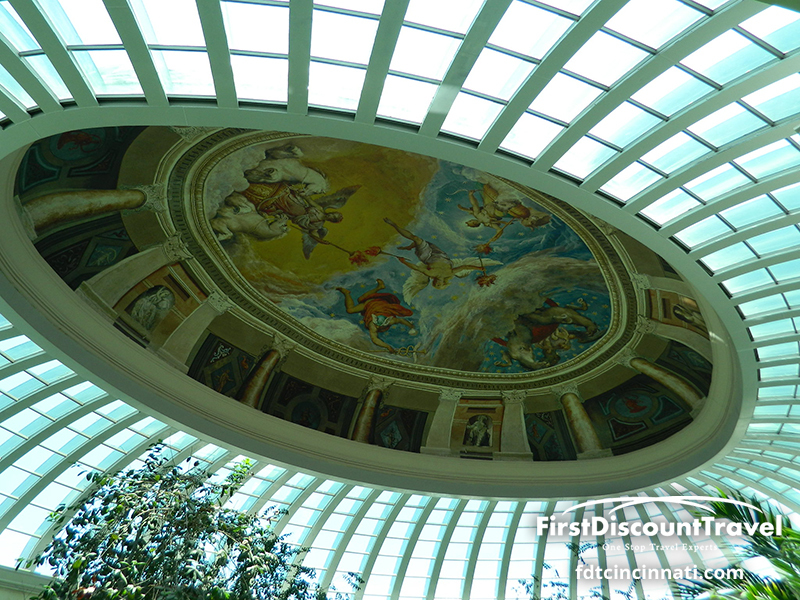 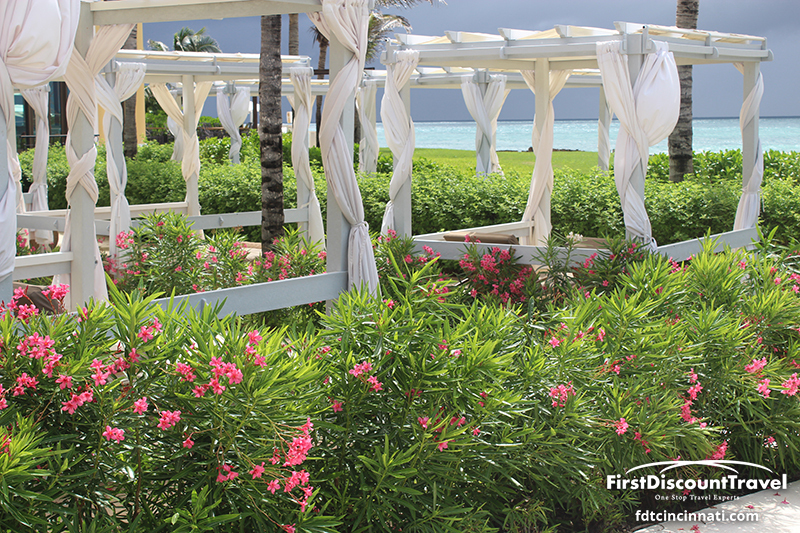 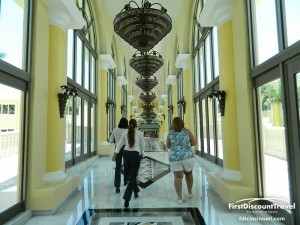 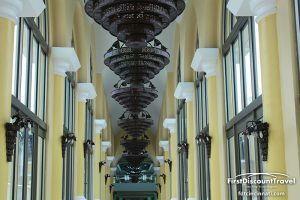 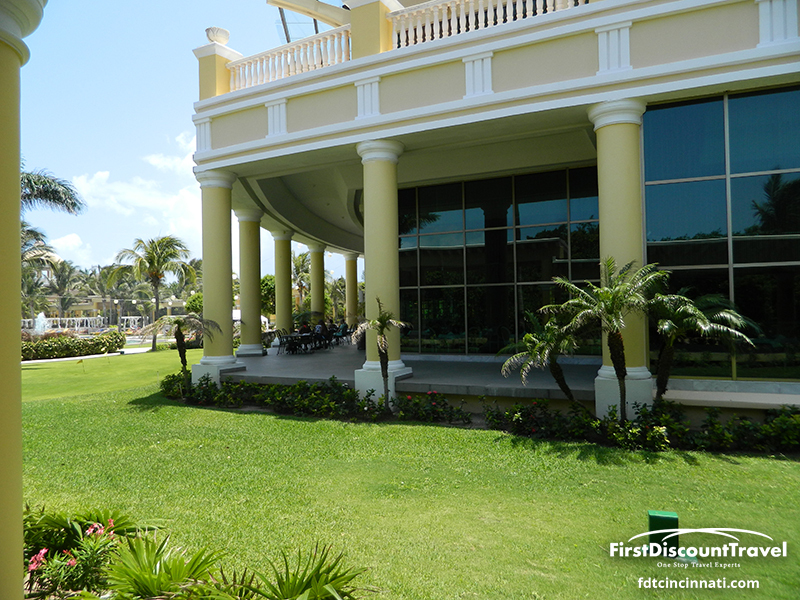 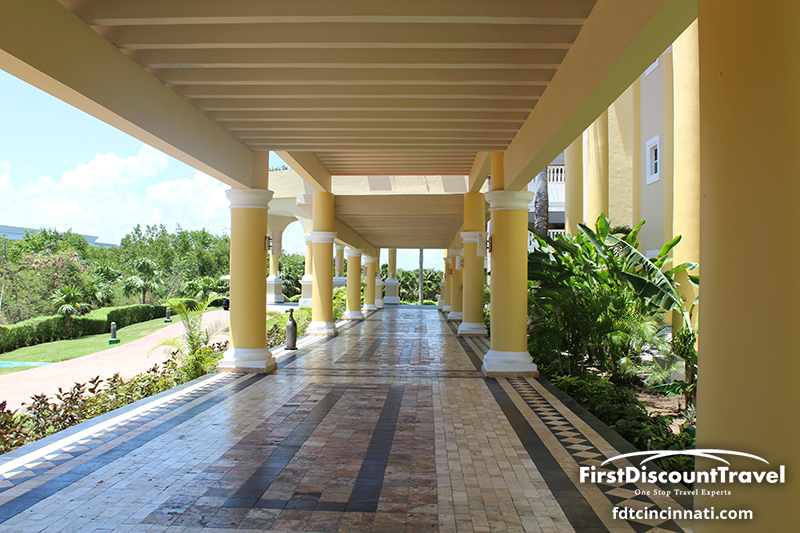 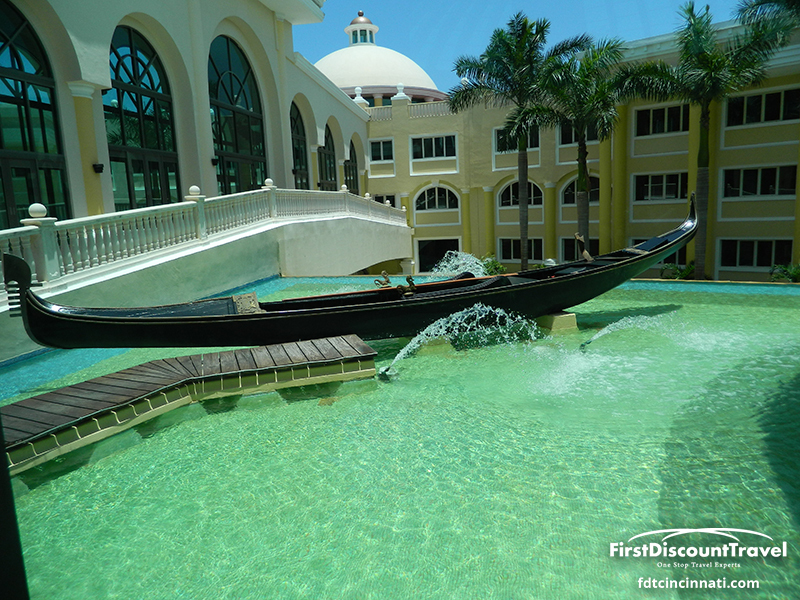 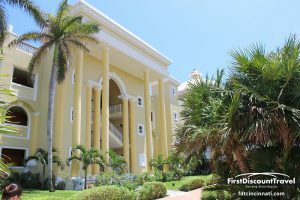 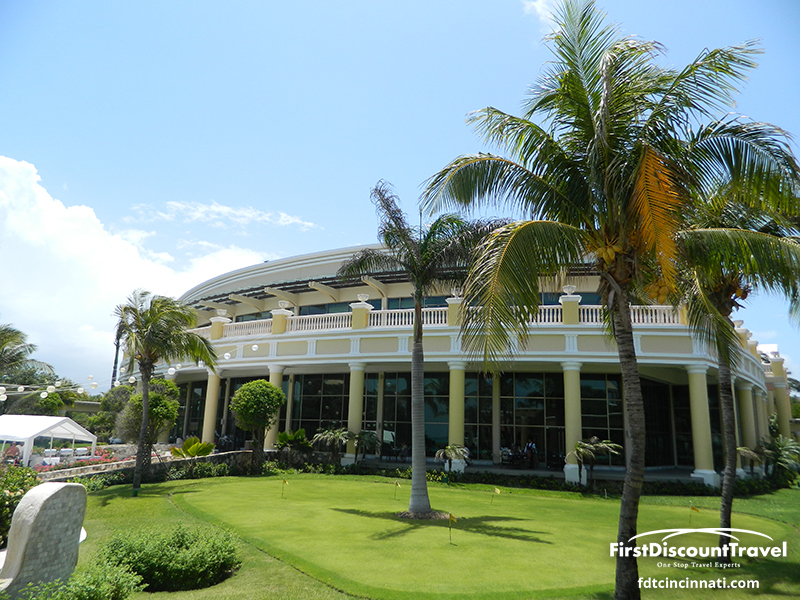 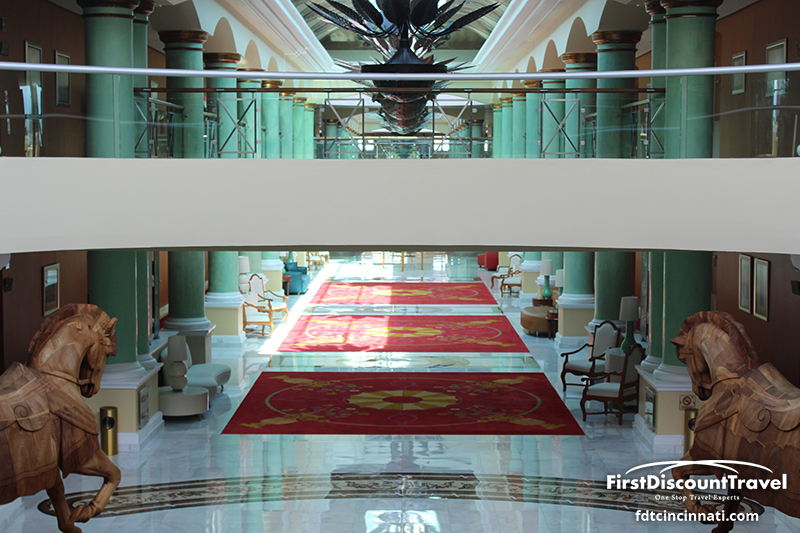 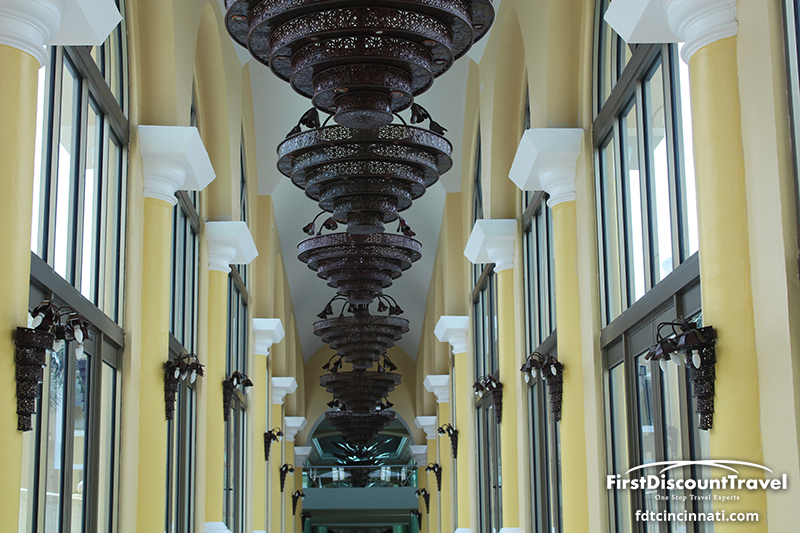 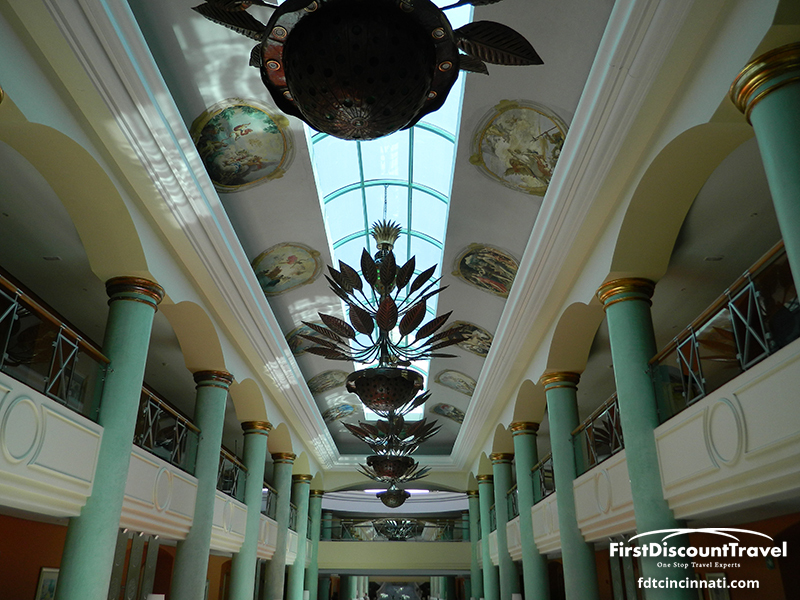 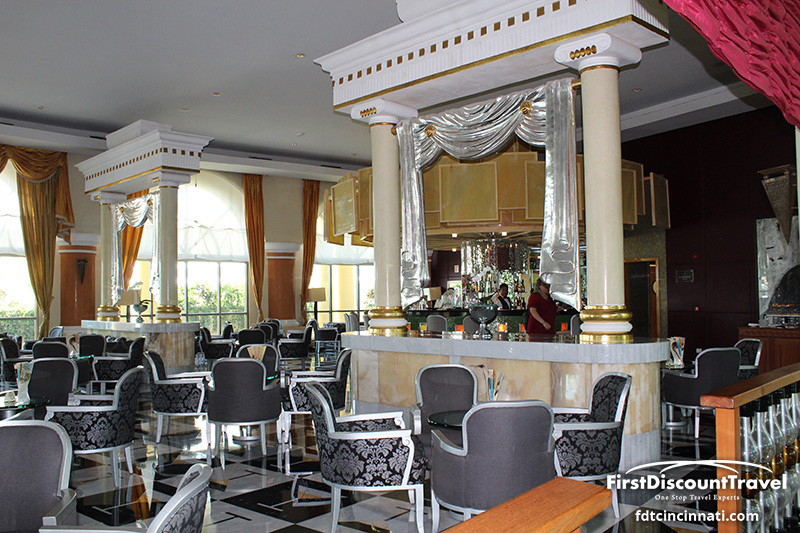 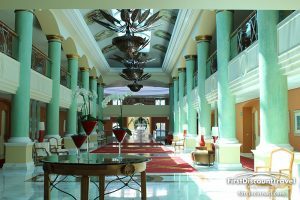 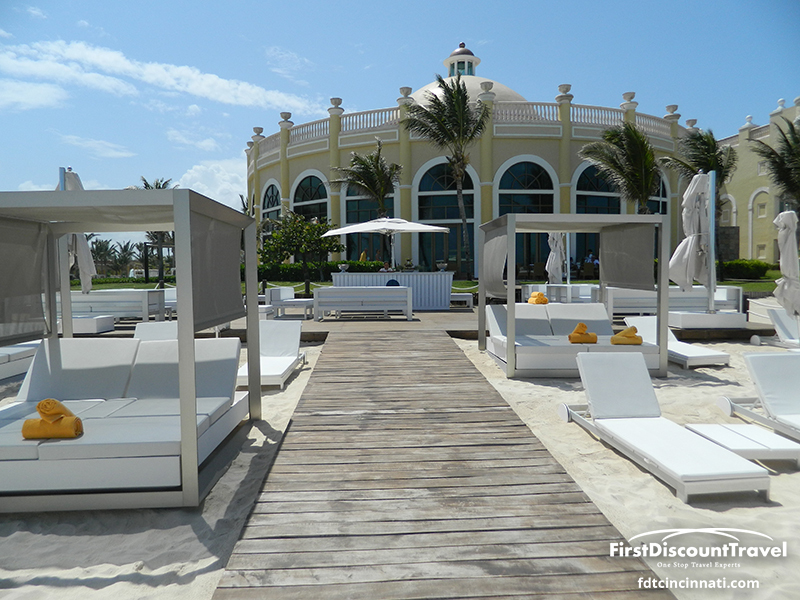 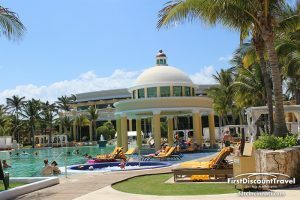 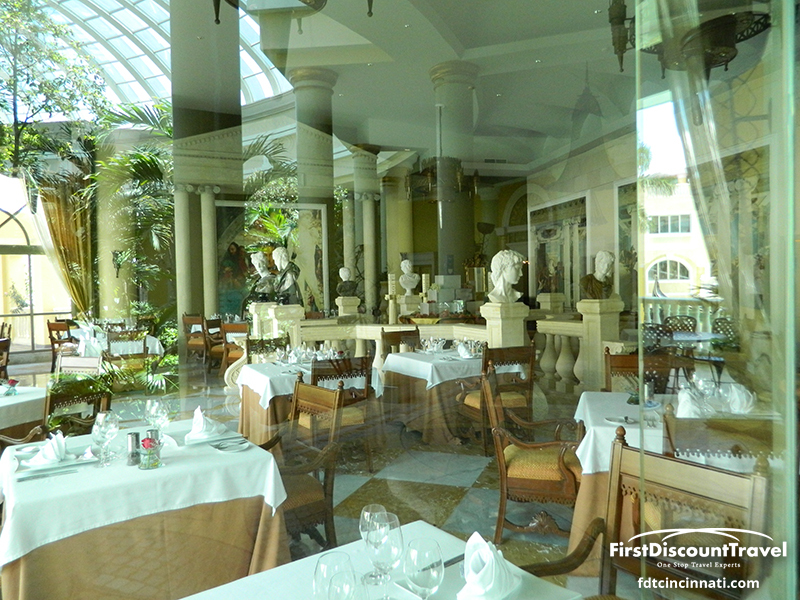 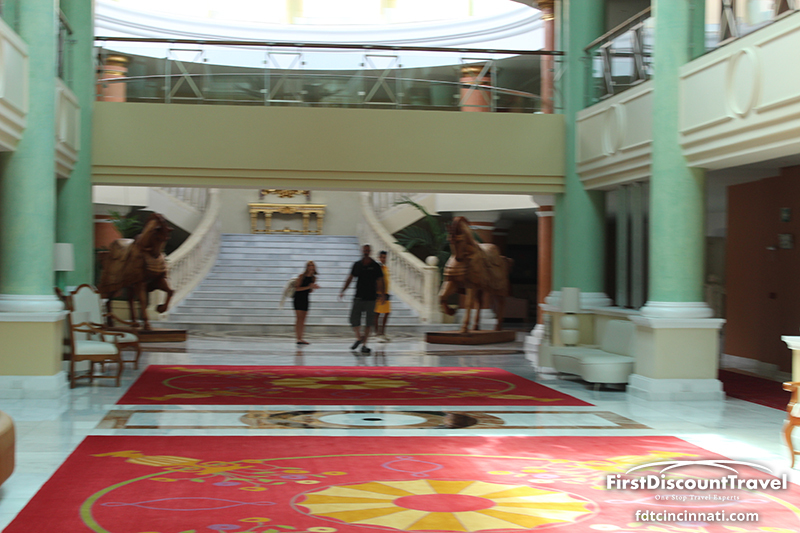 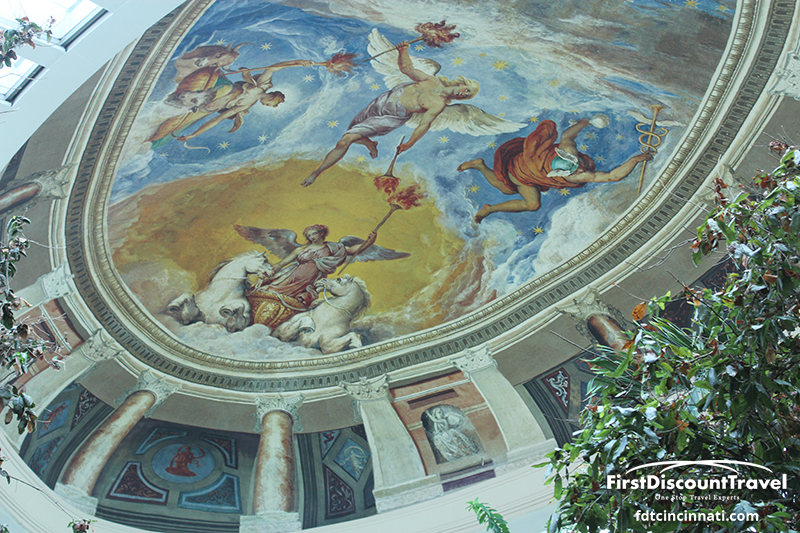 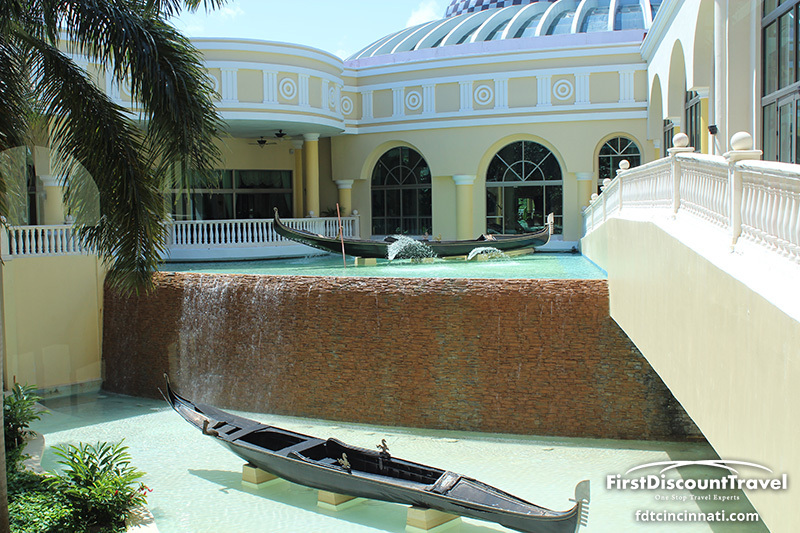 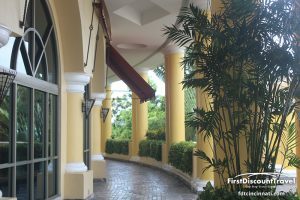 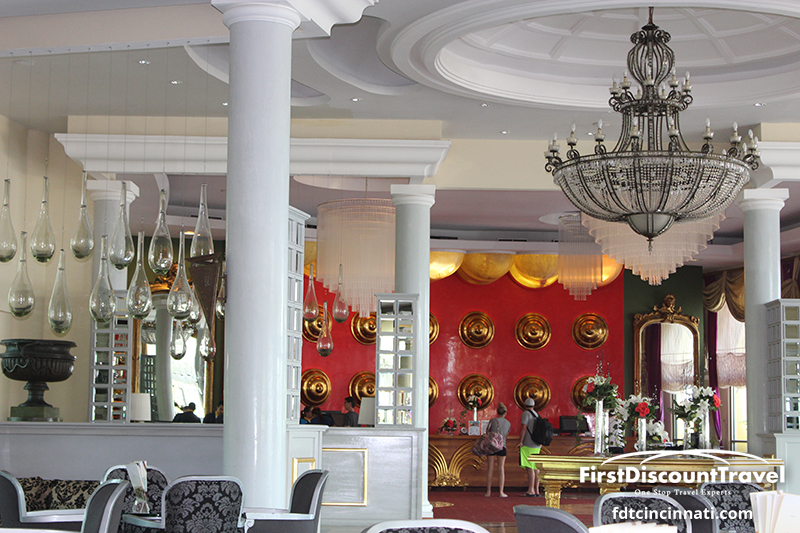 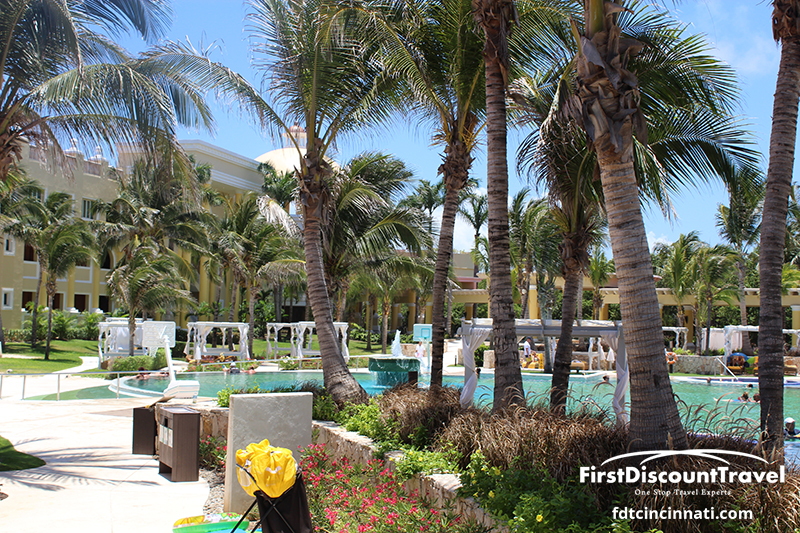 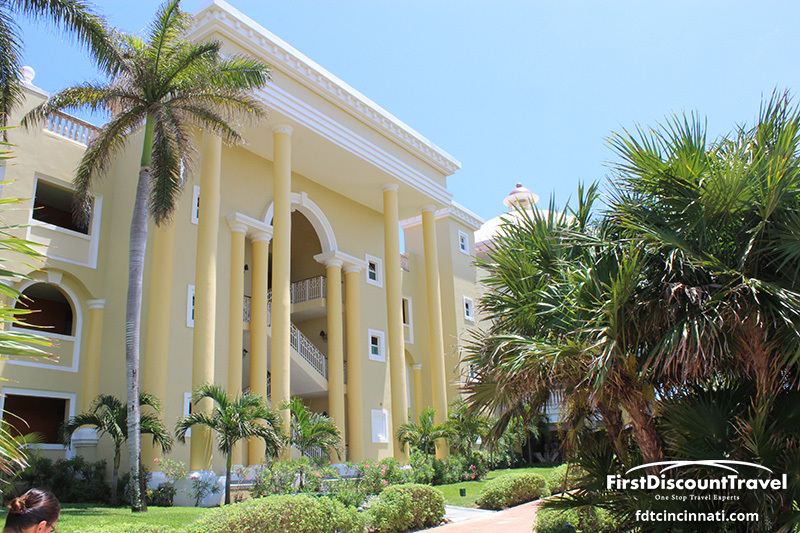 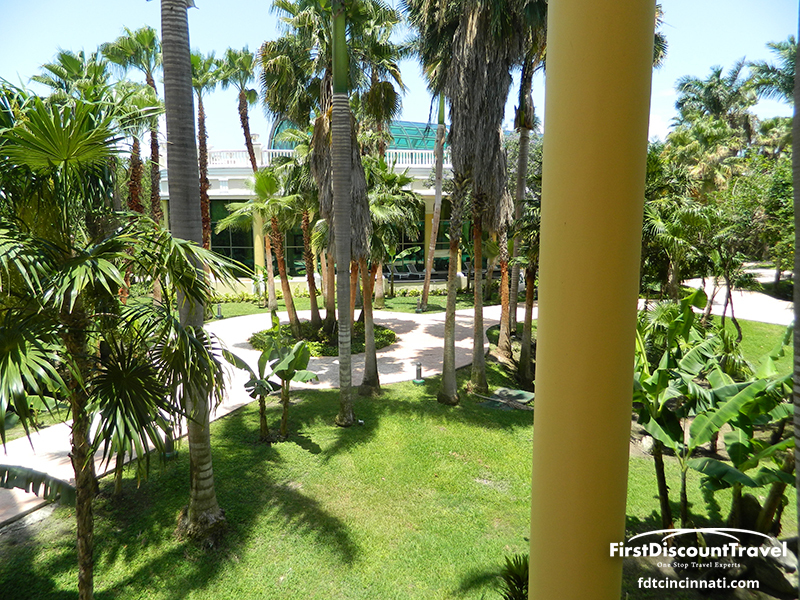 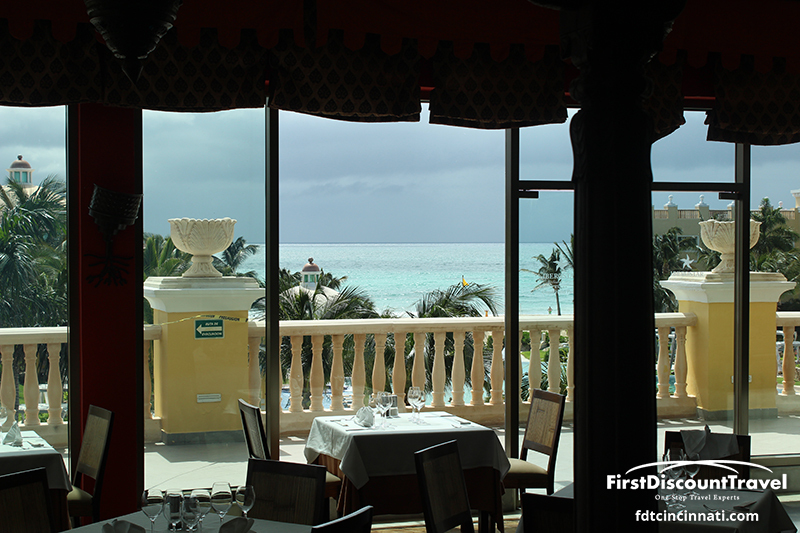 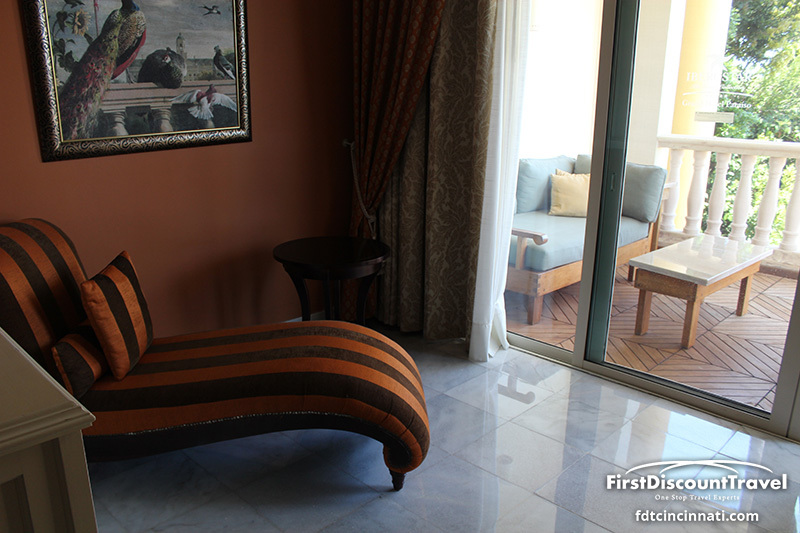 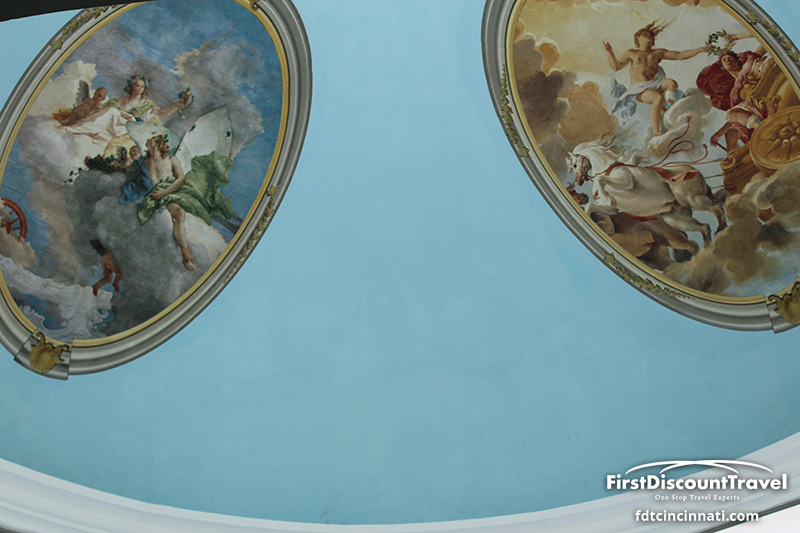 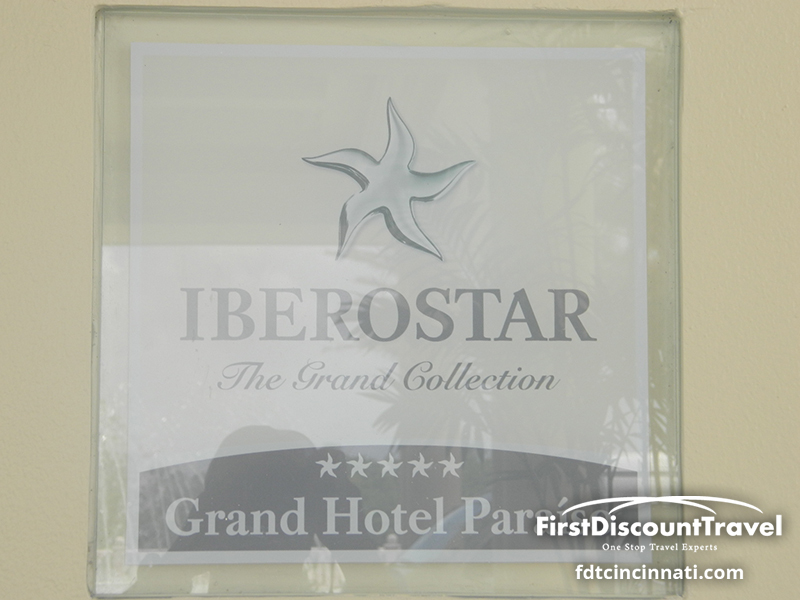 The Iberostar Grand Paraiso definitely has the wow factor. 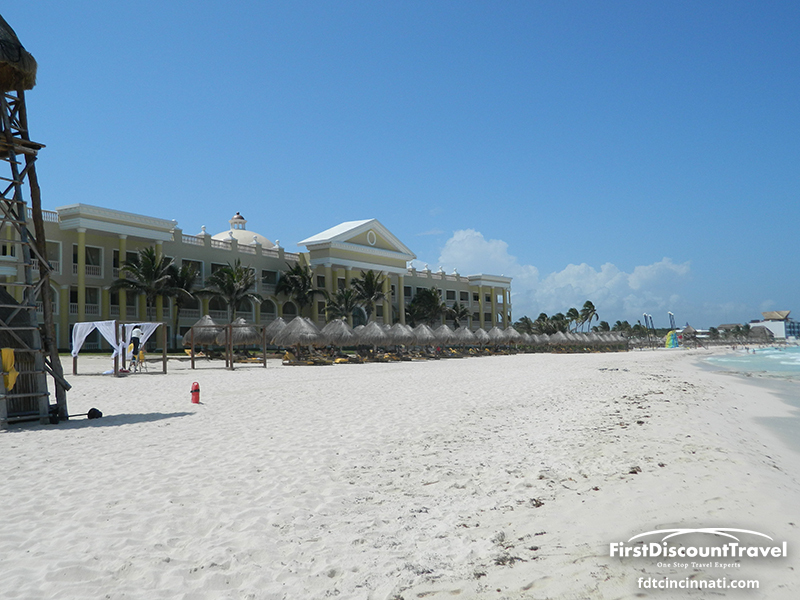 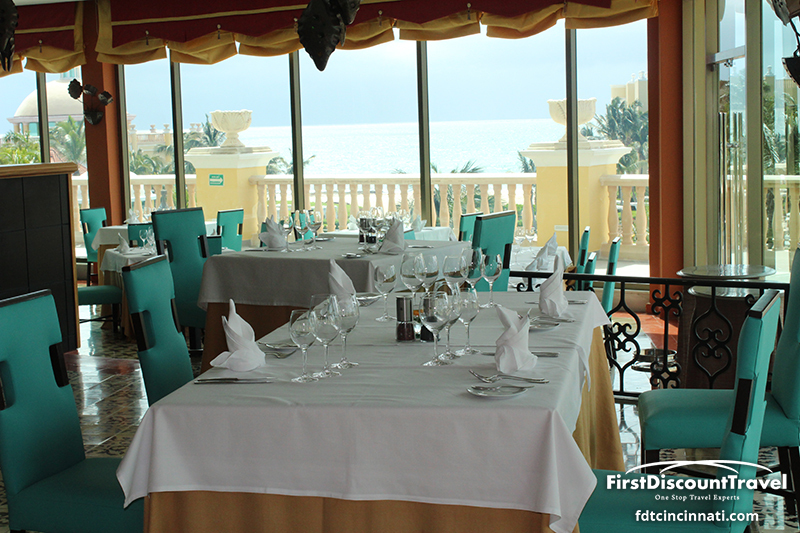 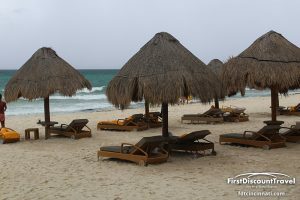 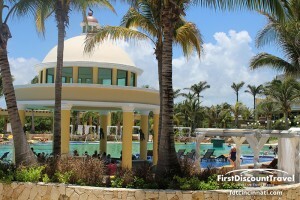 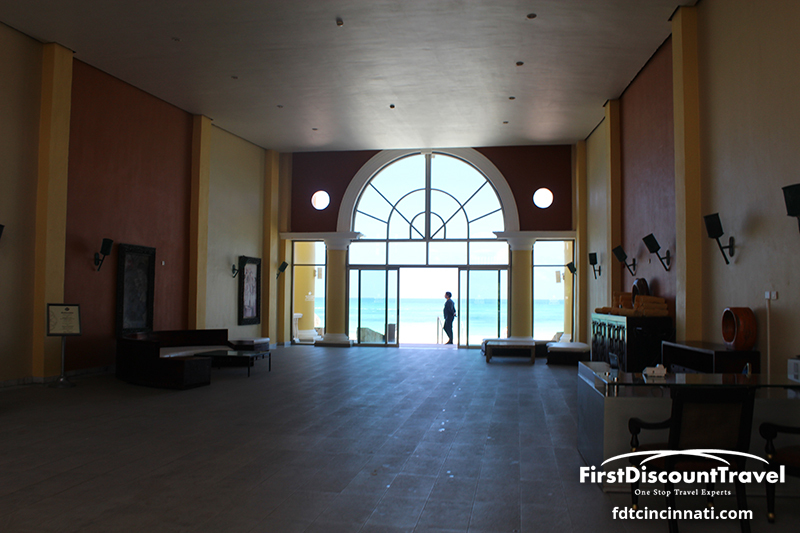 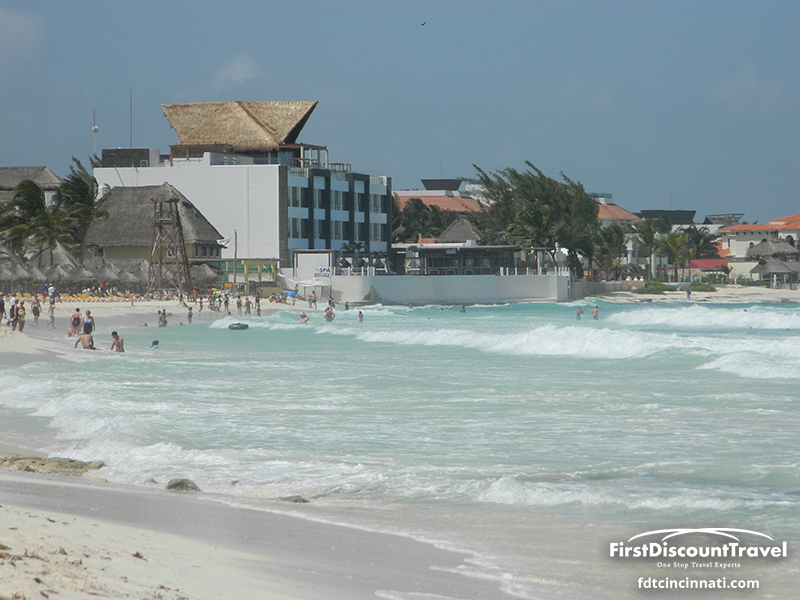 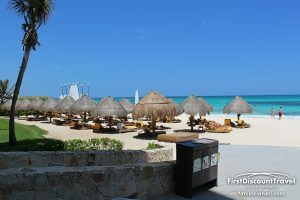 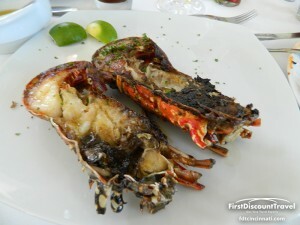 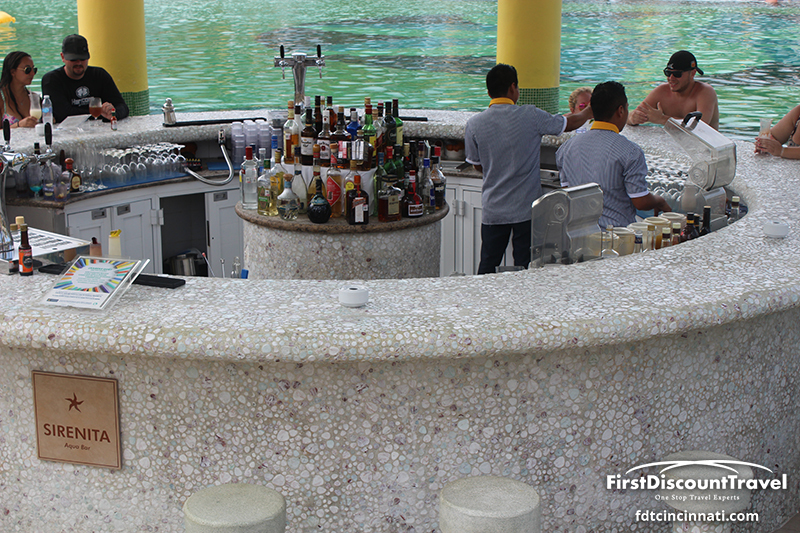 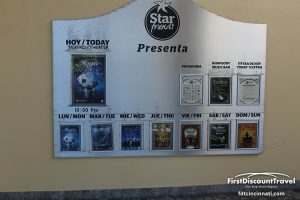 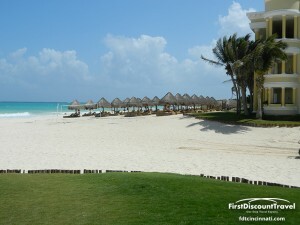 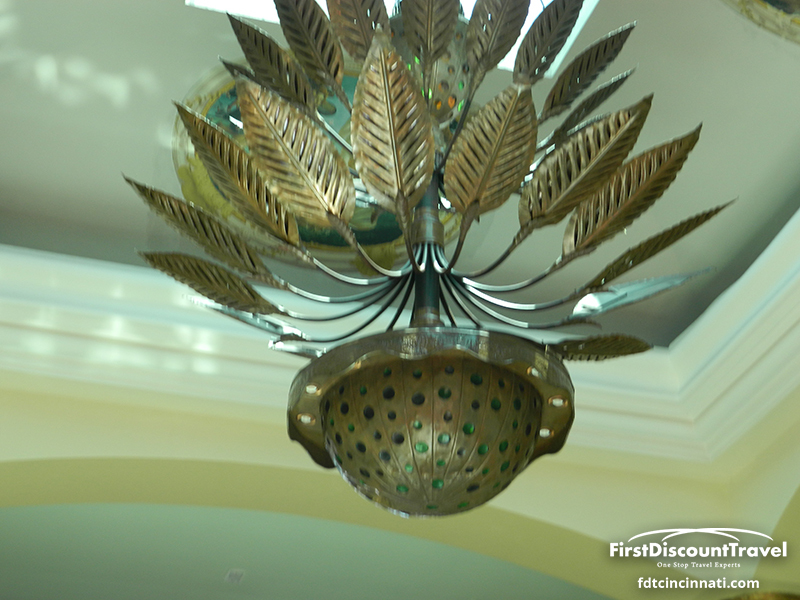 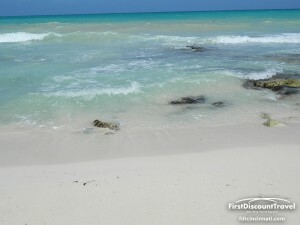 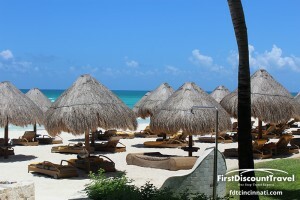 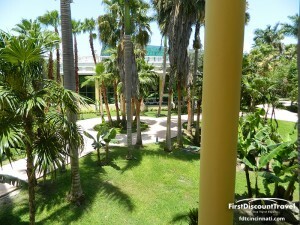 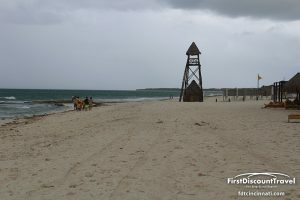 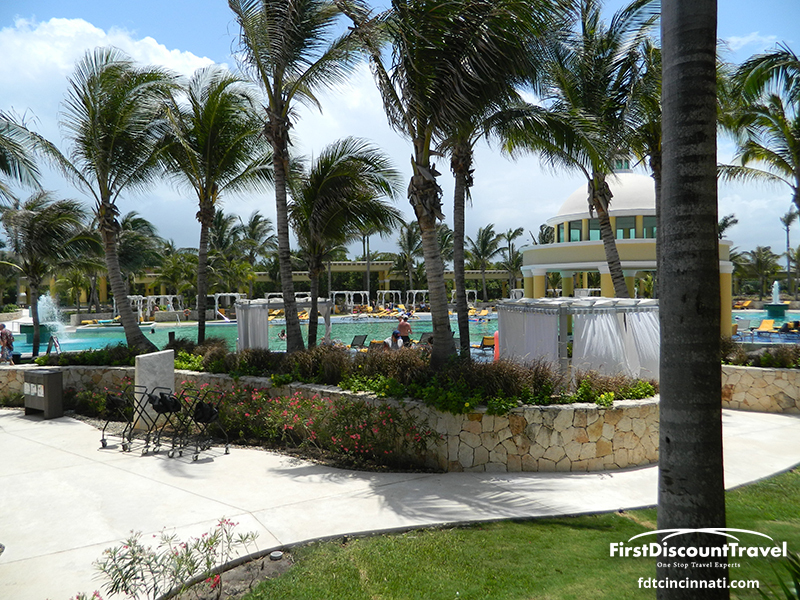 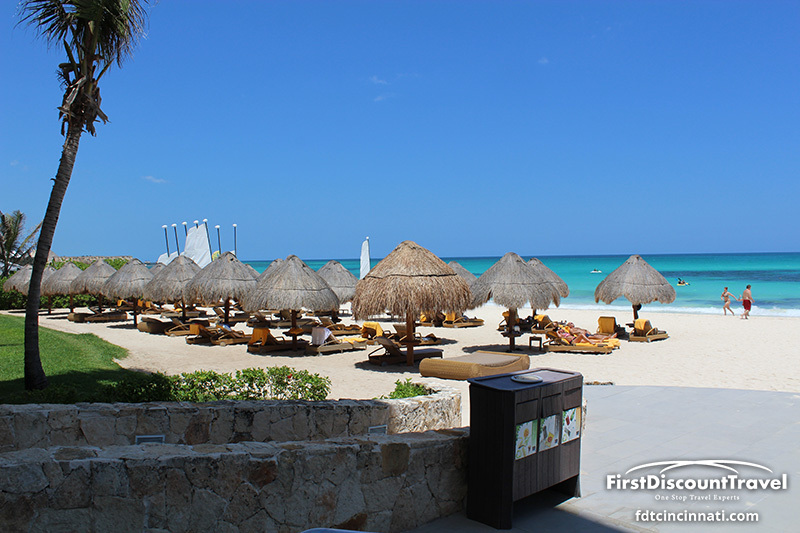 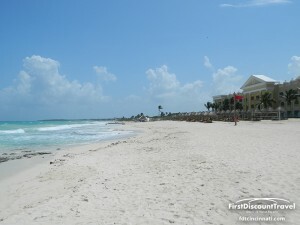 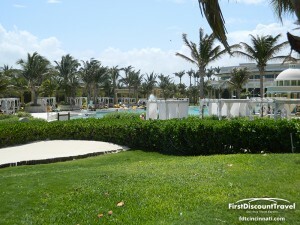 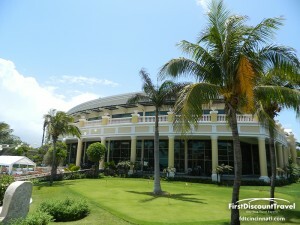 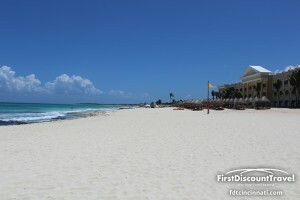 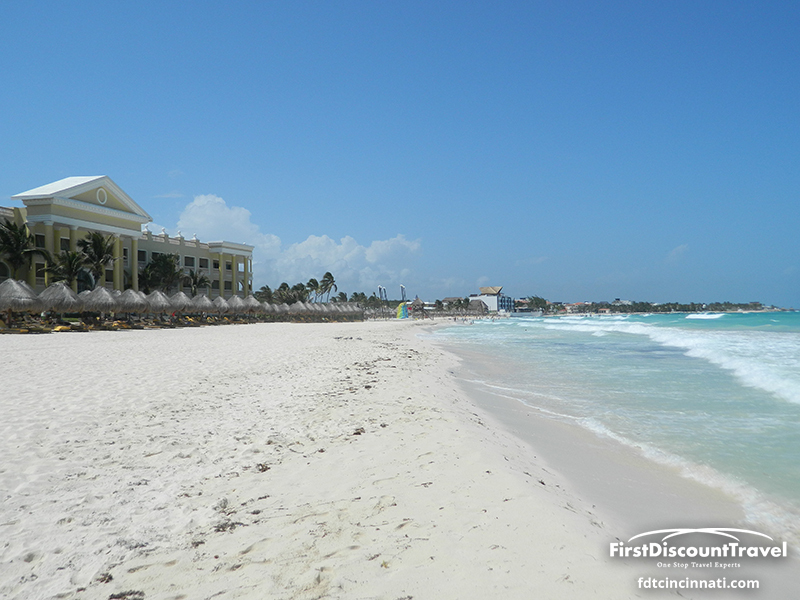 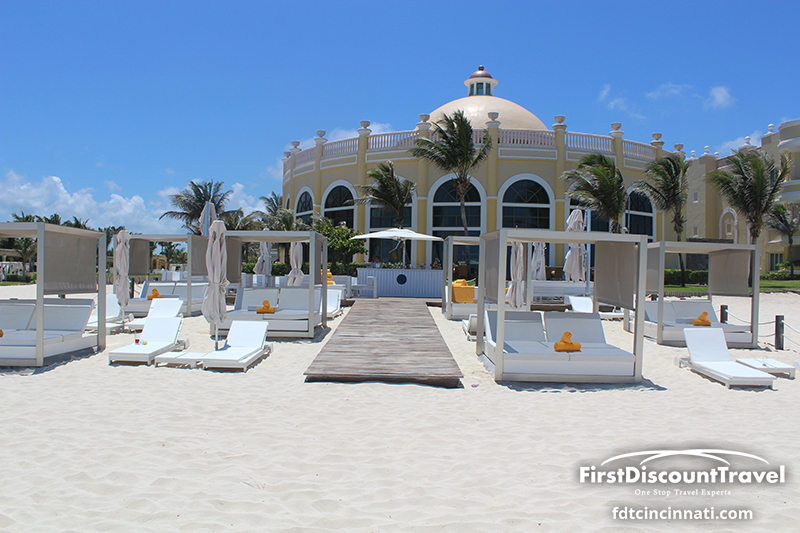 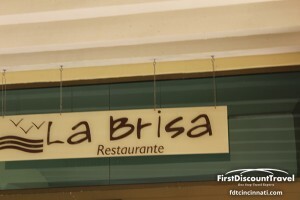 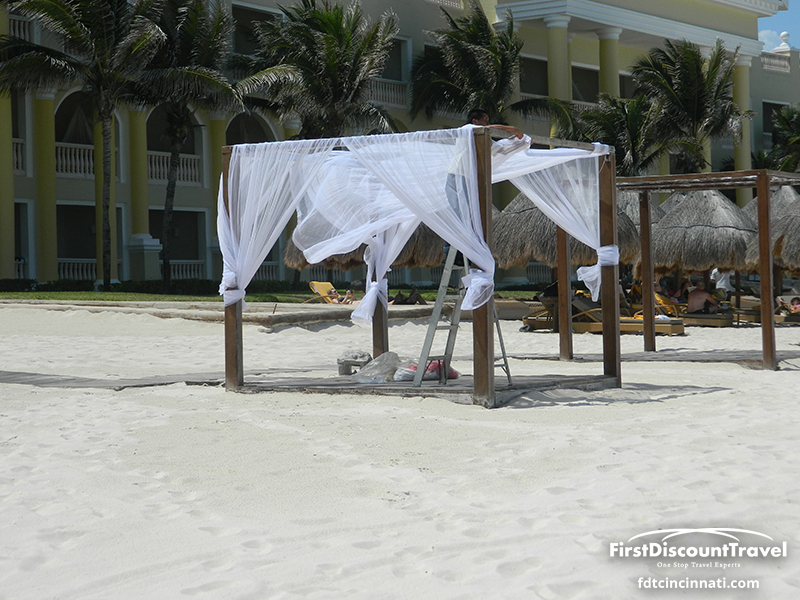 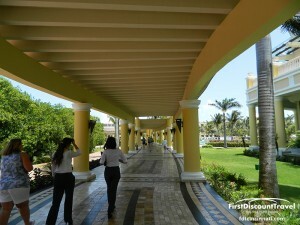 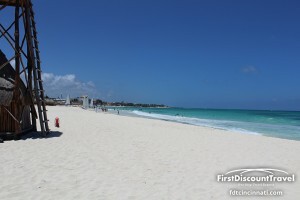 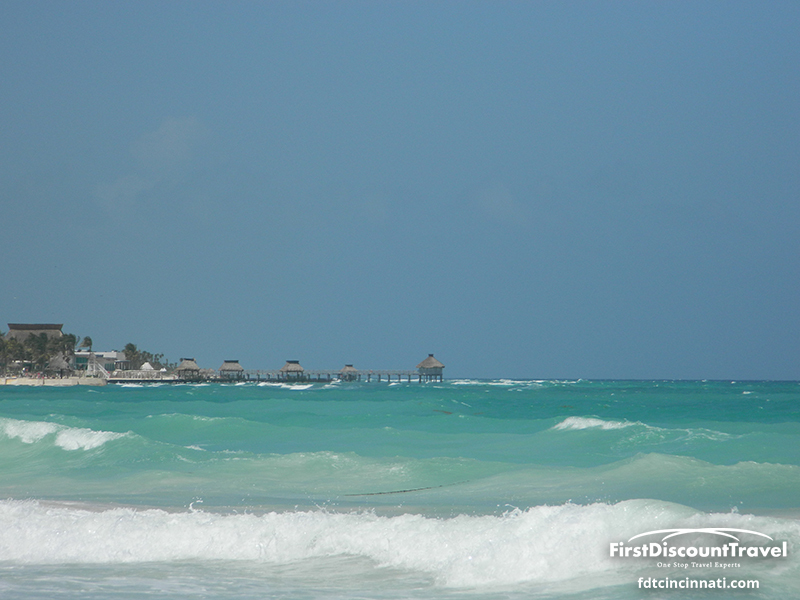 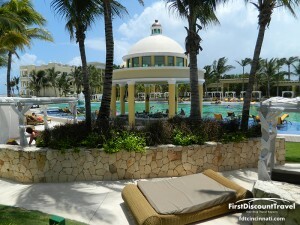 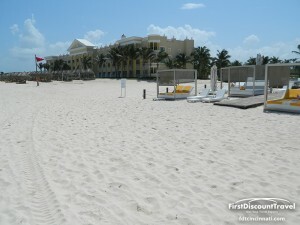 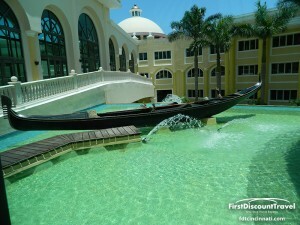 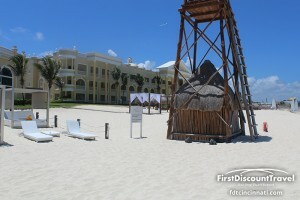 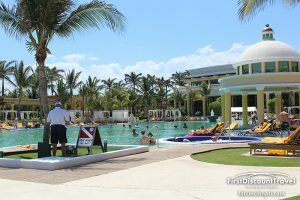 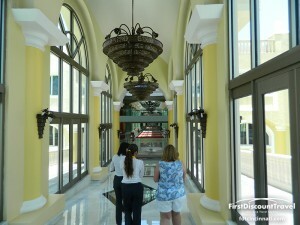 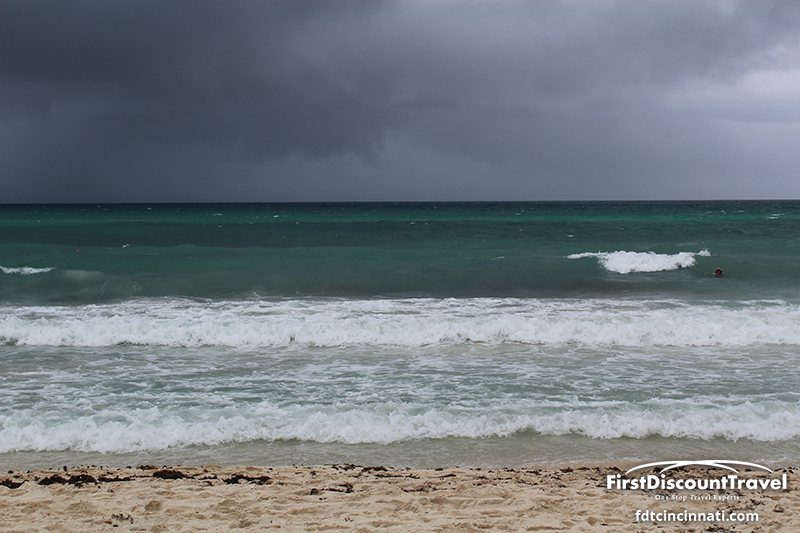 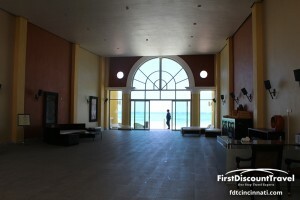 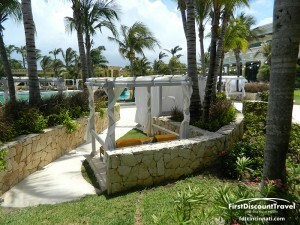 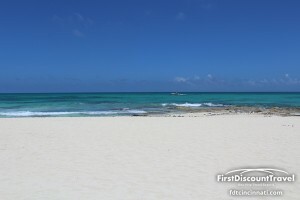 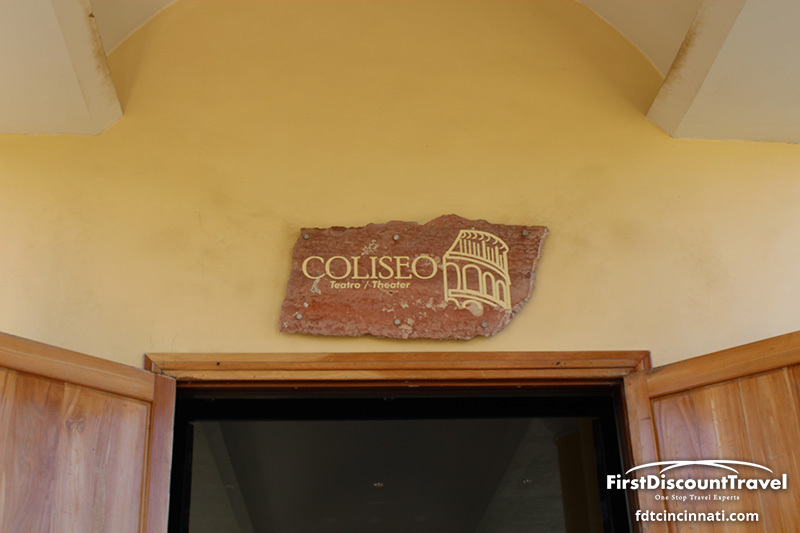 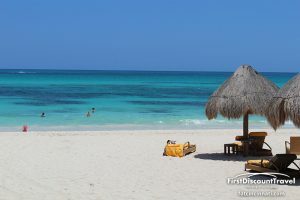 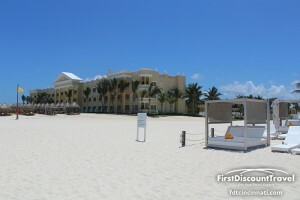 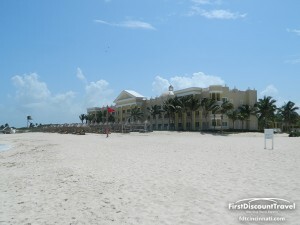 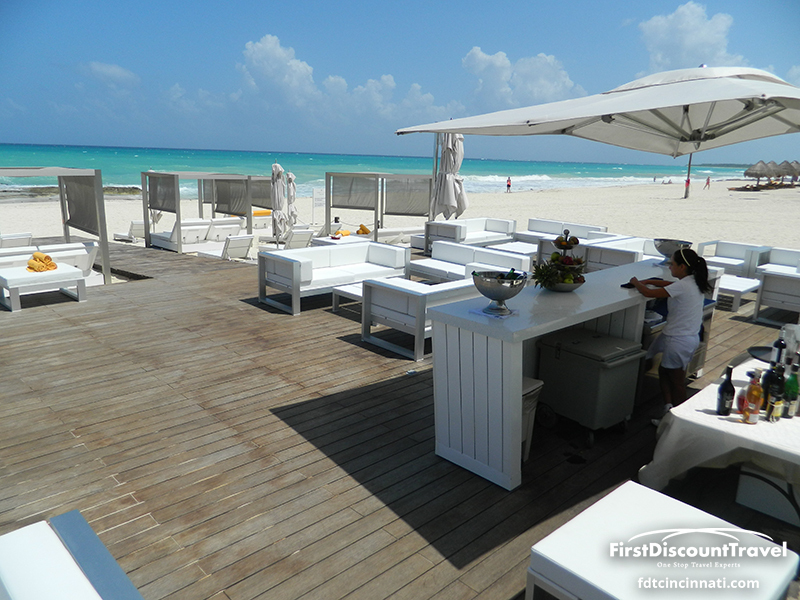 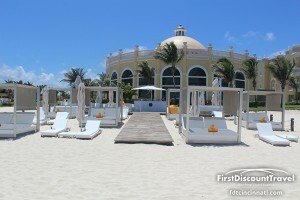 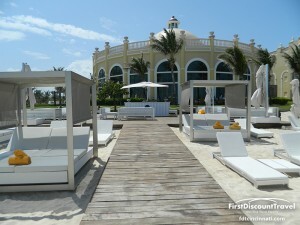 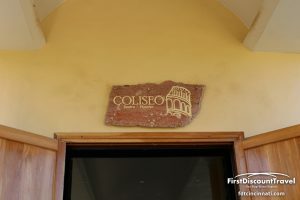 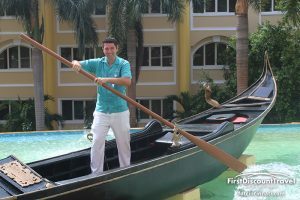 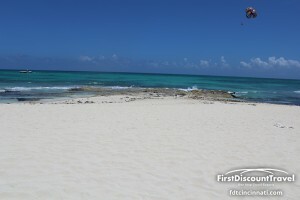 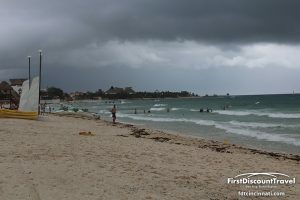 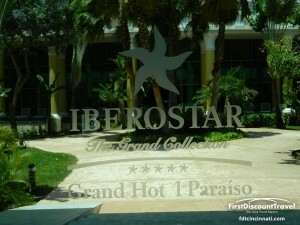 It is located in the Iberostar complex on Paraiso Beach. 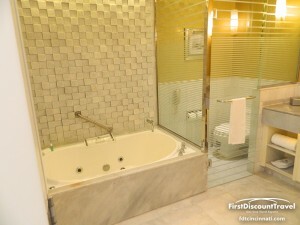 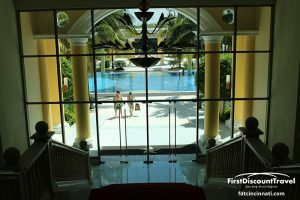 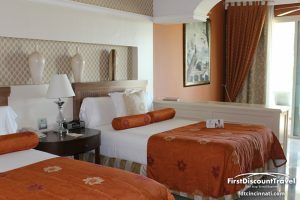 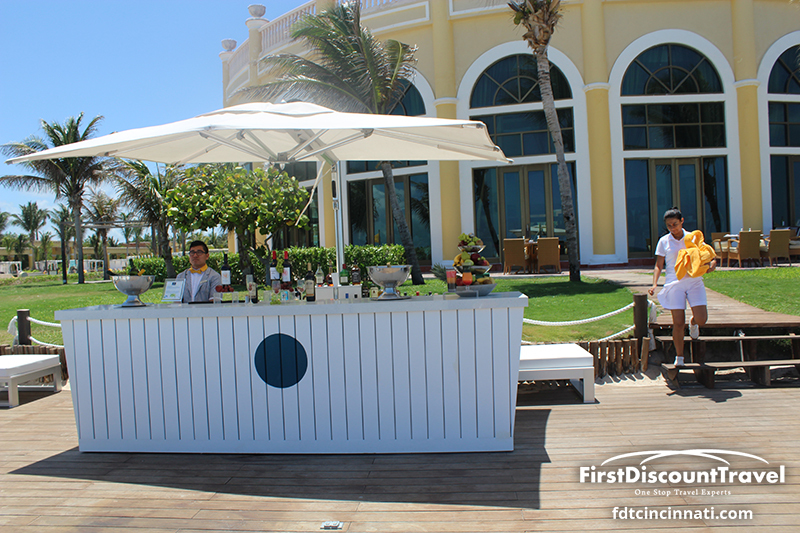 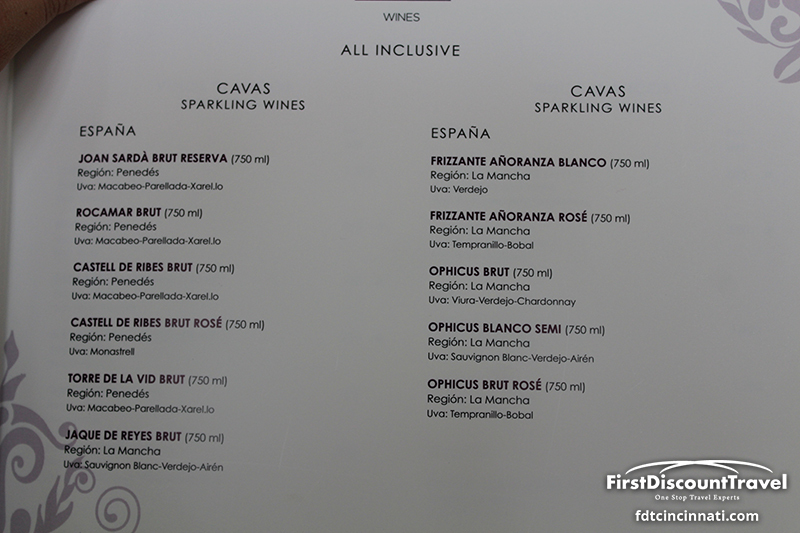 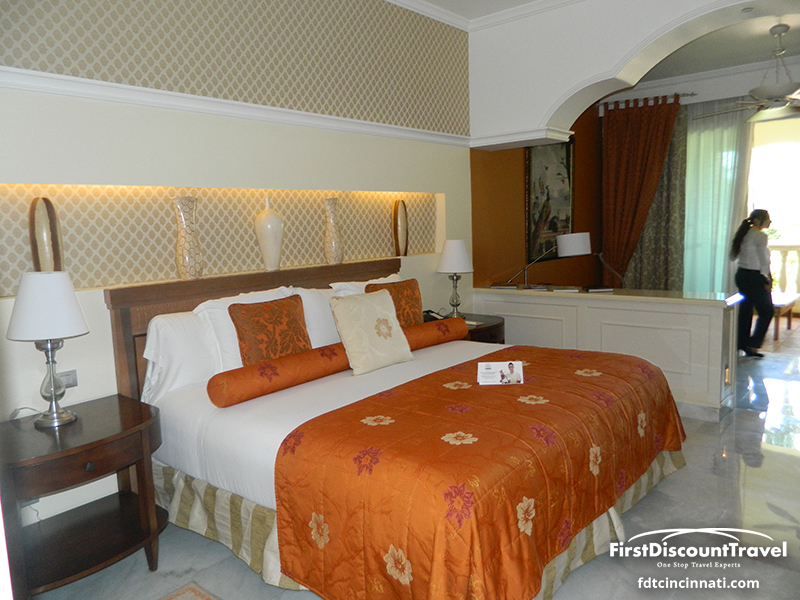 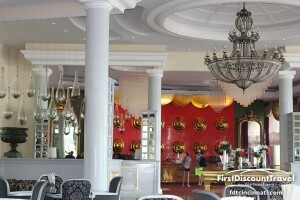 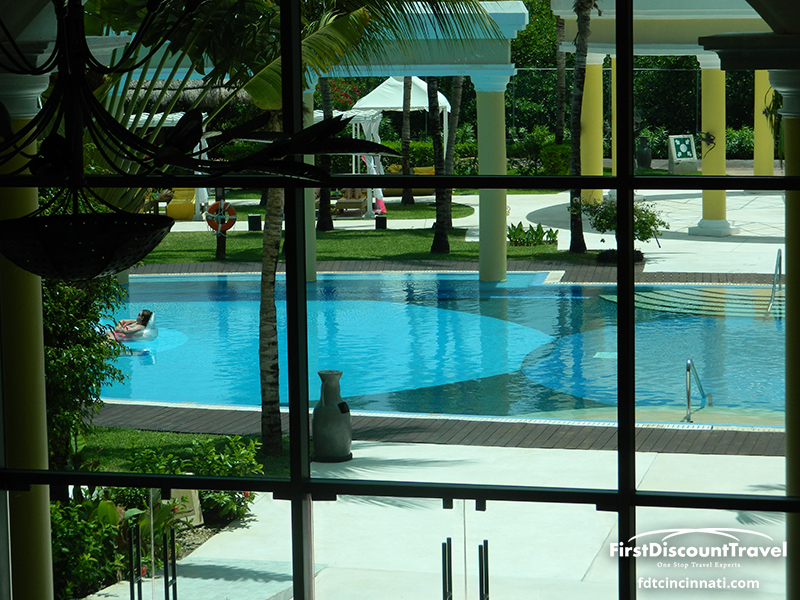 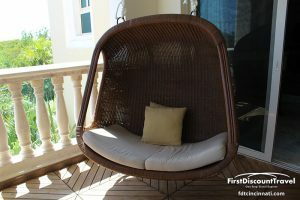 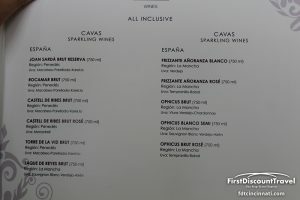 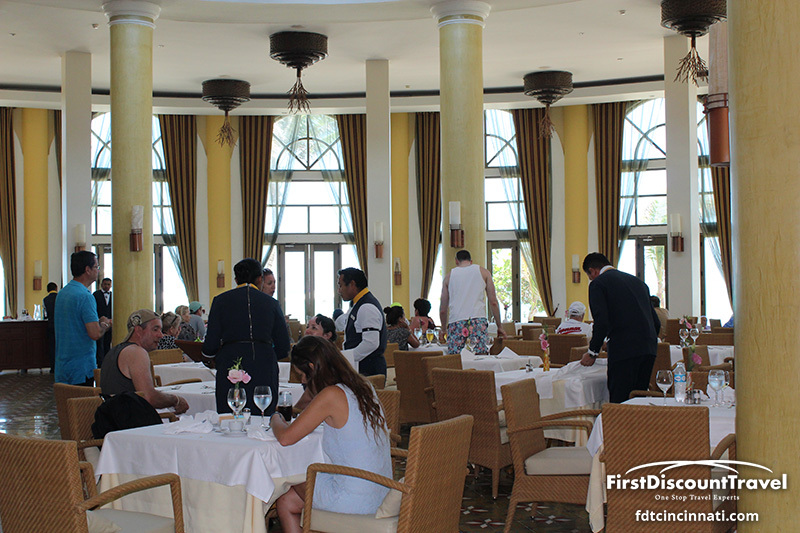 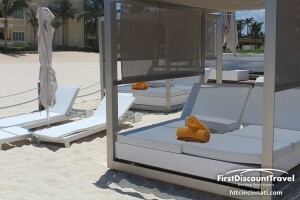 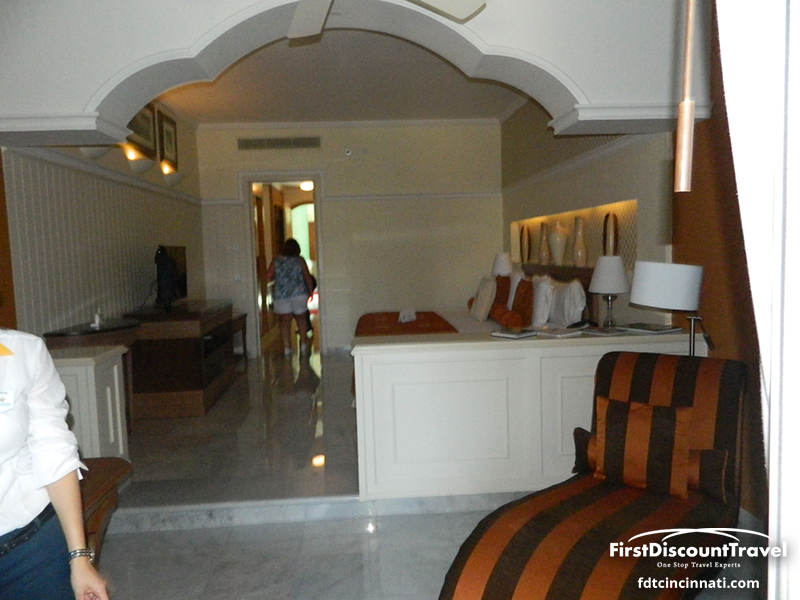 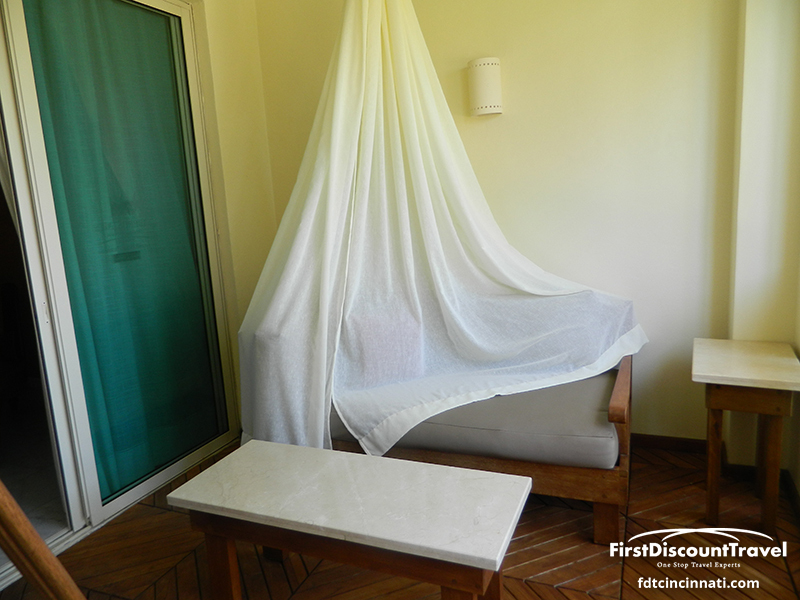 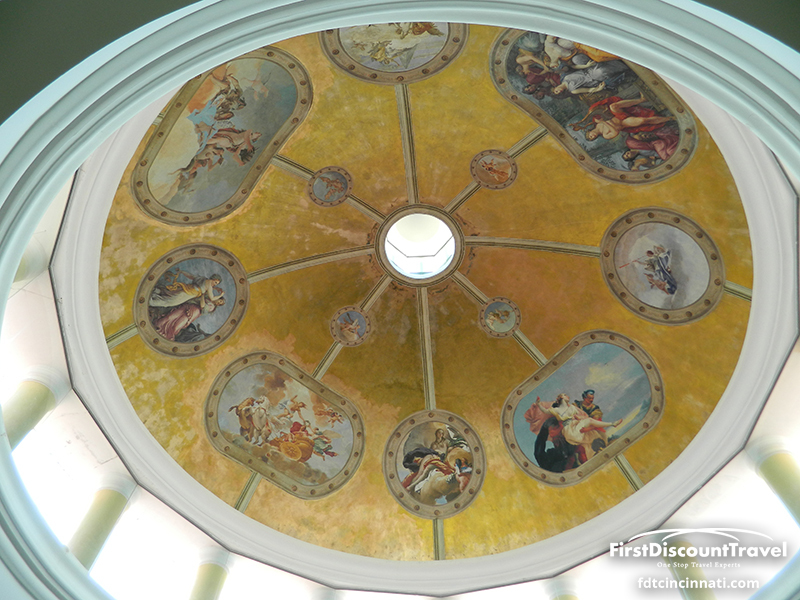 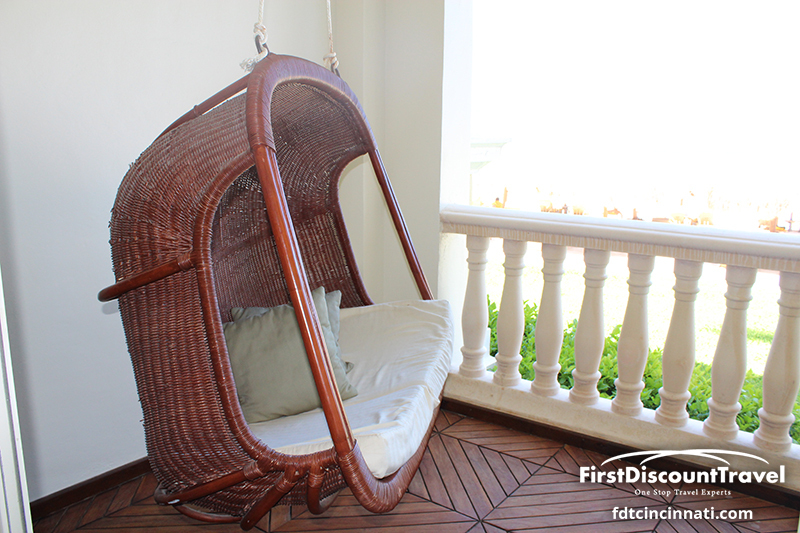 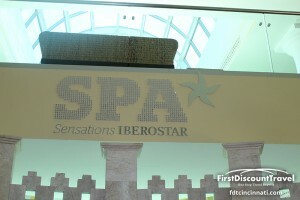 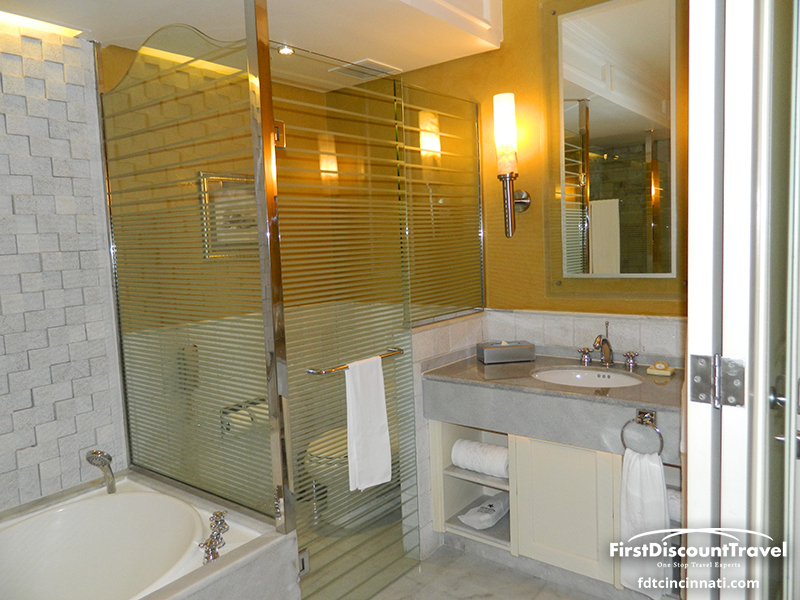 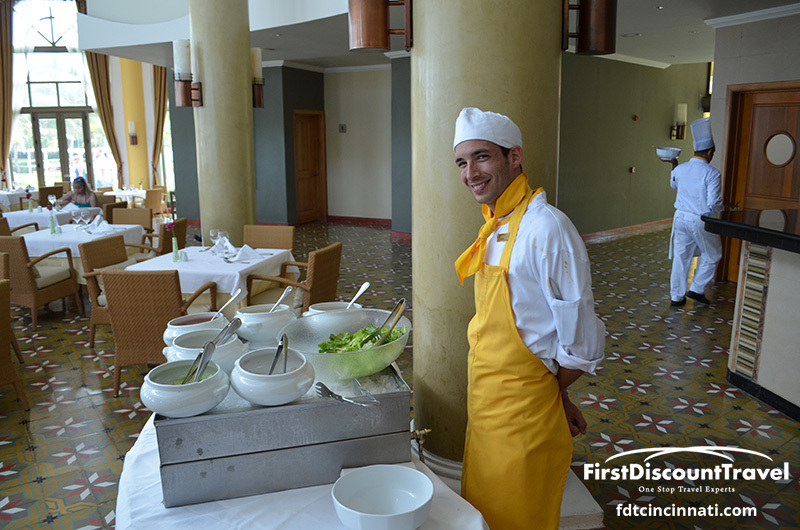 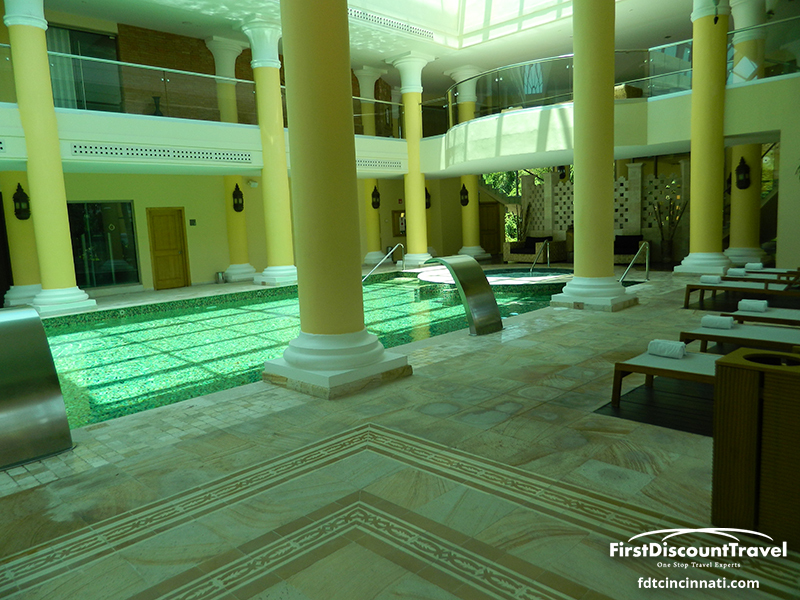 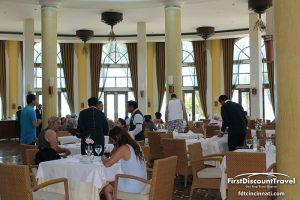 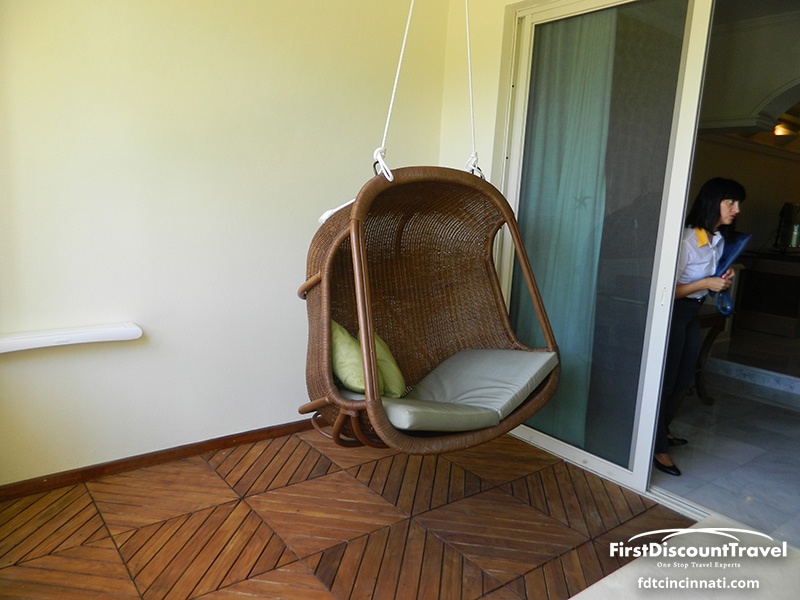 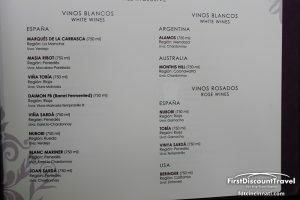 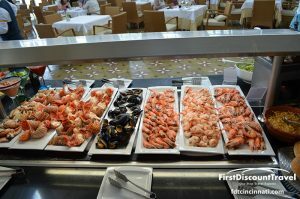 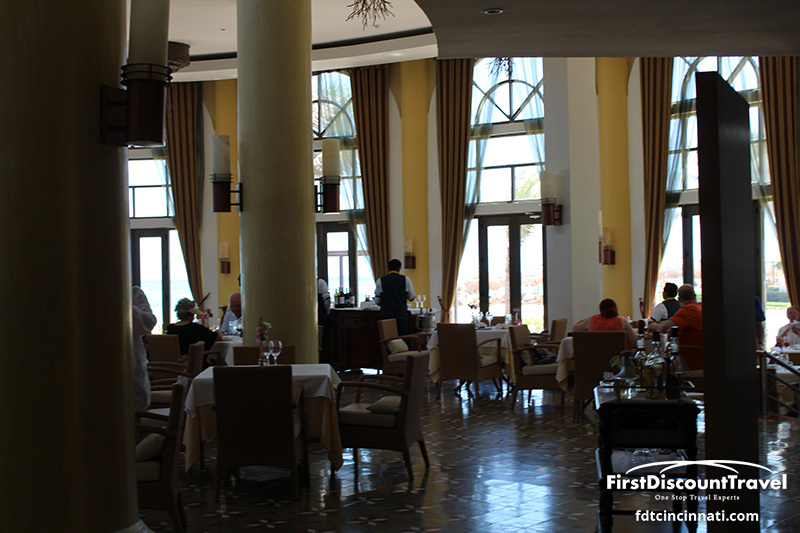 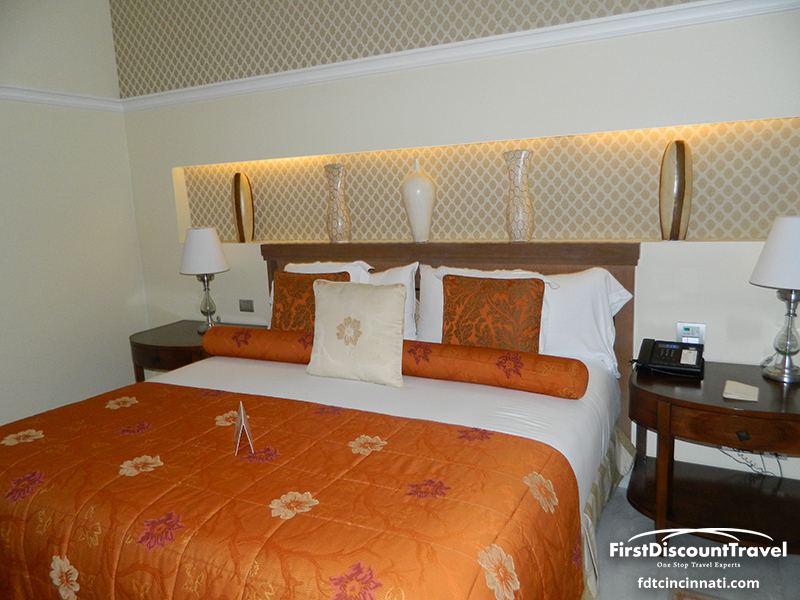 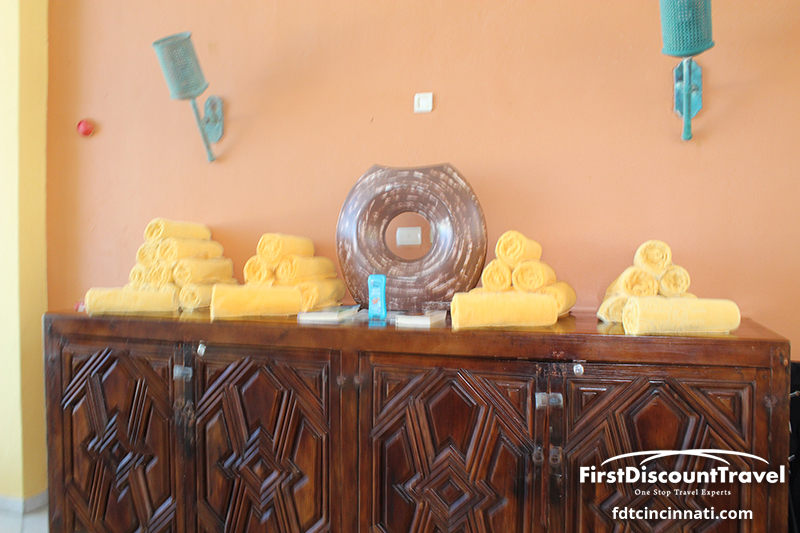 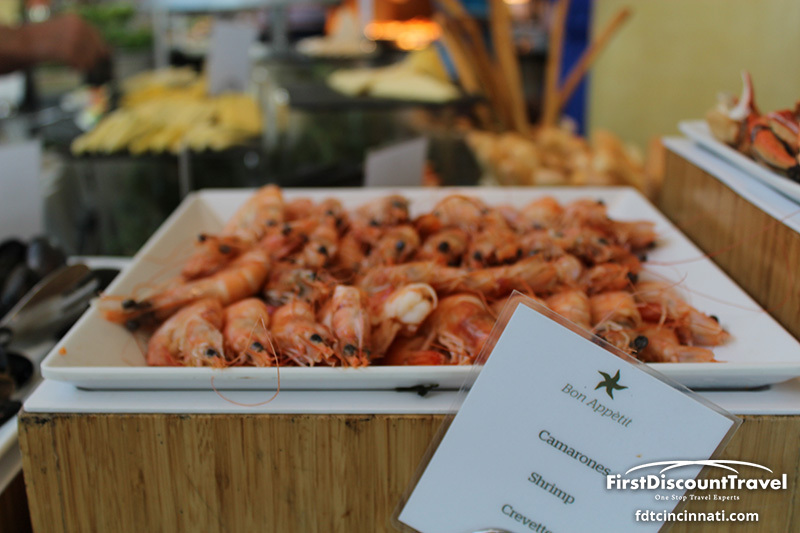 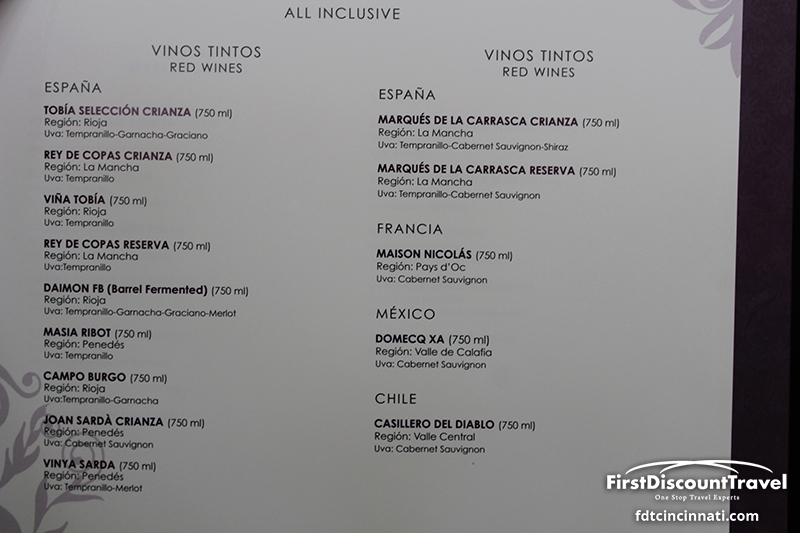 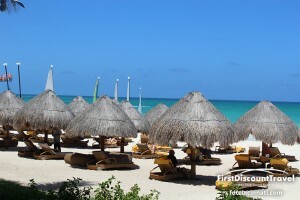 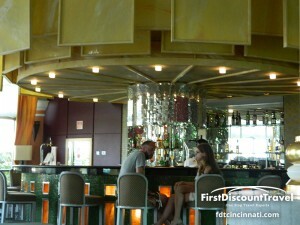 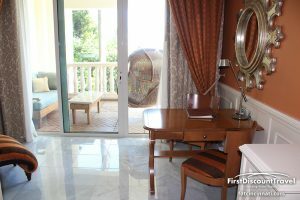 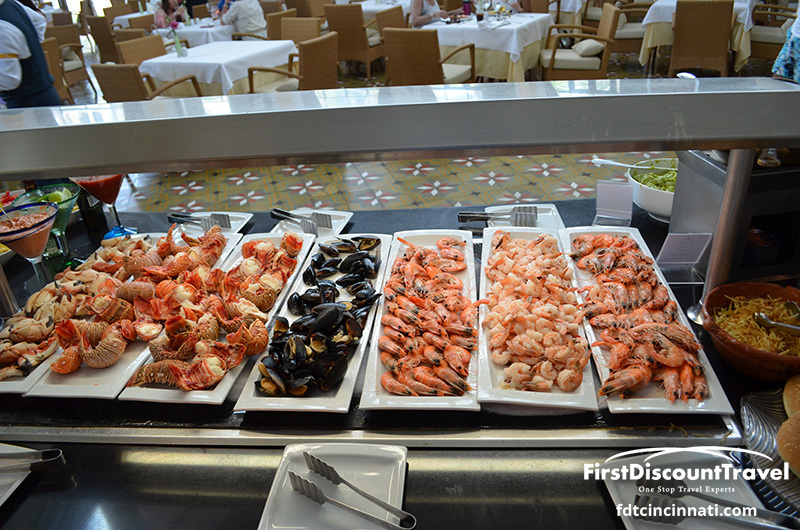 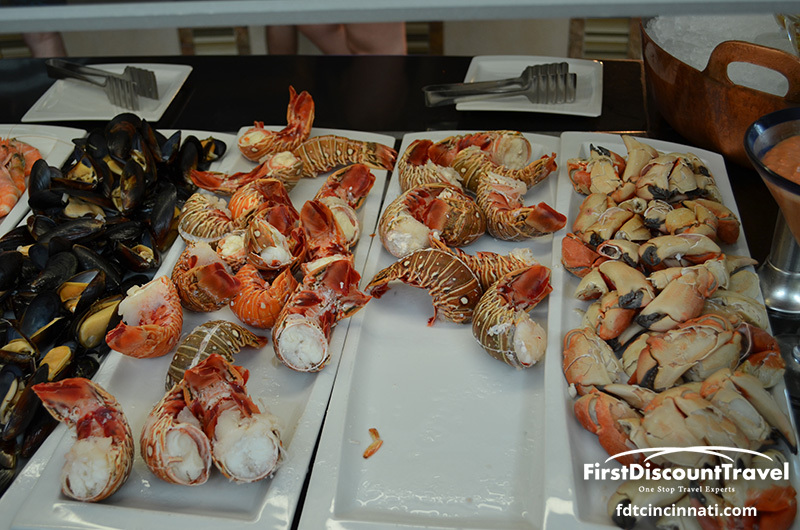 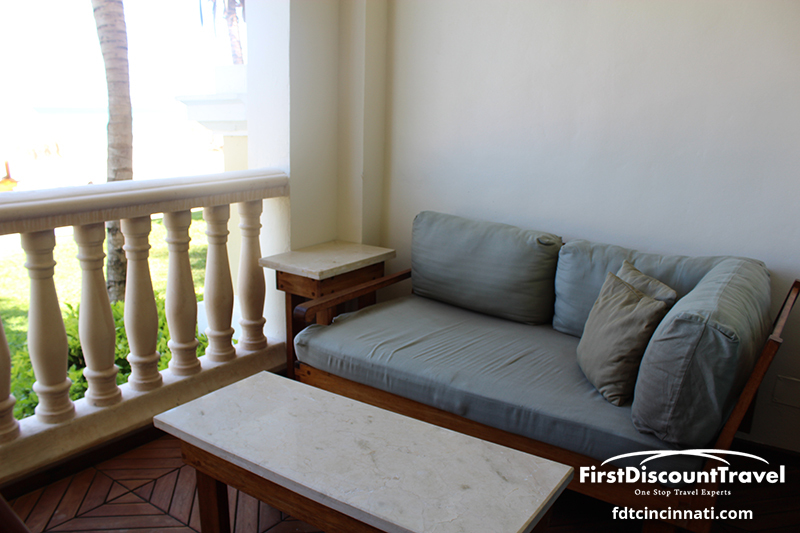 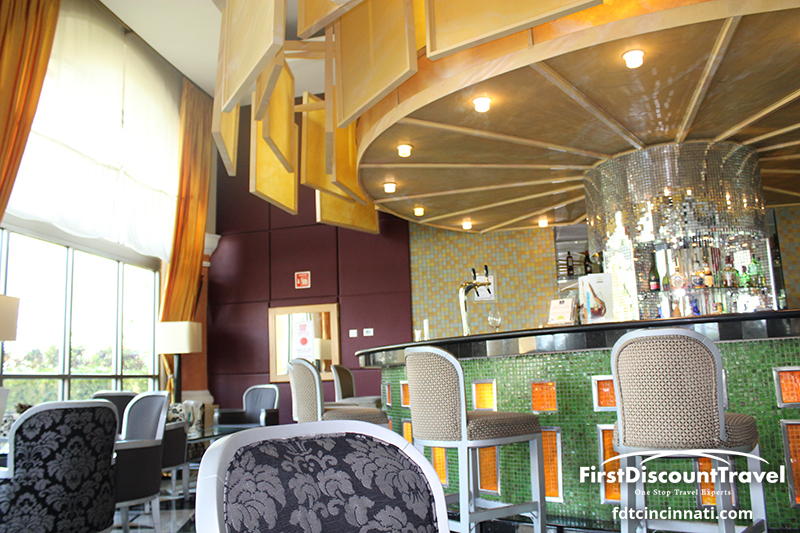 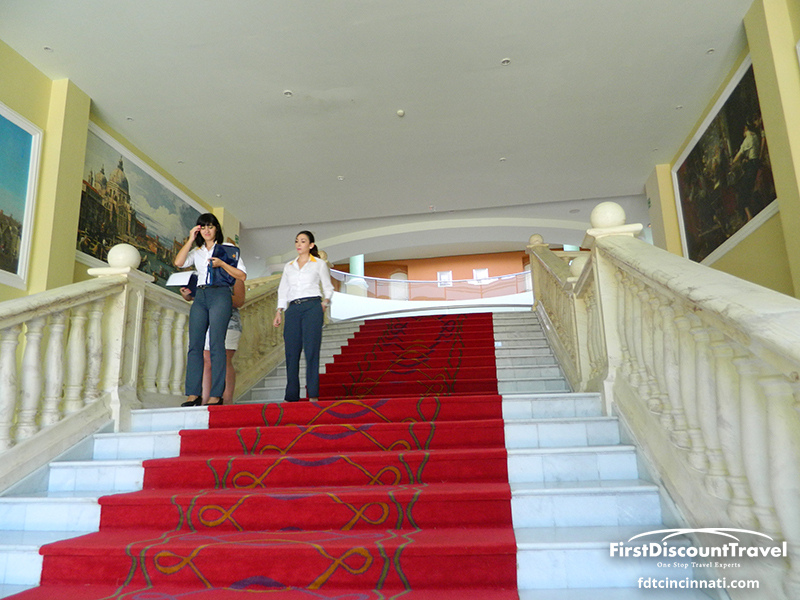 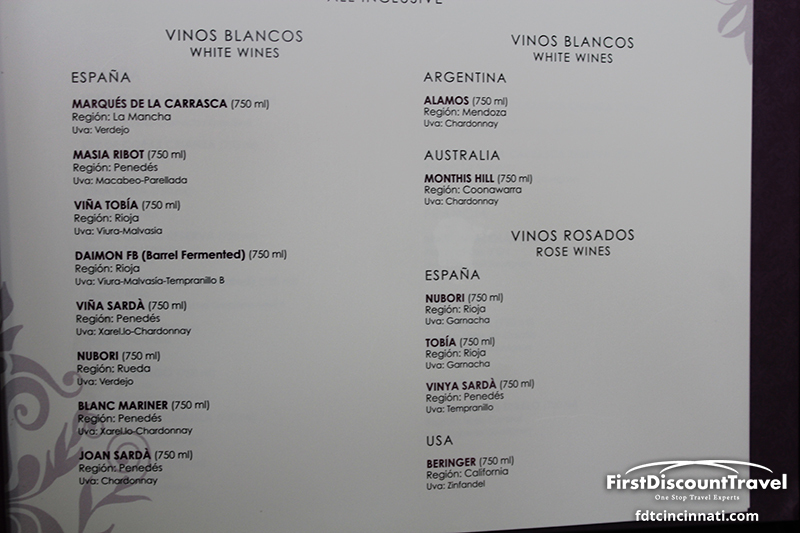 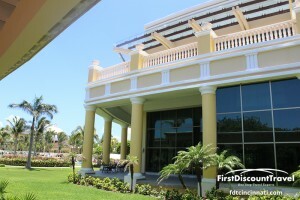 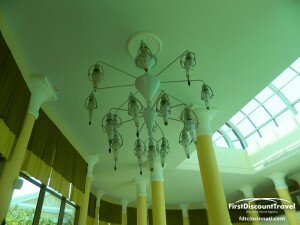 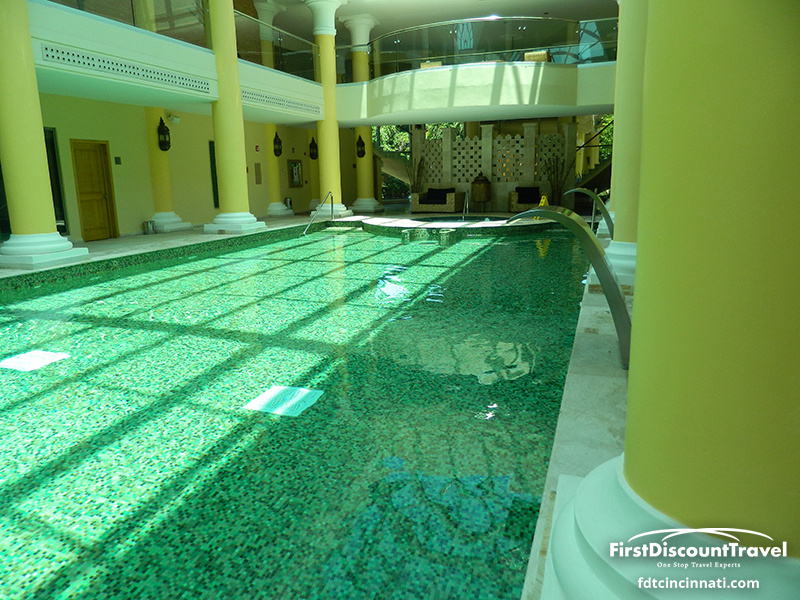 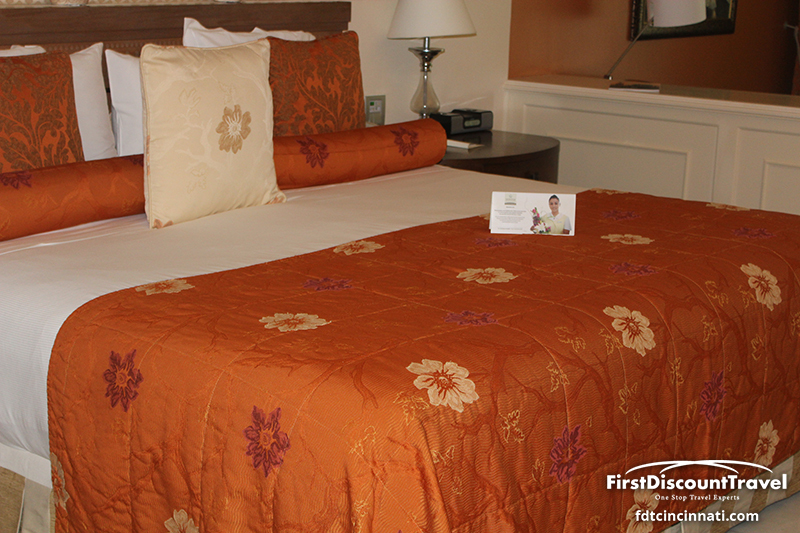 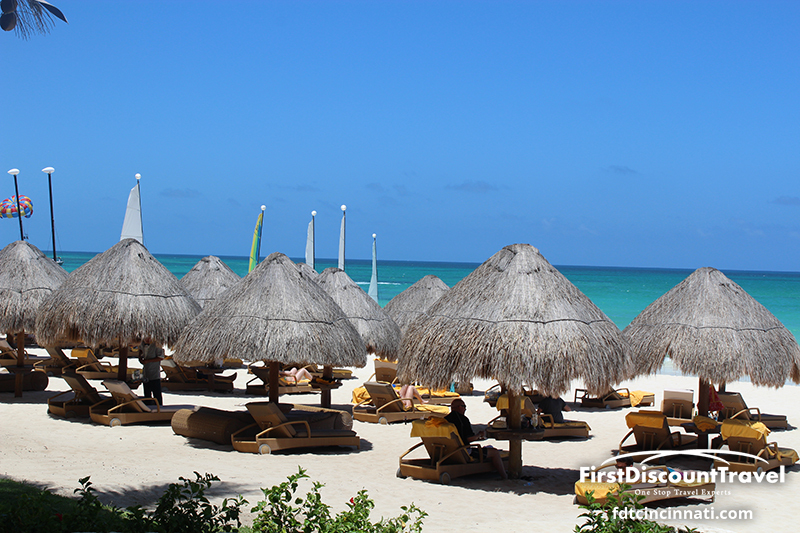 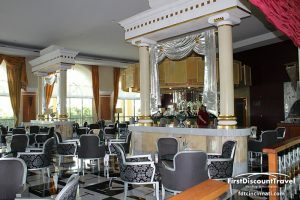 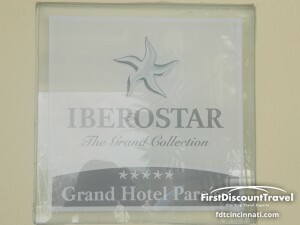 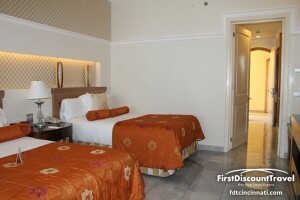 It is adult only (18 years and older), and has exchange privileges to the other Iberostar properties. 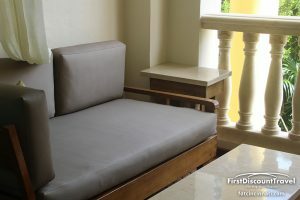 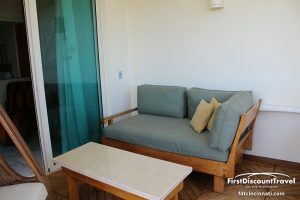 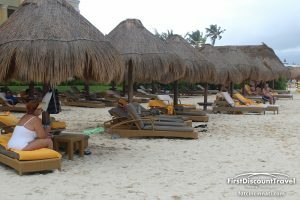 The resort has 310 junior suites (110 are oceanfront) of which 44 have two double beds. The junior suites are the same size, the only difference is view. 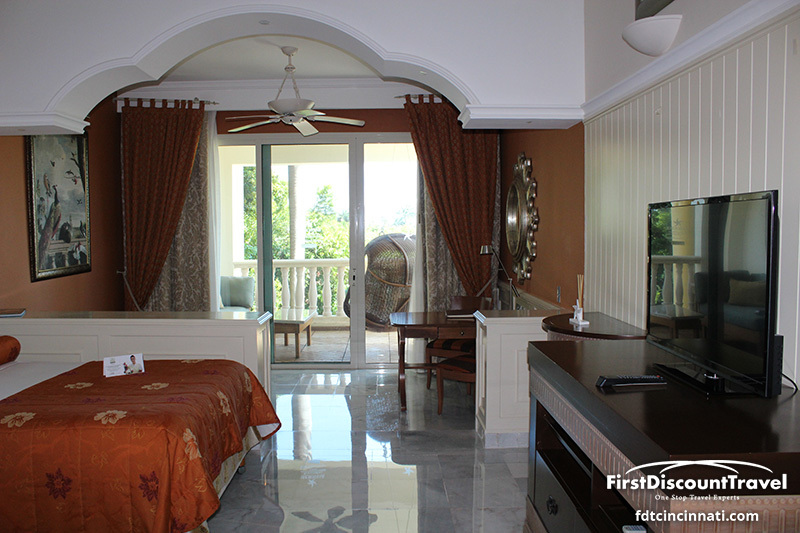 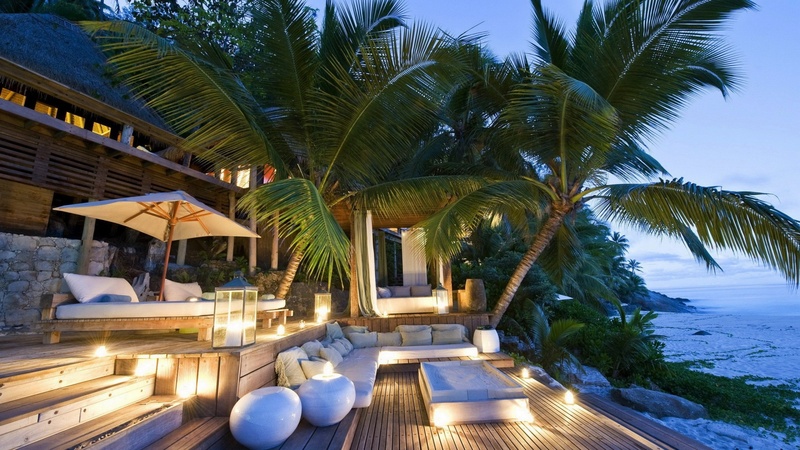 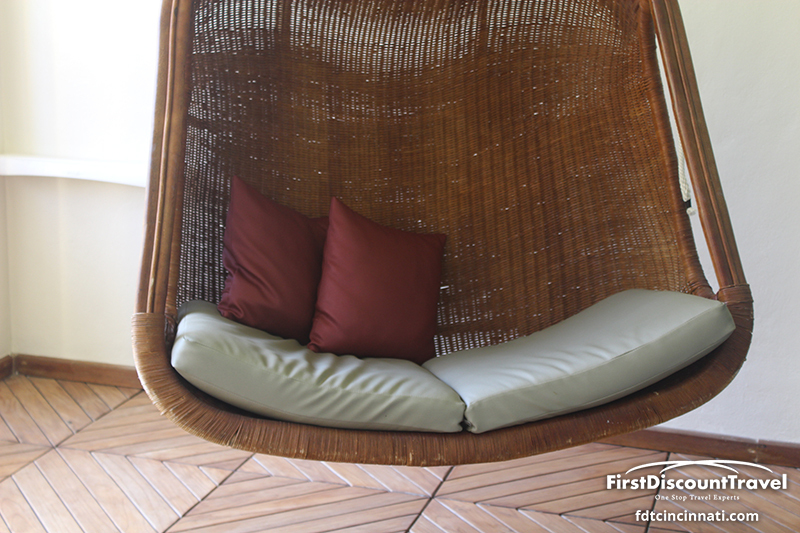 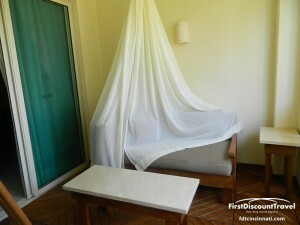 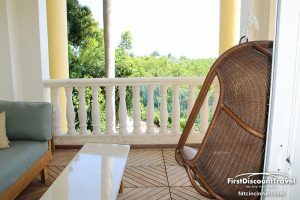 The resort has 10 honeymoon villas located on the perimeter of the property. 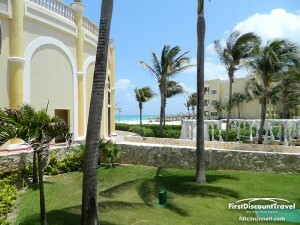 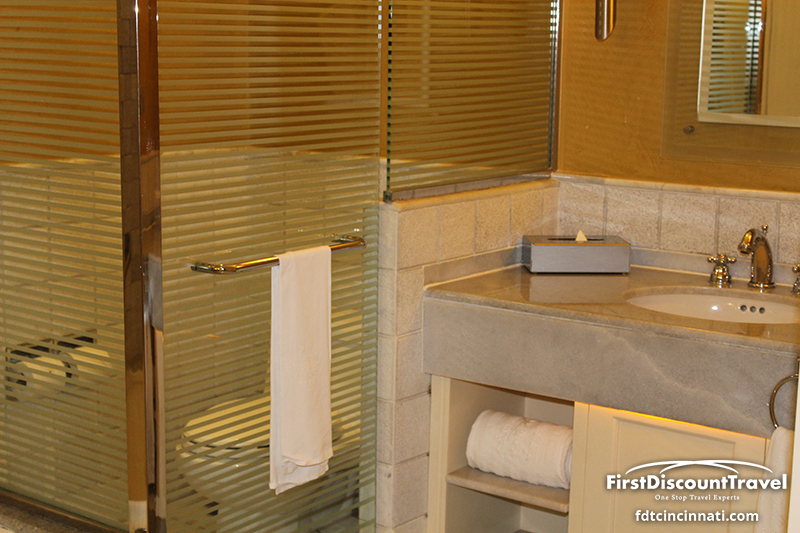 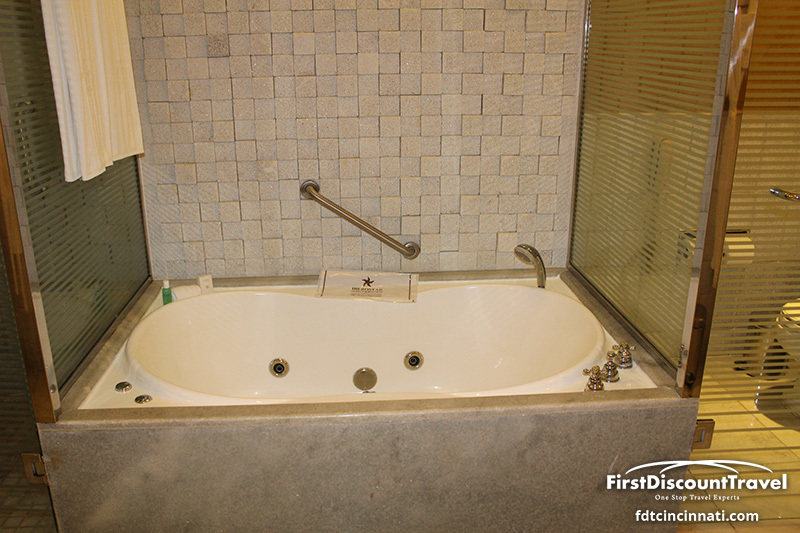 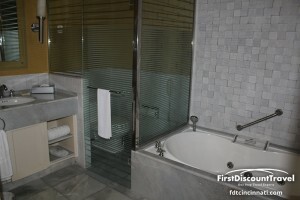 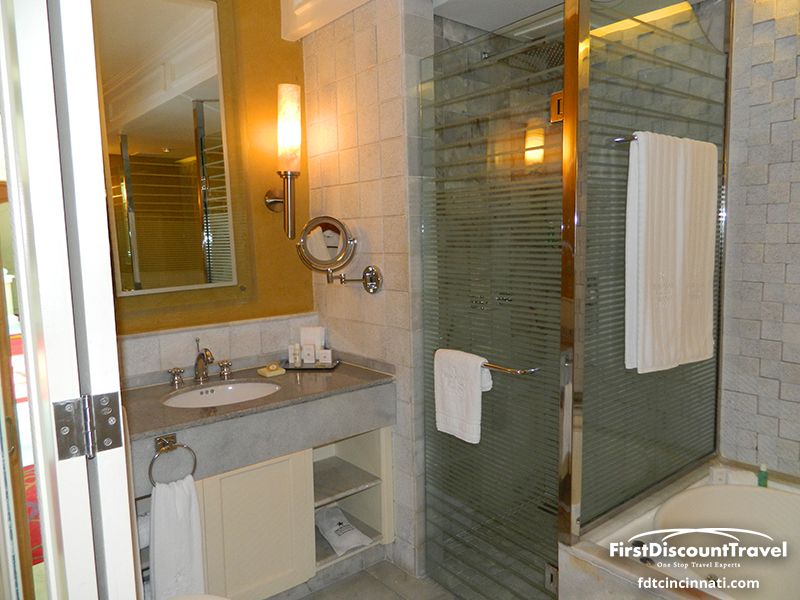 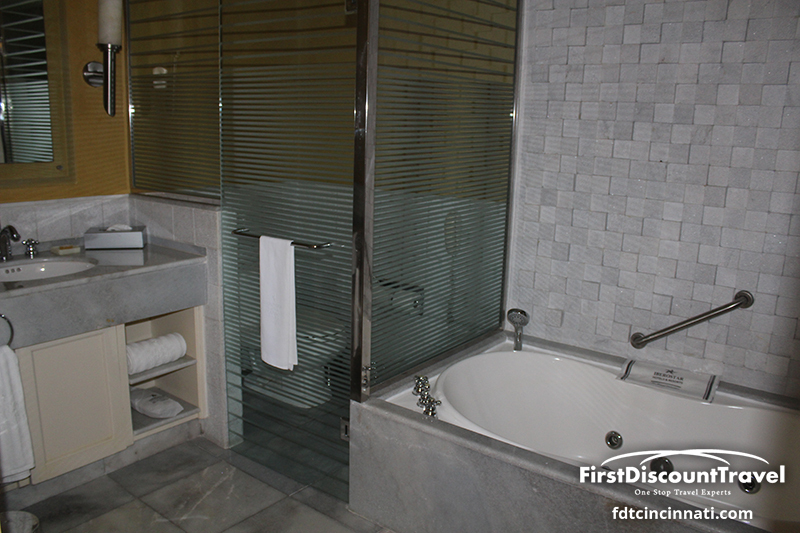 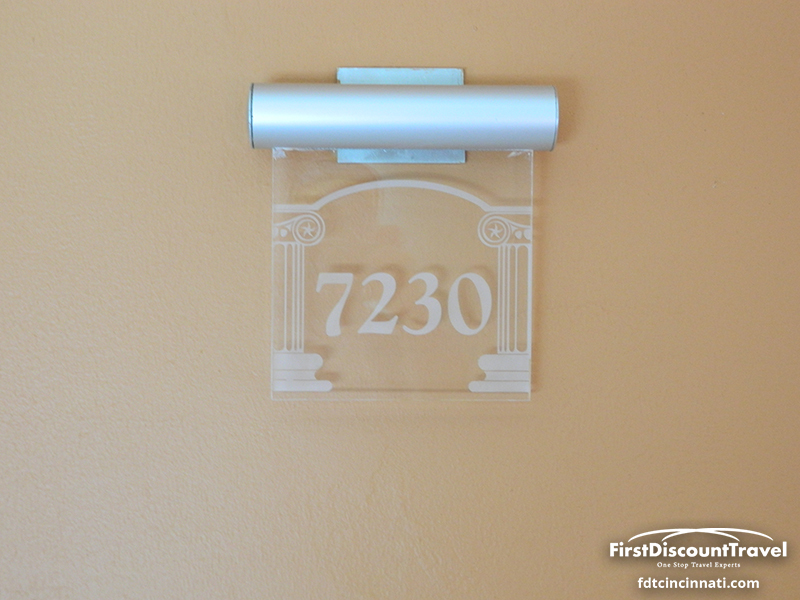 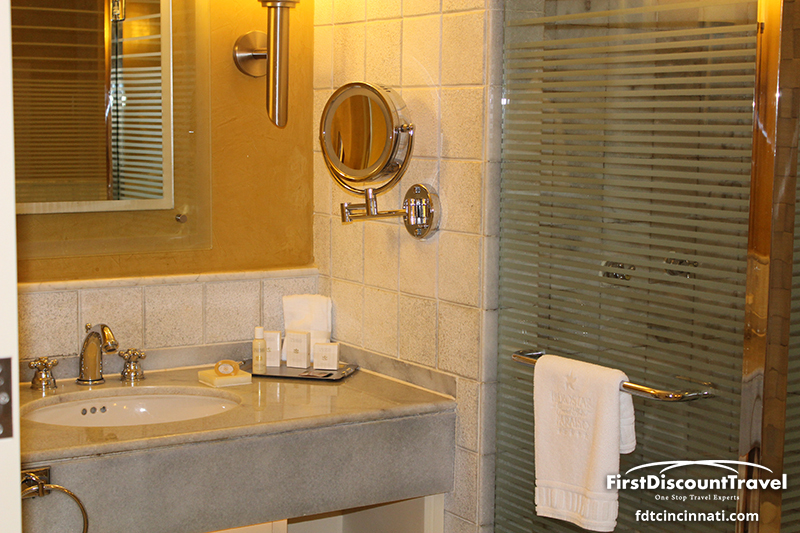 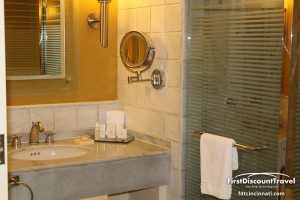 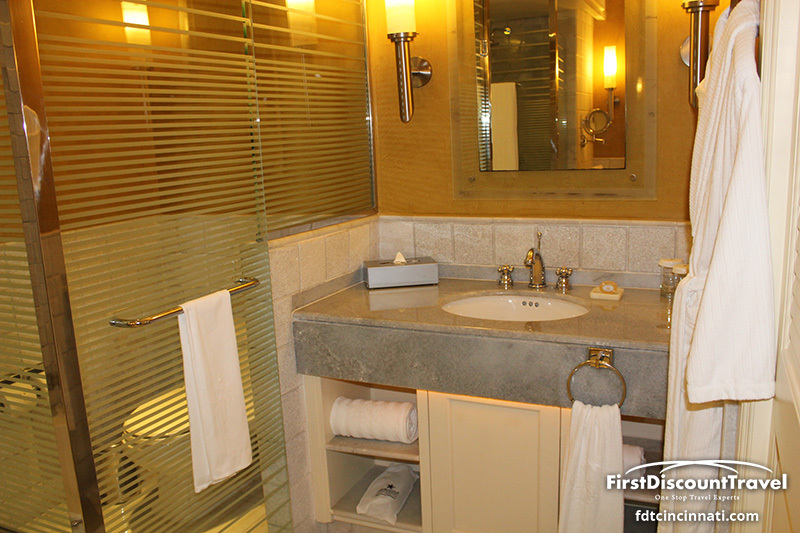 These rooms are amazing with outdoor showers, Jacuzzi, huge accommodations, and more. 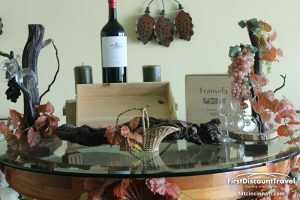 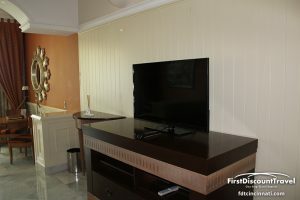 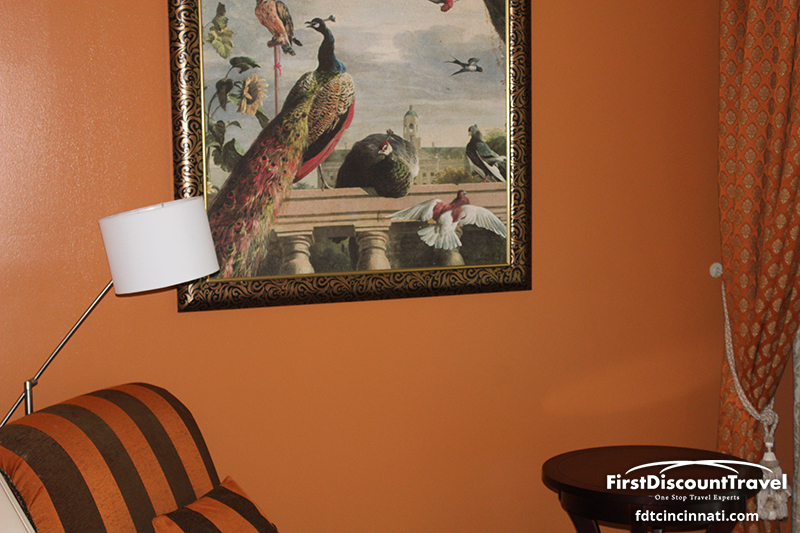 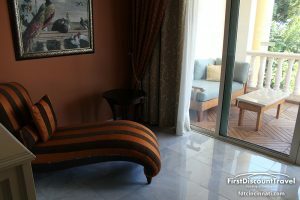 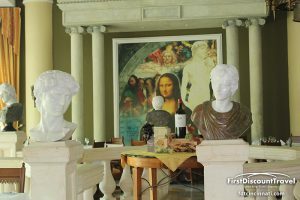 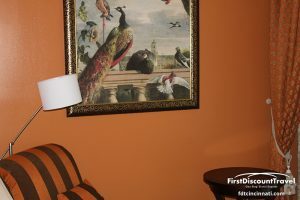 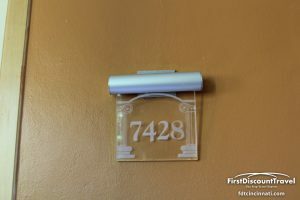 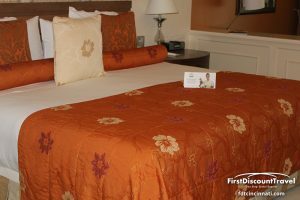 All of the rooms have butler service to make dinner reservations, tours and to assist with packing and ironing. 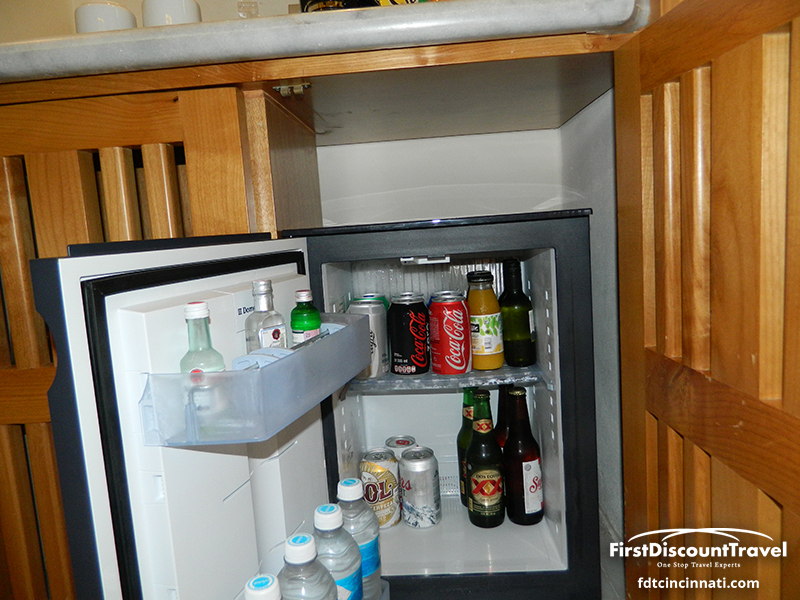 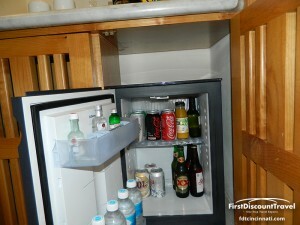 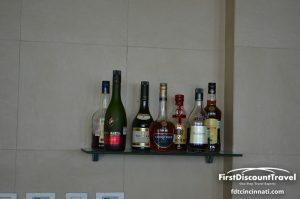 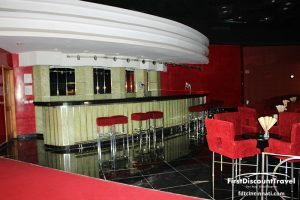 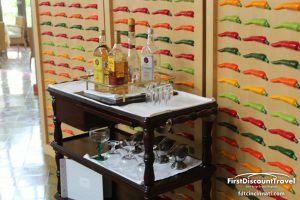 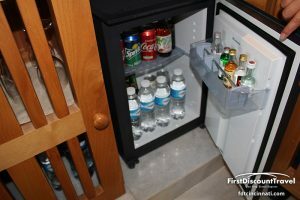 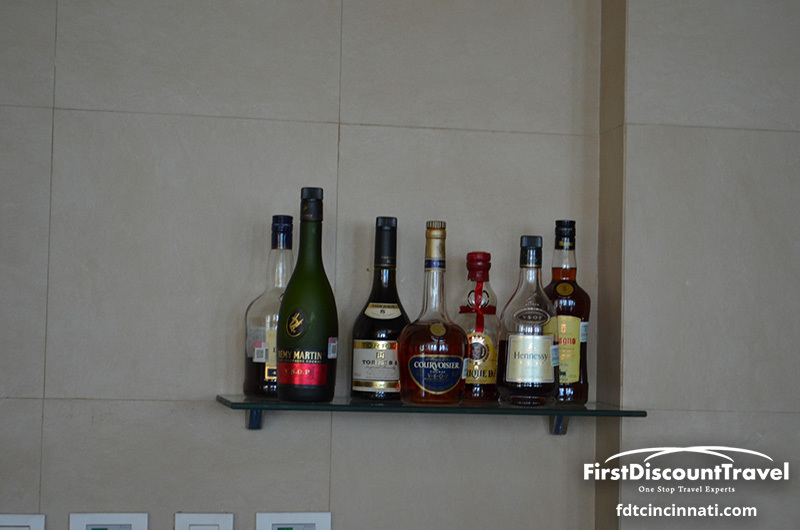 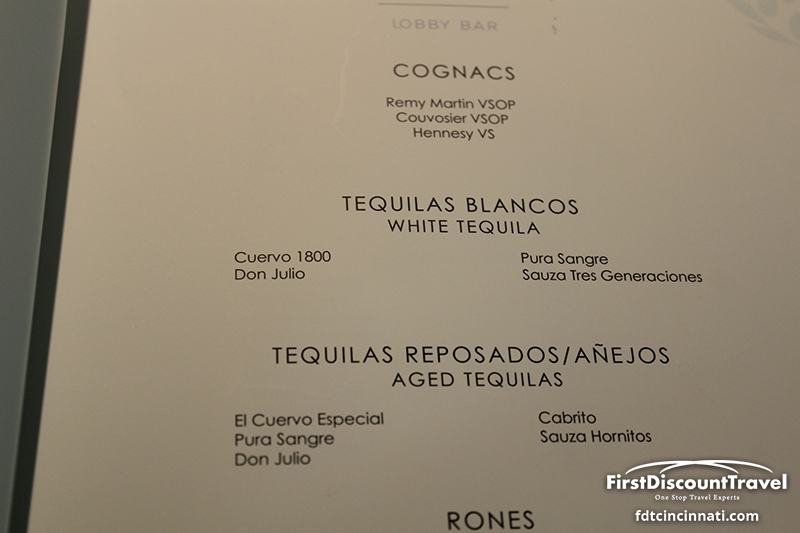 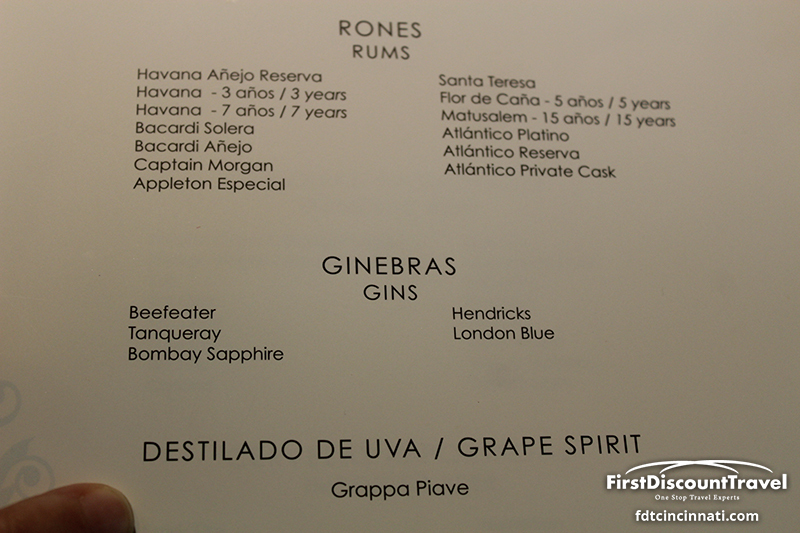 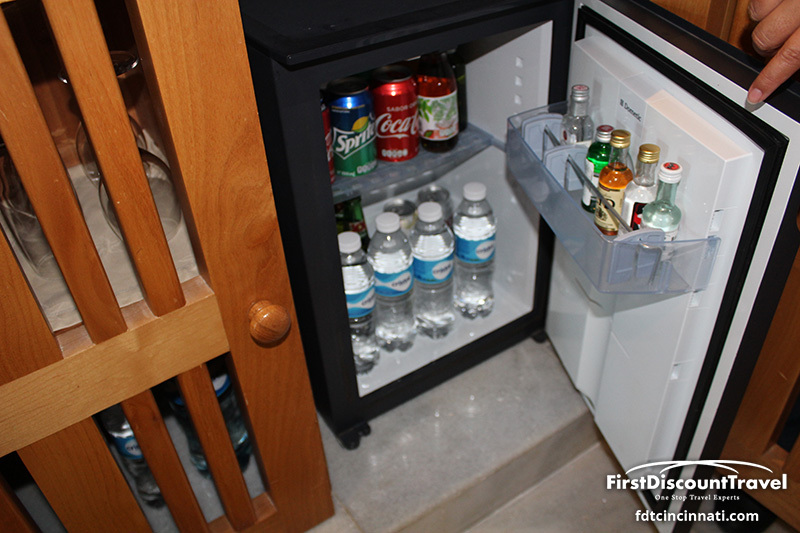 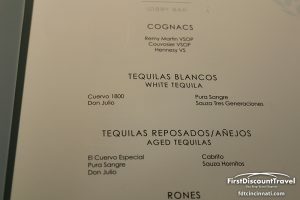 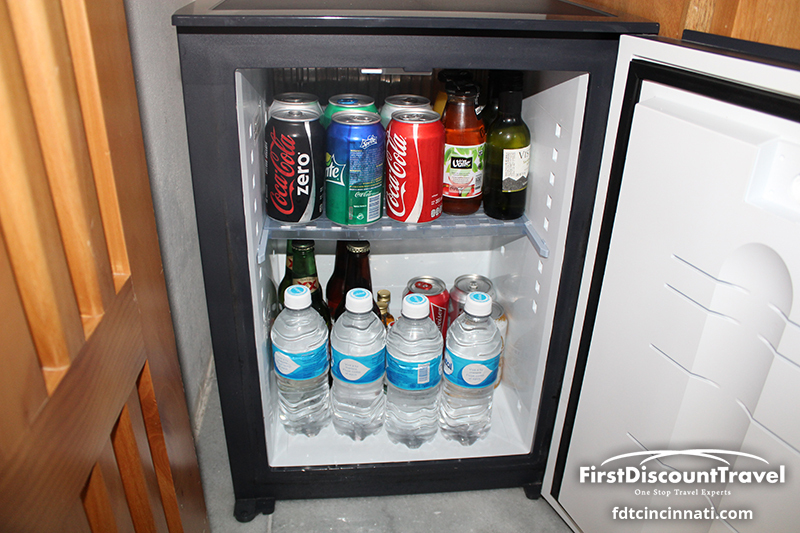 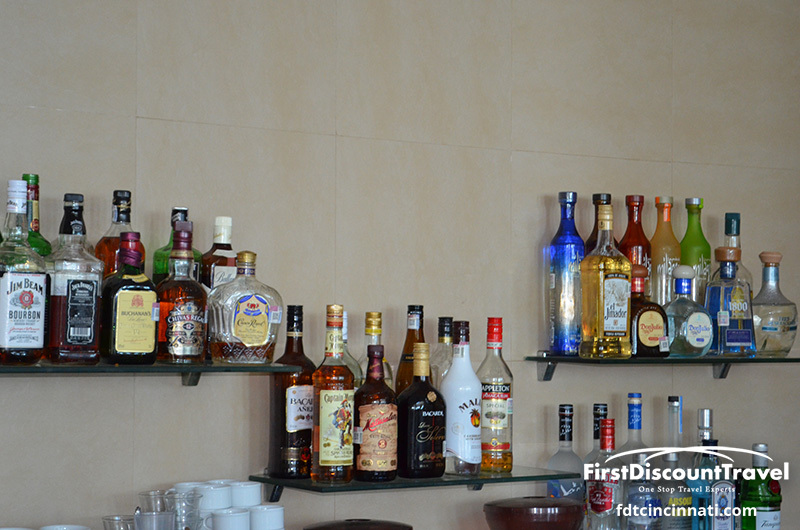 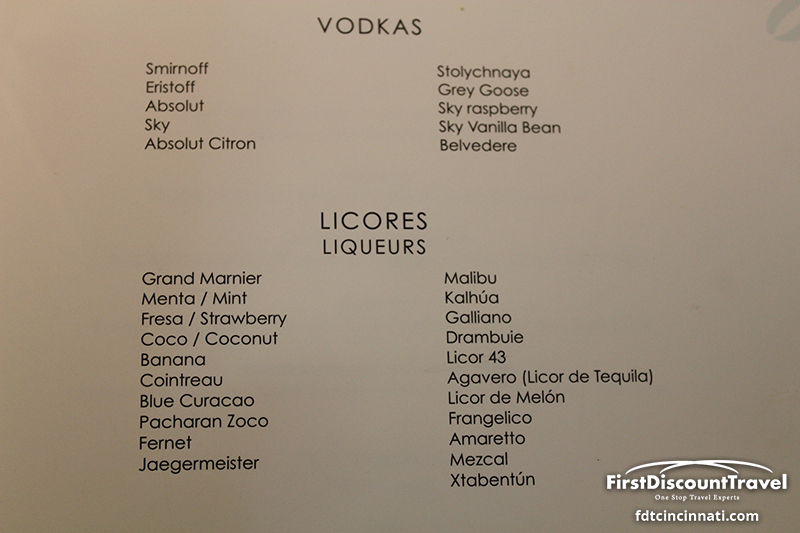 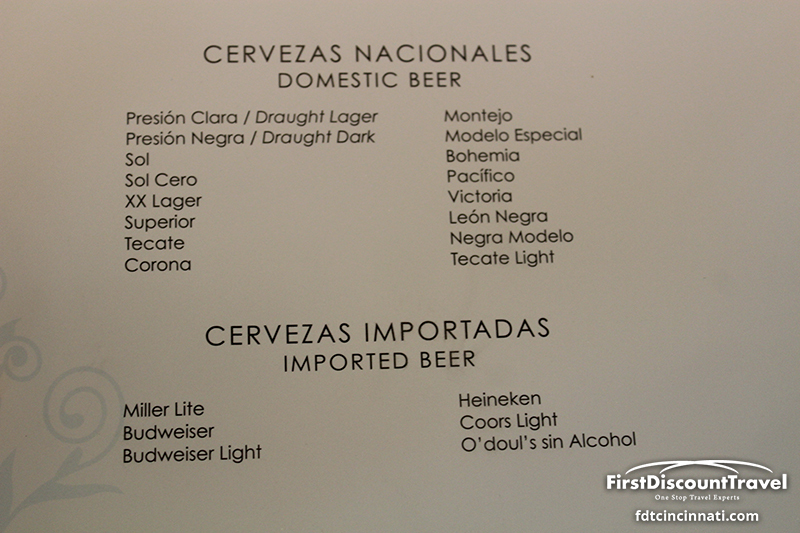 The suites have fully stocked bars with large bottles of premium liquor (whatever variety you request). 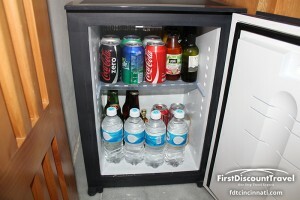 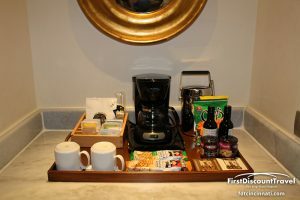 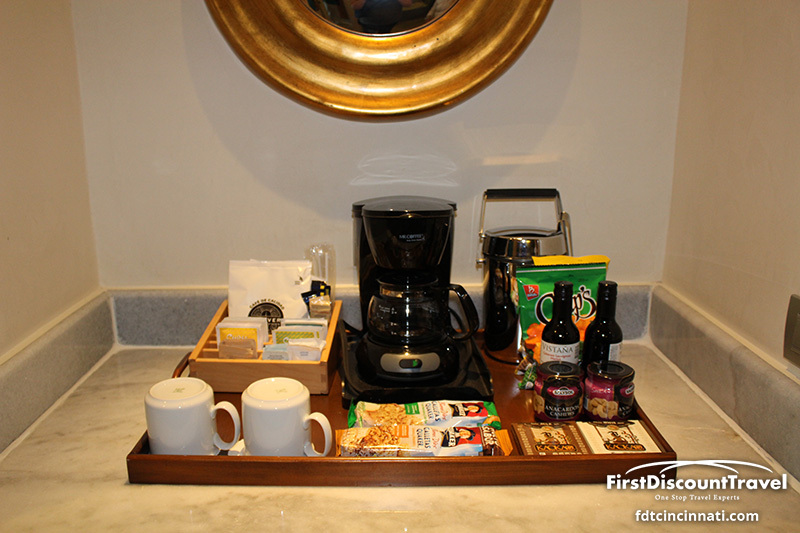 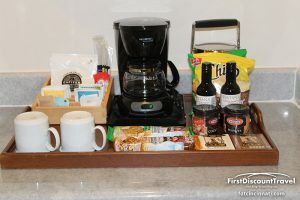 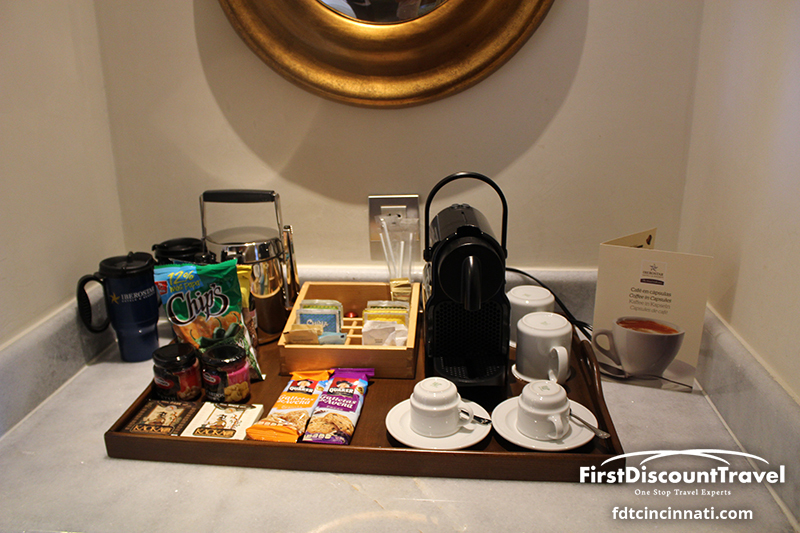 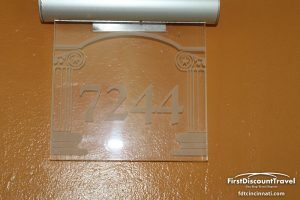 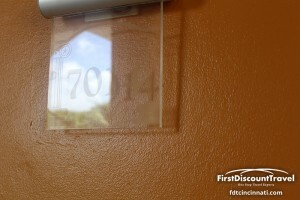 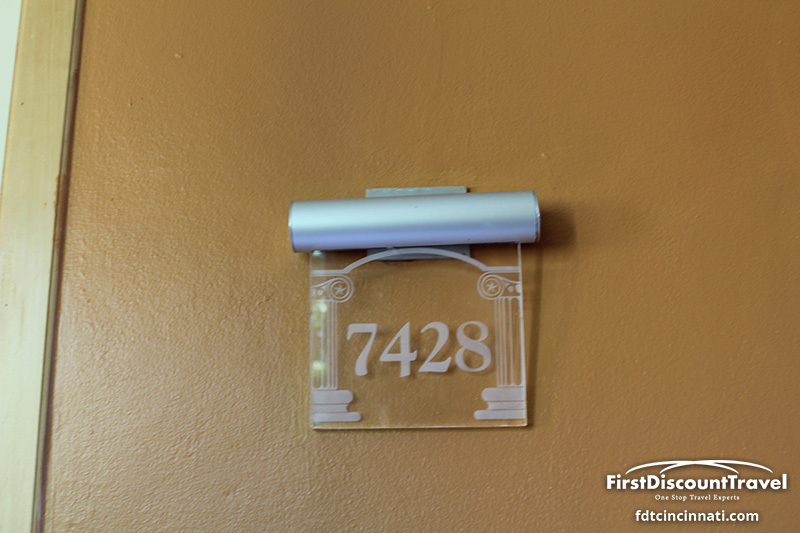 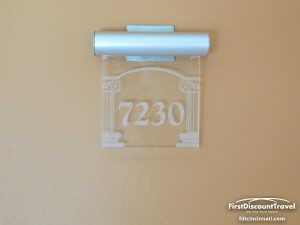 All suites have access to 24 hour full menu room service. 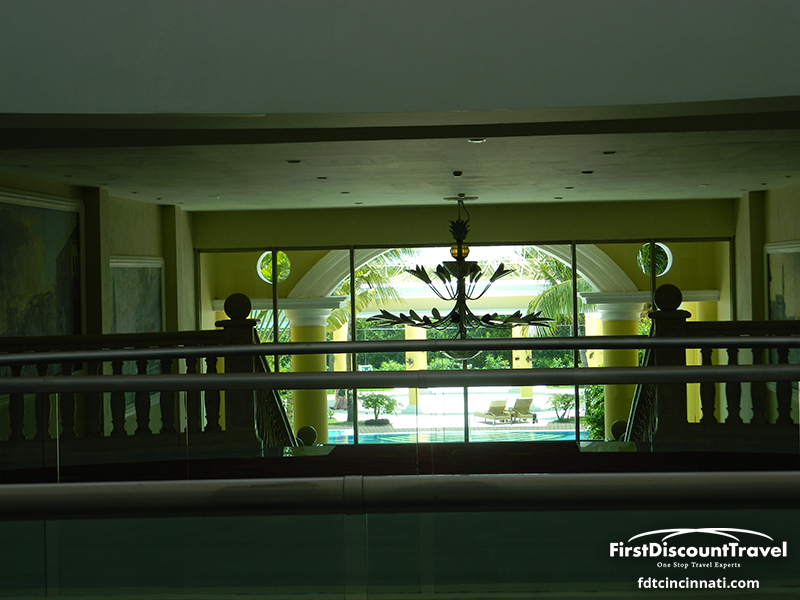 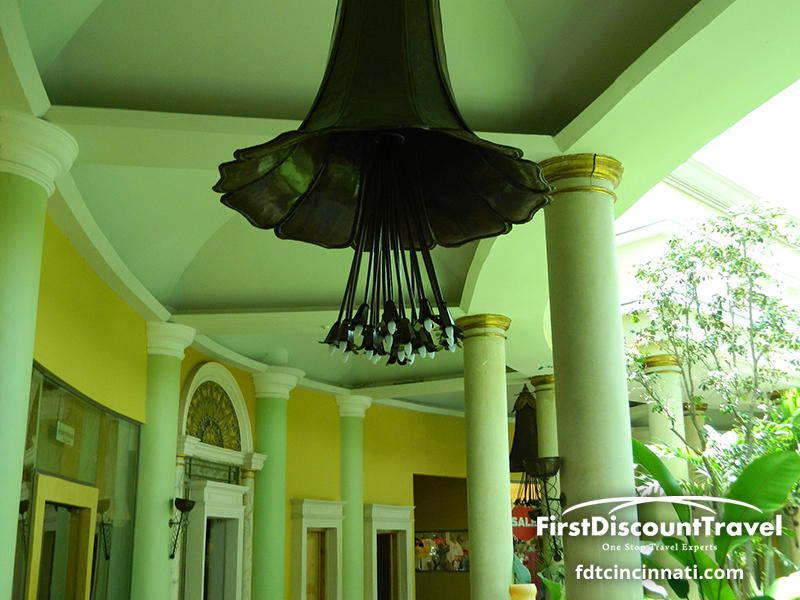 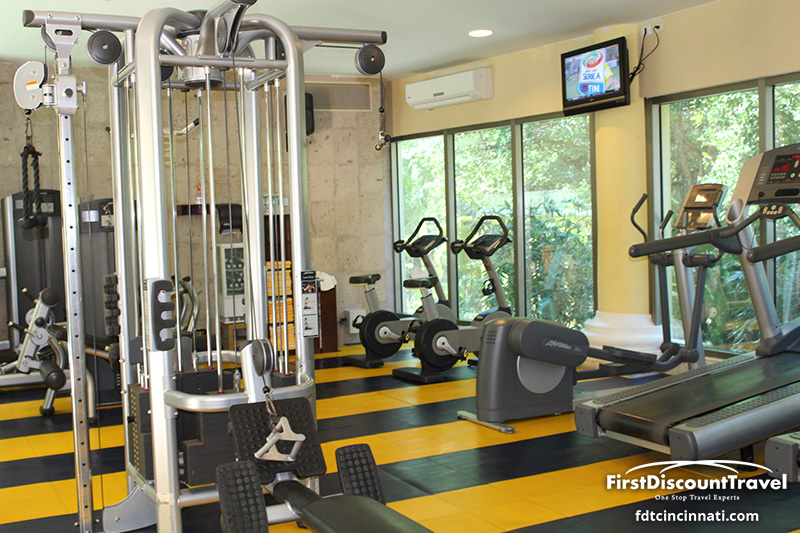 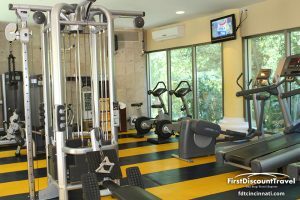 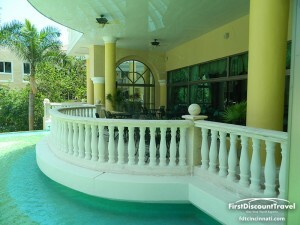 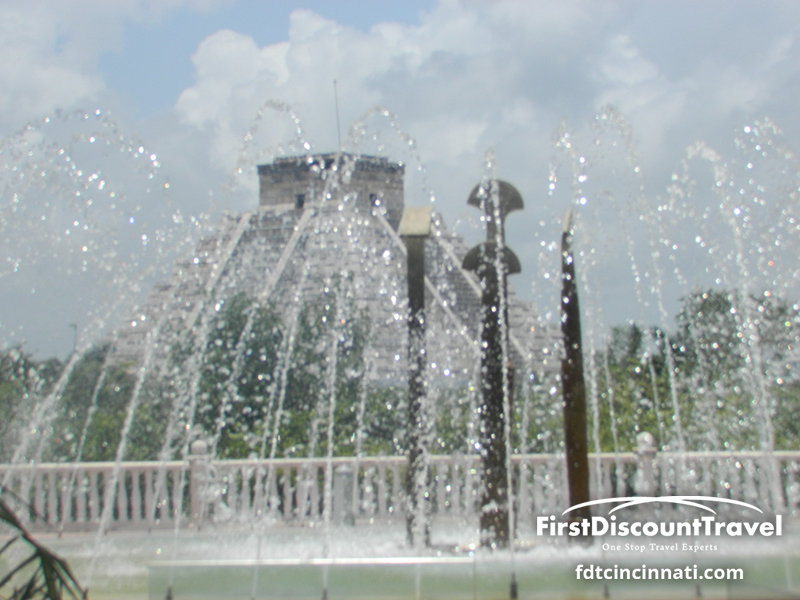 The resort has three pools (relaxation pool, main pool with swim up bar, and indoor pool with retractable glass roof). 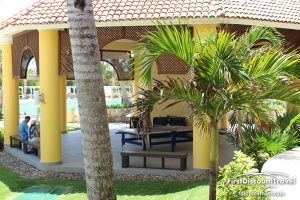 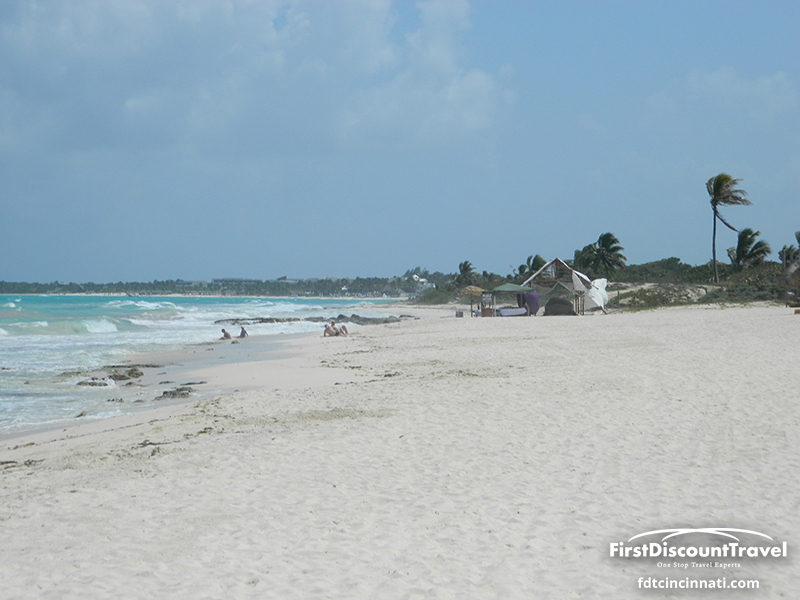 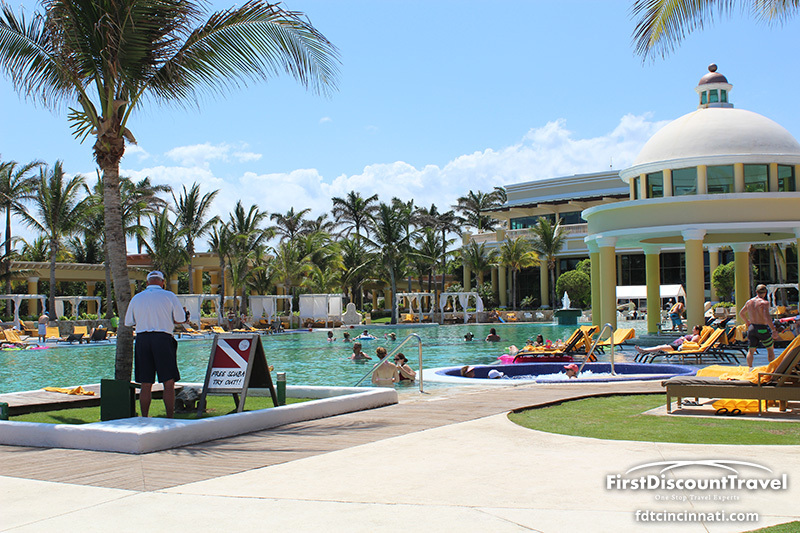 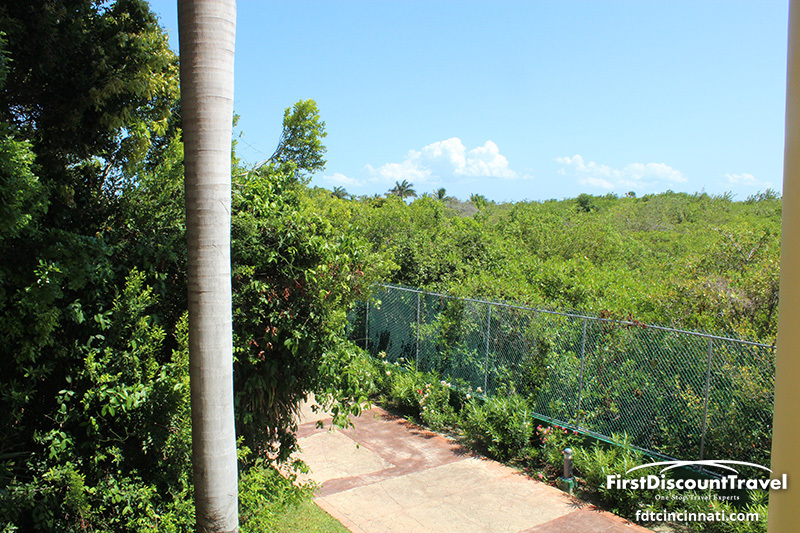 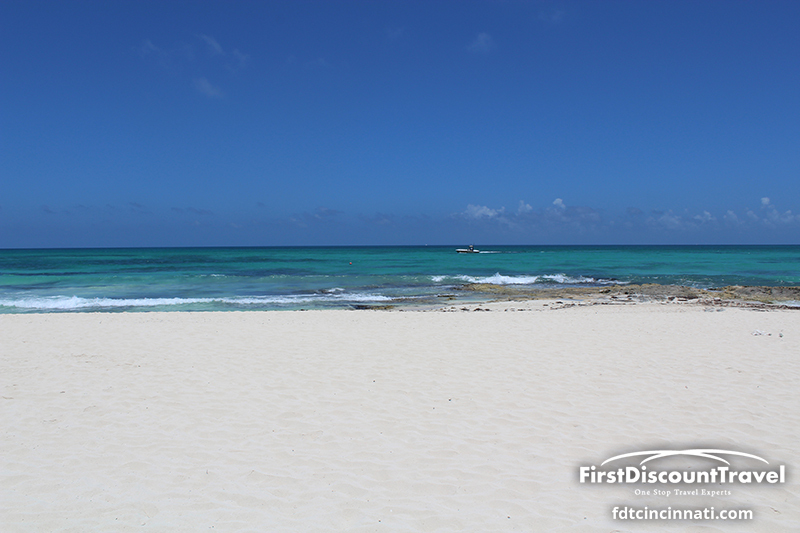 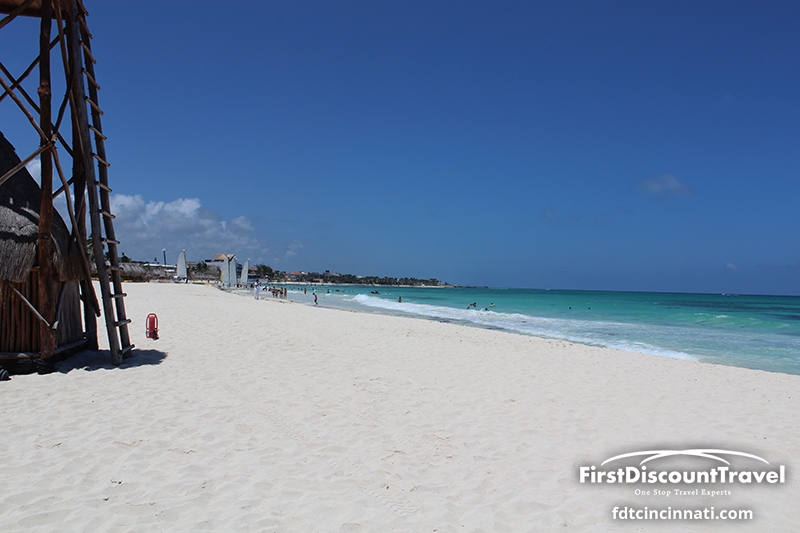 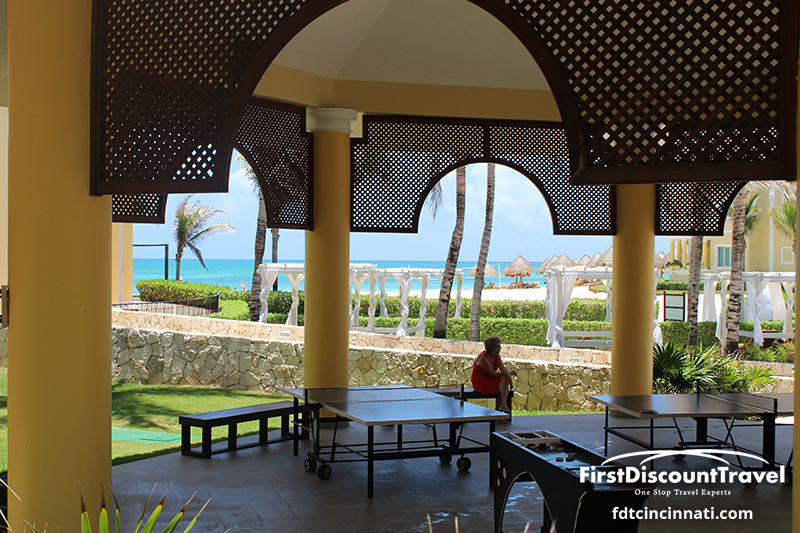 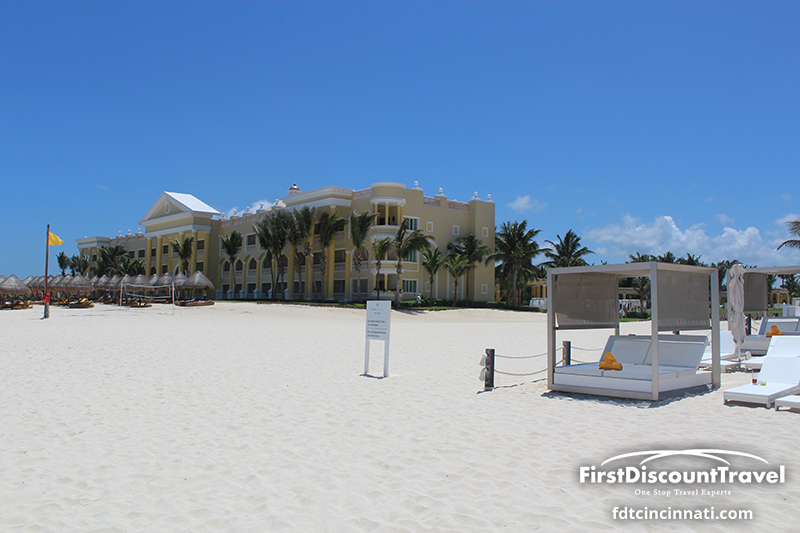 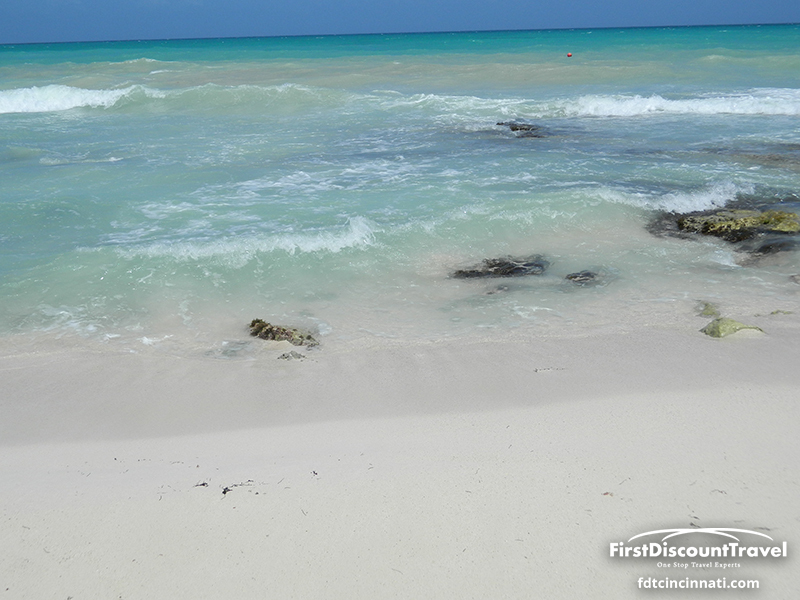 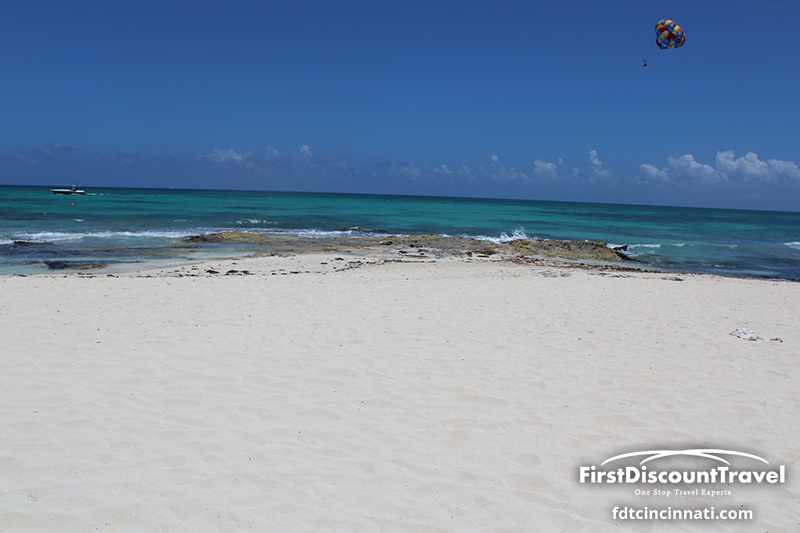 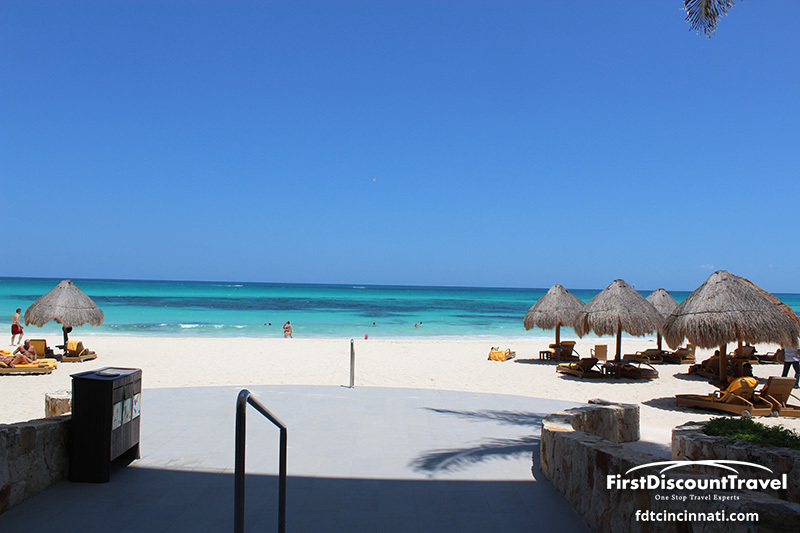 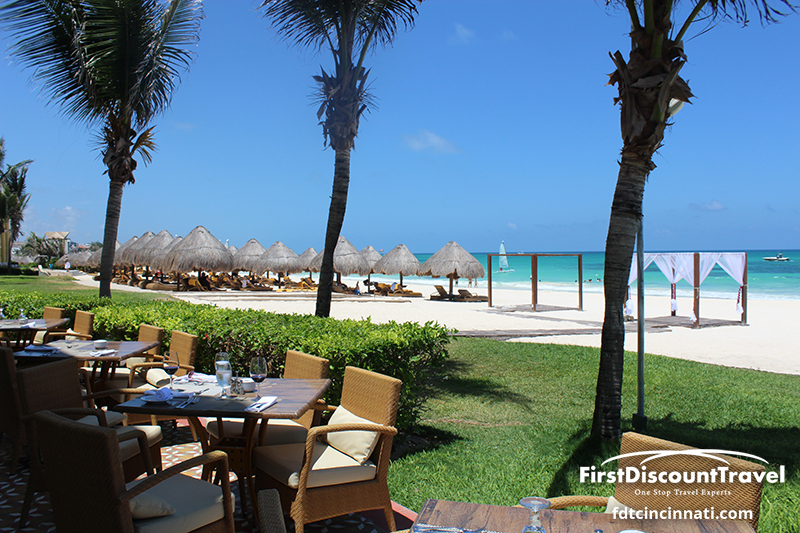 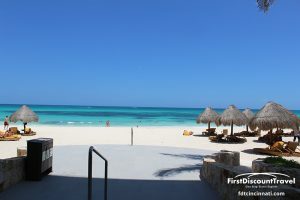 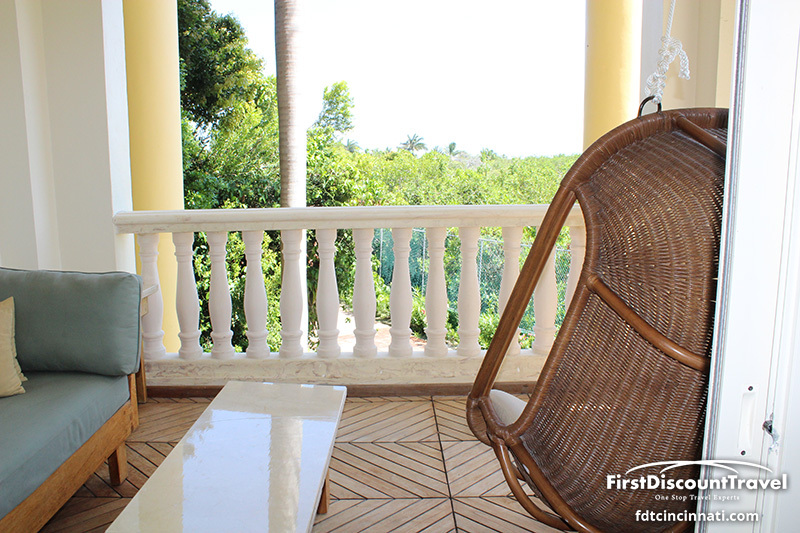 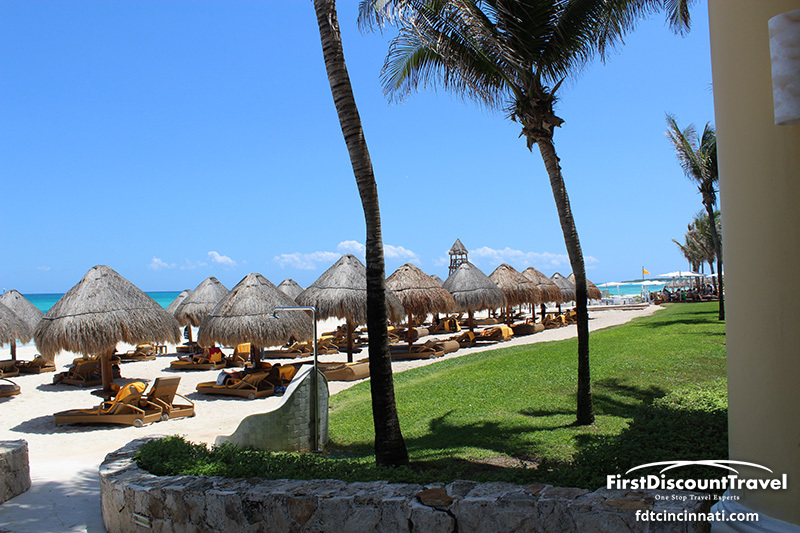 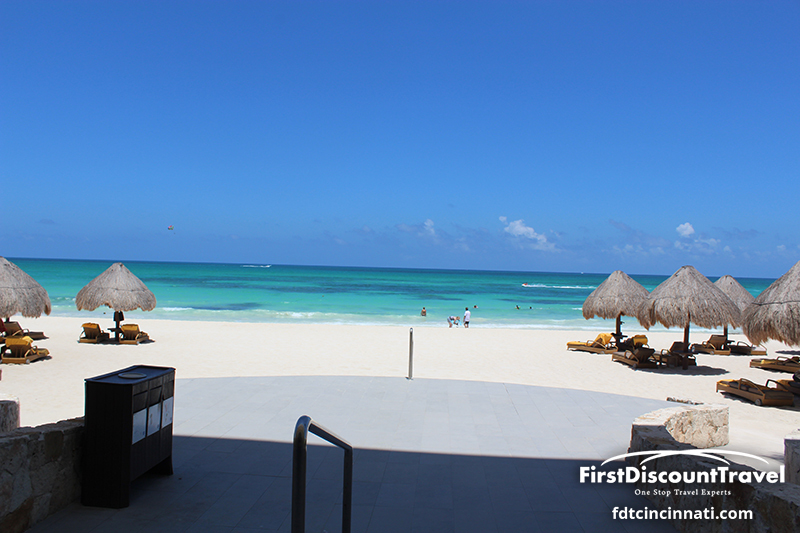 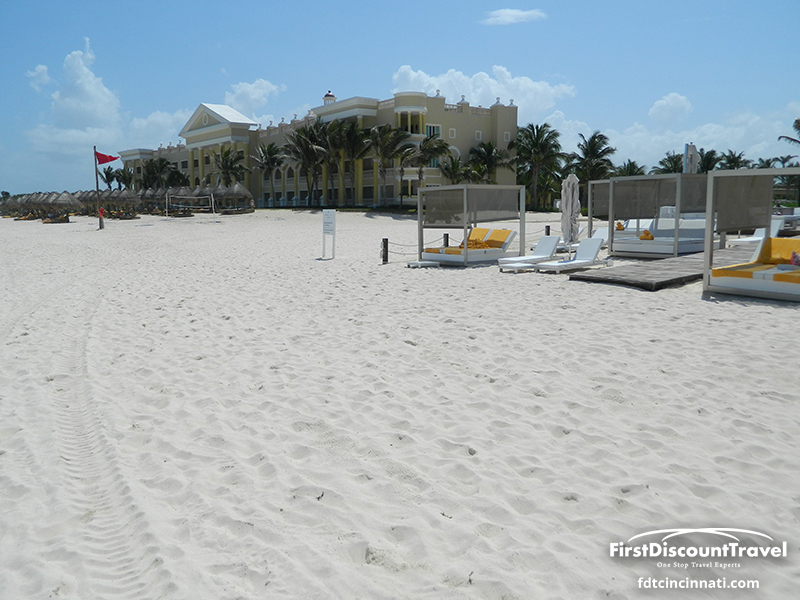 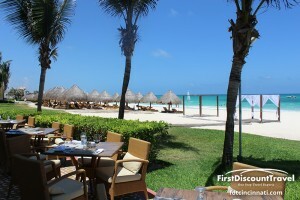 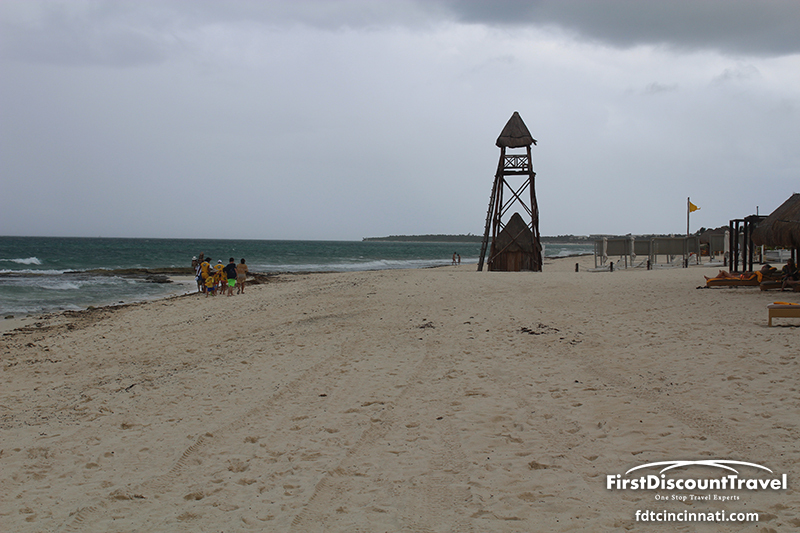 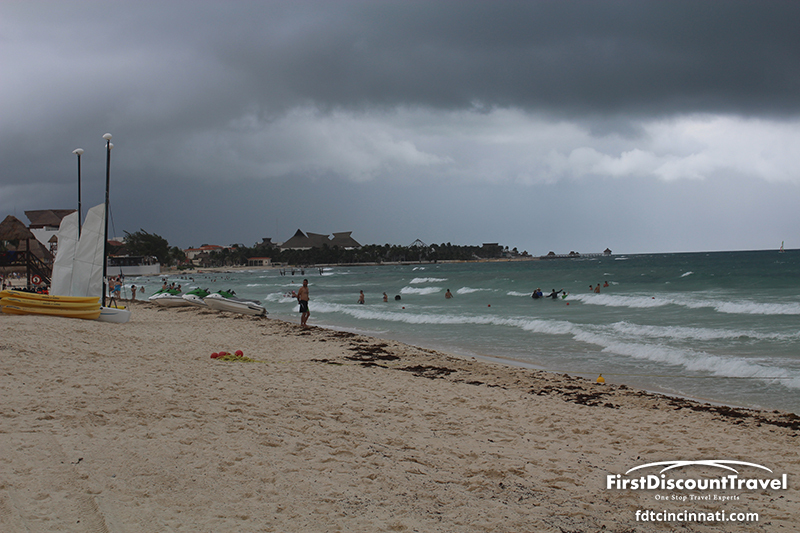 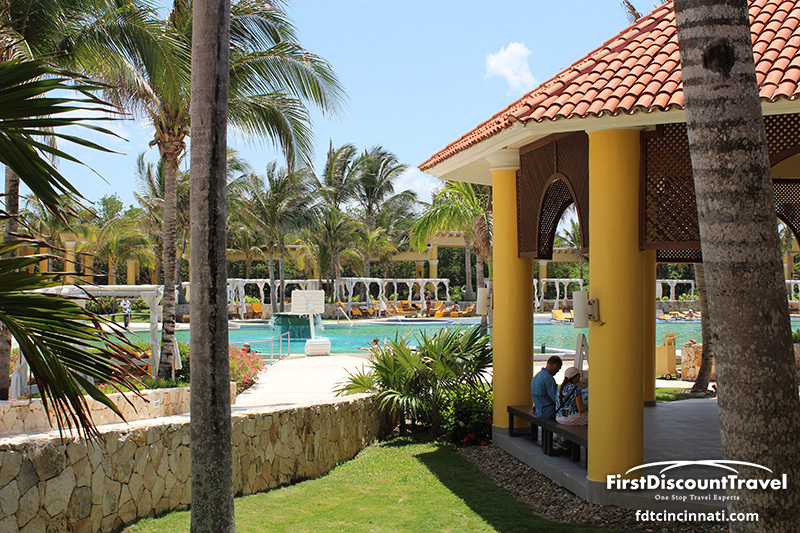 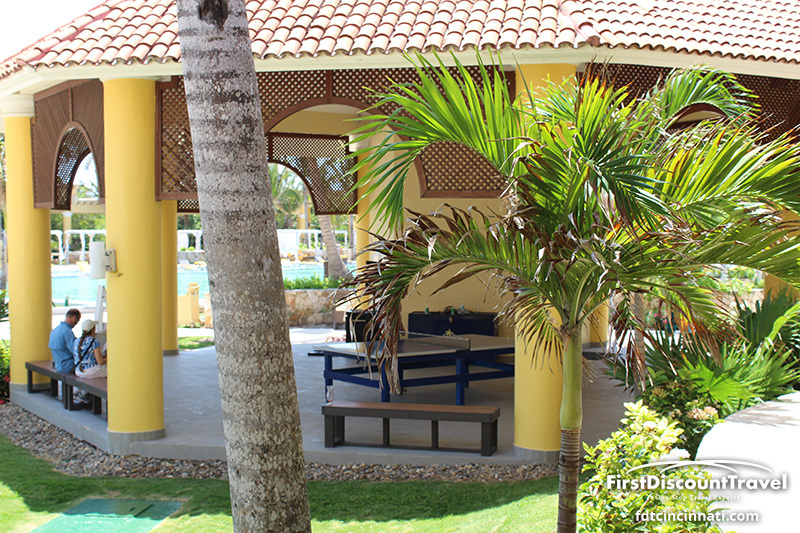 The resort shares the beach with the 4 family Iberostar properties on Parasio Beach. 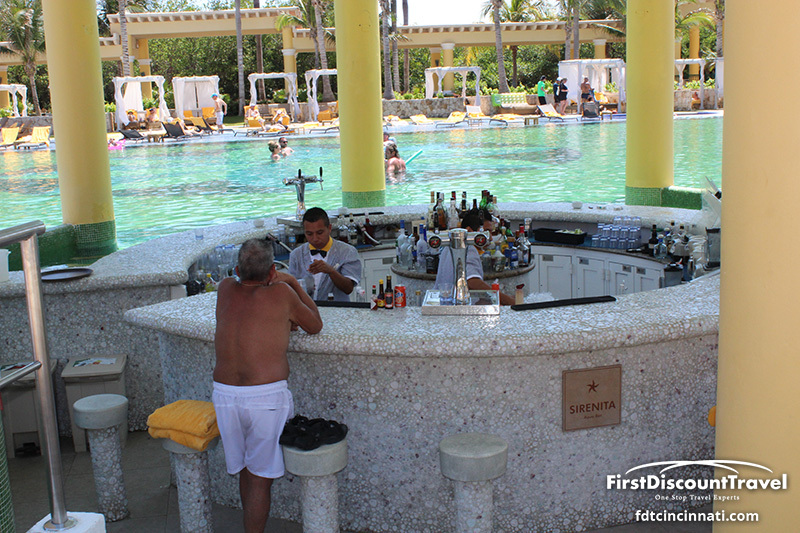 Waiter service is available at the pool and the beach. 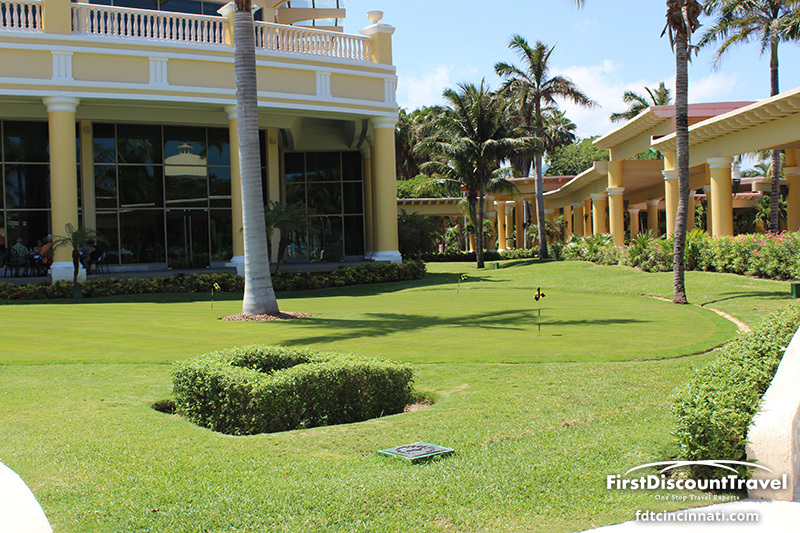 Guests at the Grand receive 2 rounds of golf for a 4 night stay. 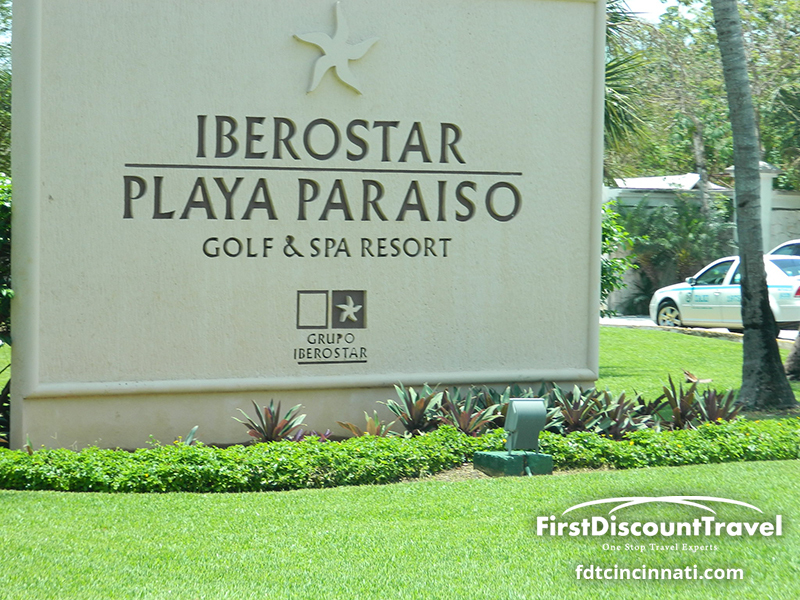 If you stay a week, you receive 4 rounds of golf per room at the Pete Dye designed golf course (carts included, clubs are not and caddies are not mandatory)(golf promotion subject to change). 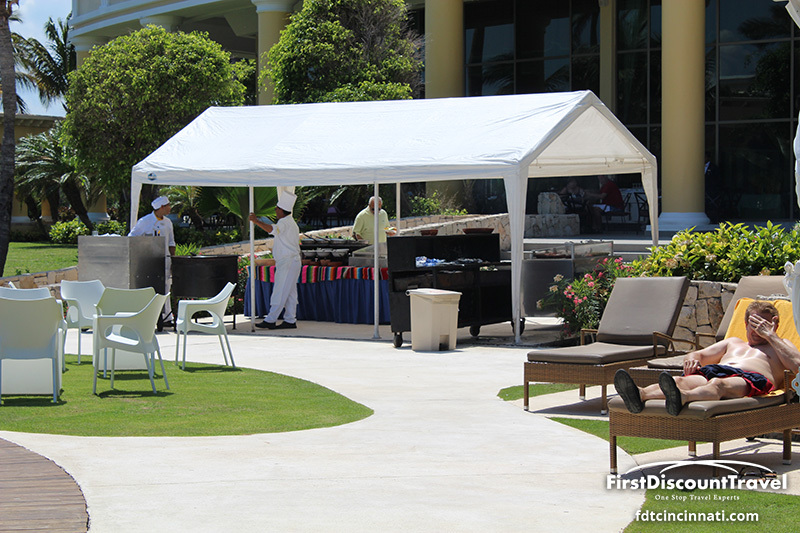 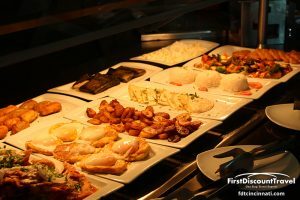 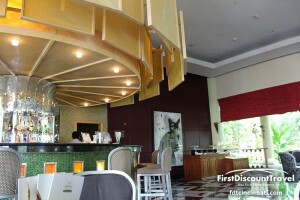 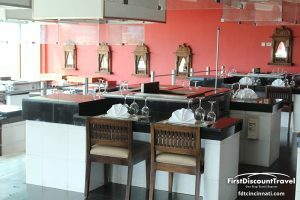 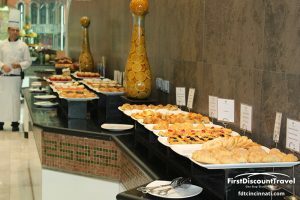 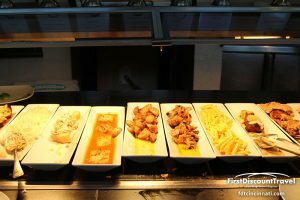 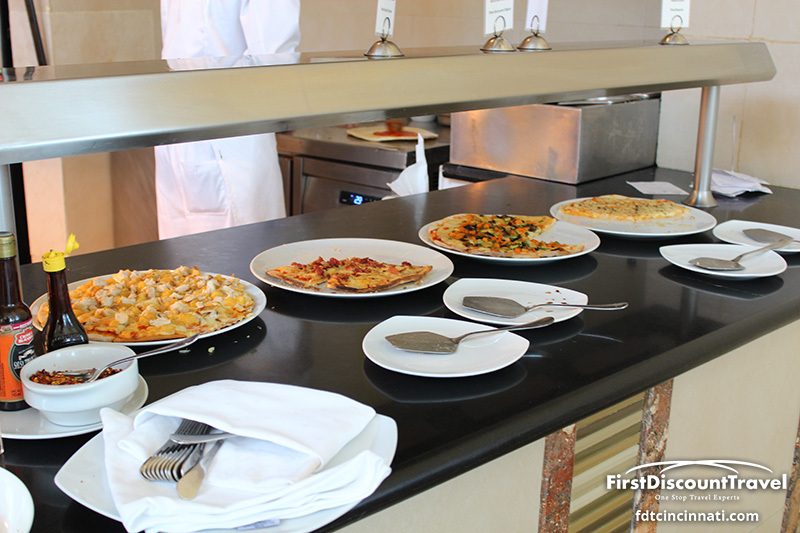 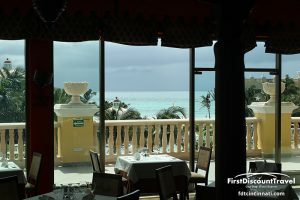 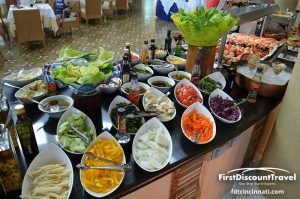 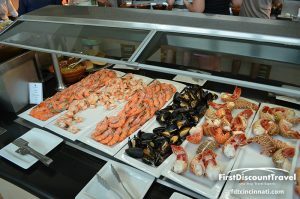 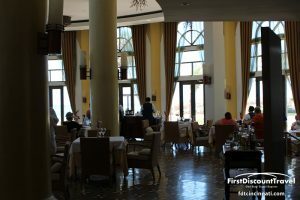 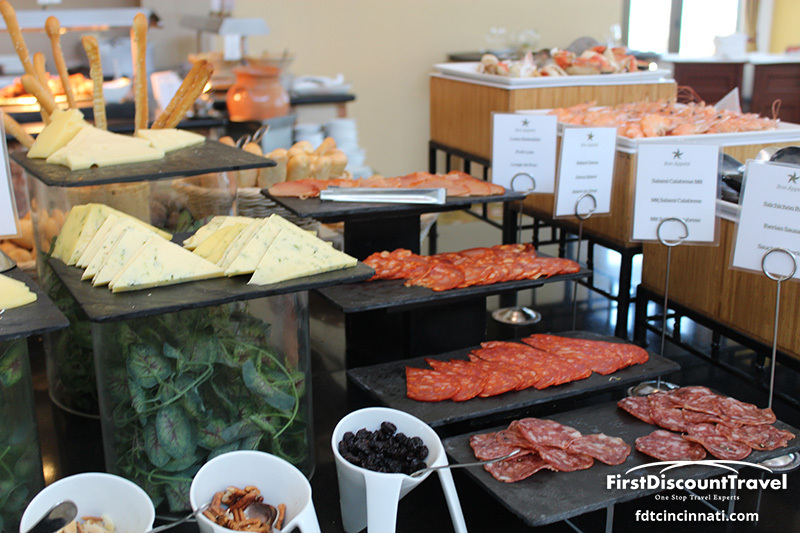 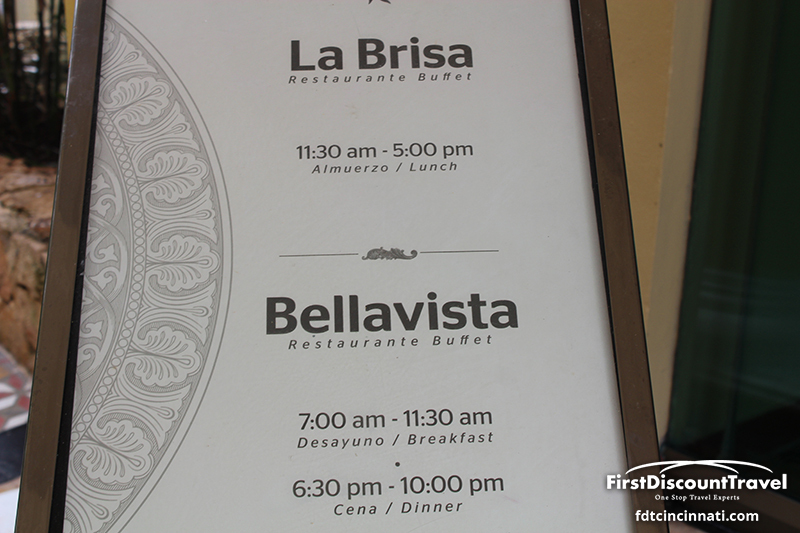 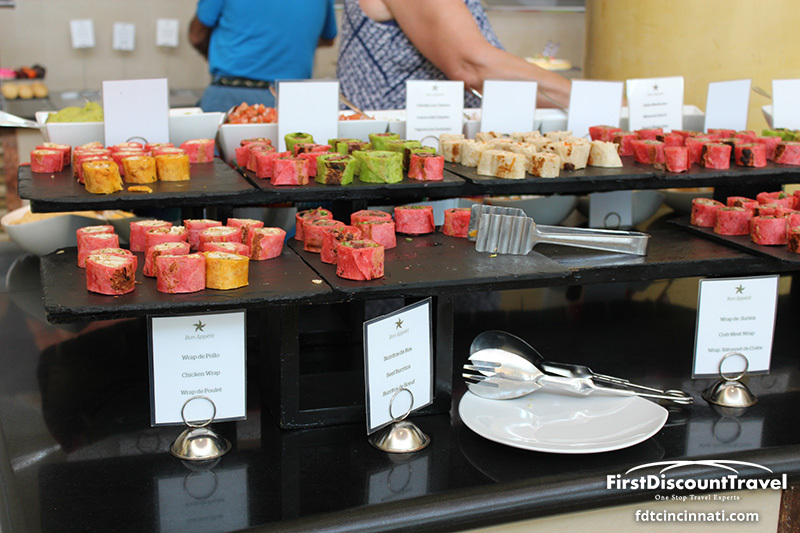 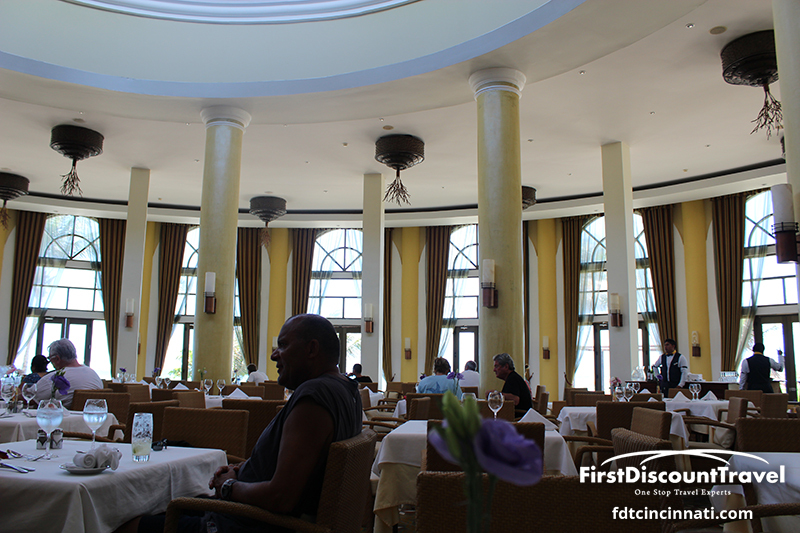 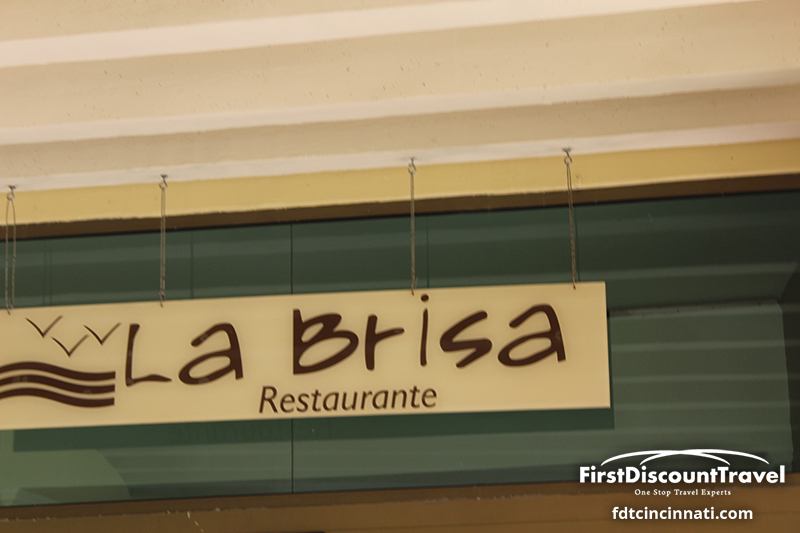 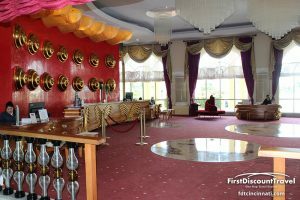 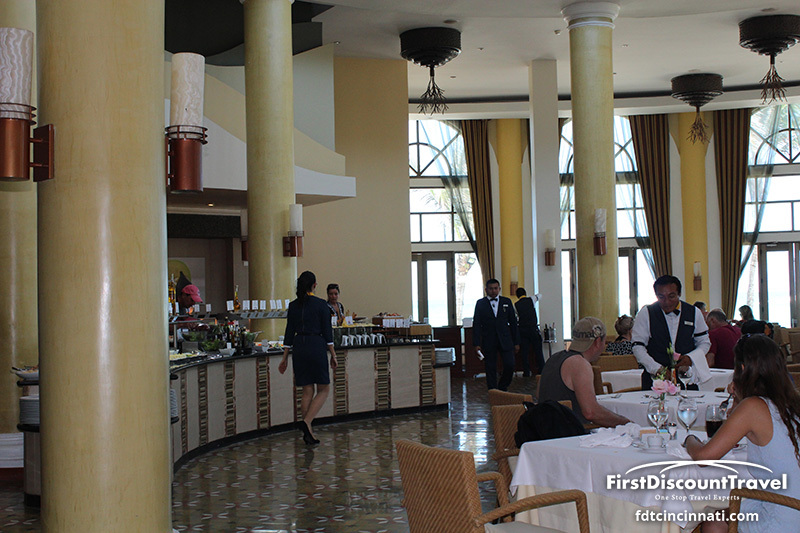 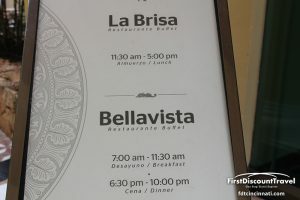 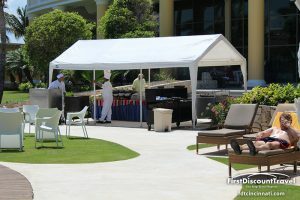 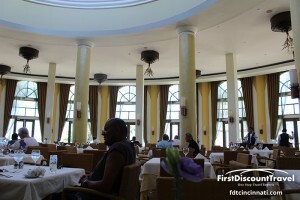 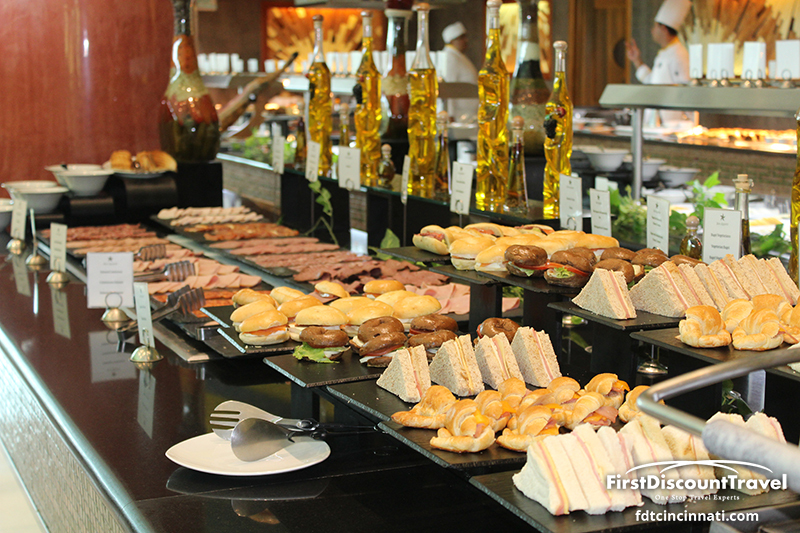 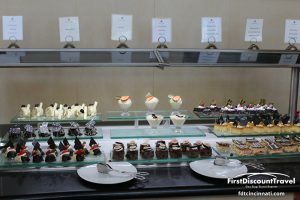 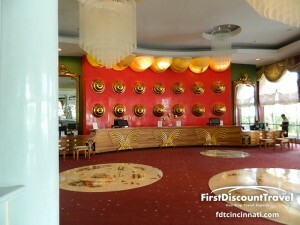 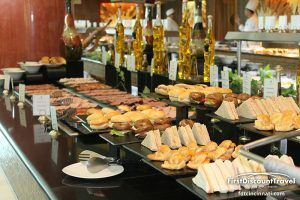 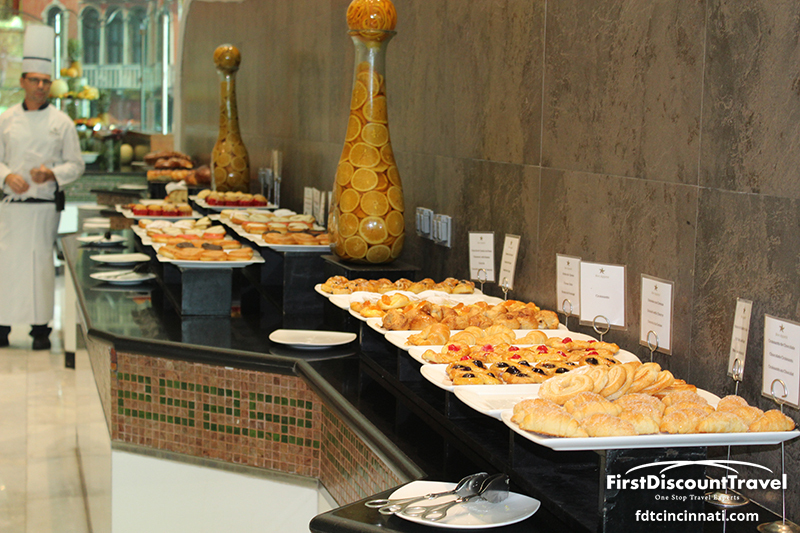 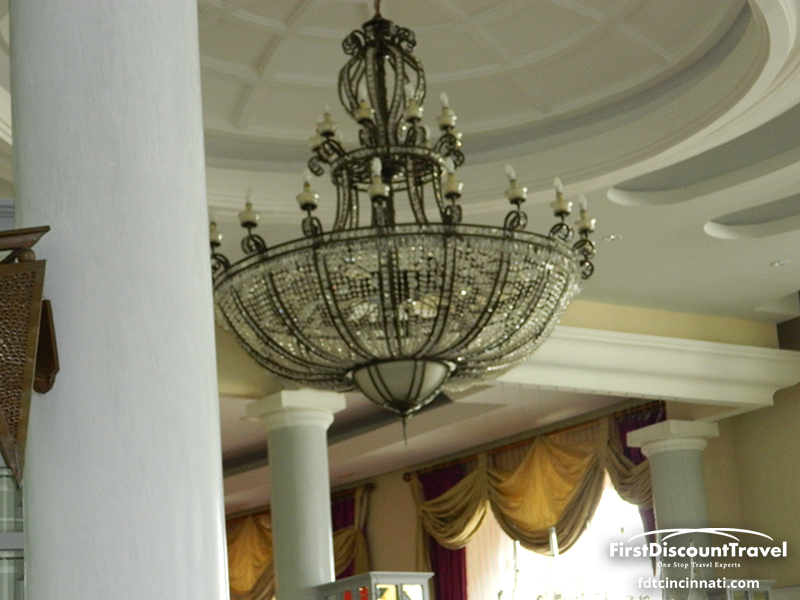 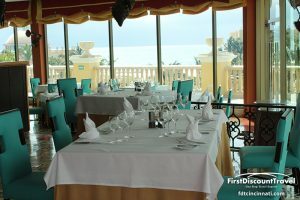 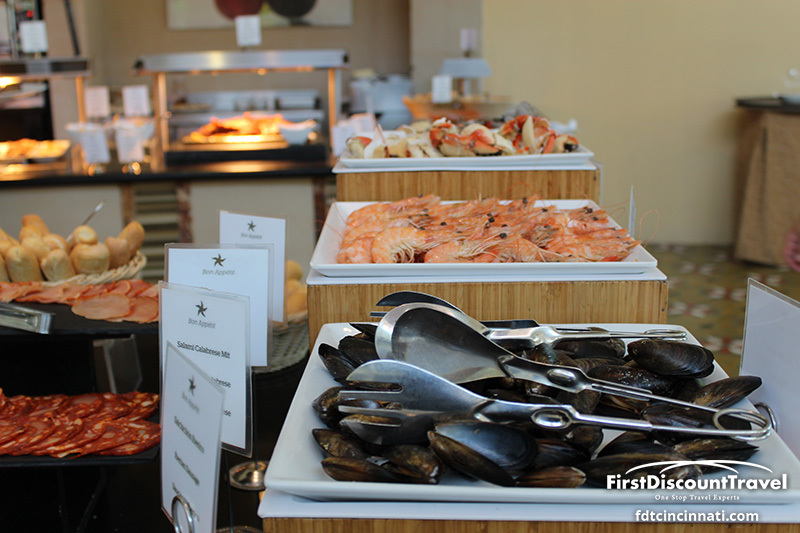 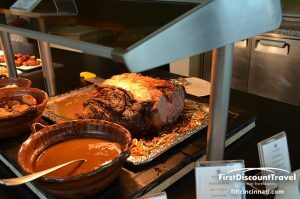 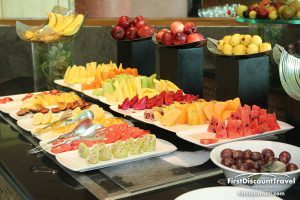 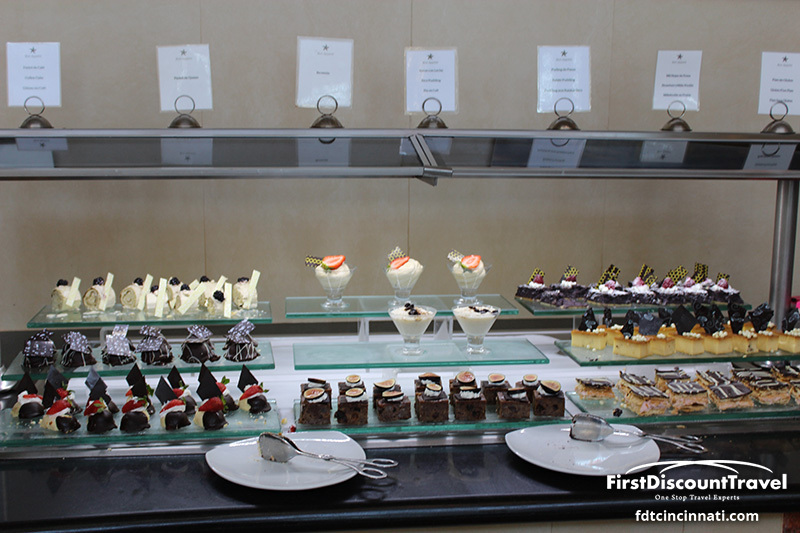 The resort has 6 restaurants, of which 2 are buffets (for breakfast only). 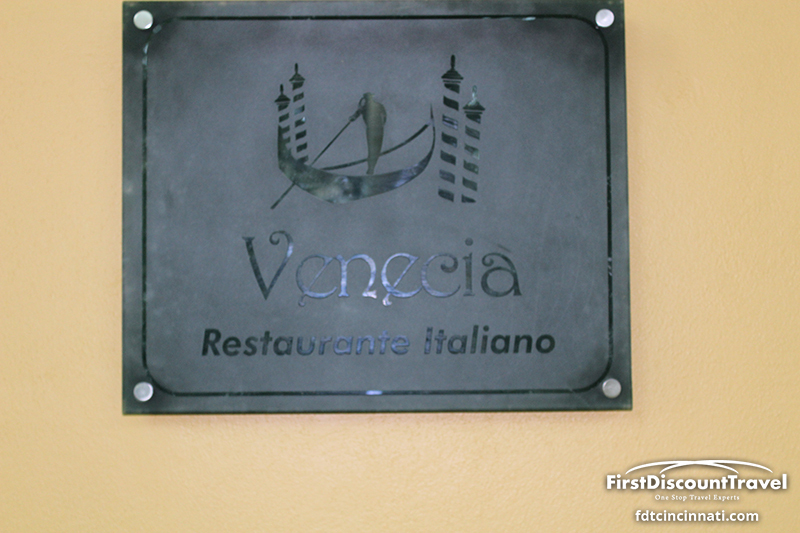 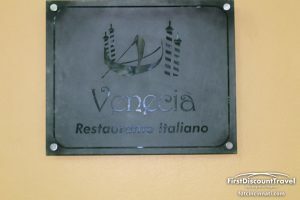 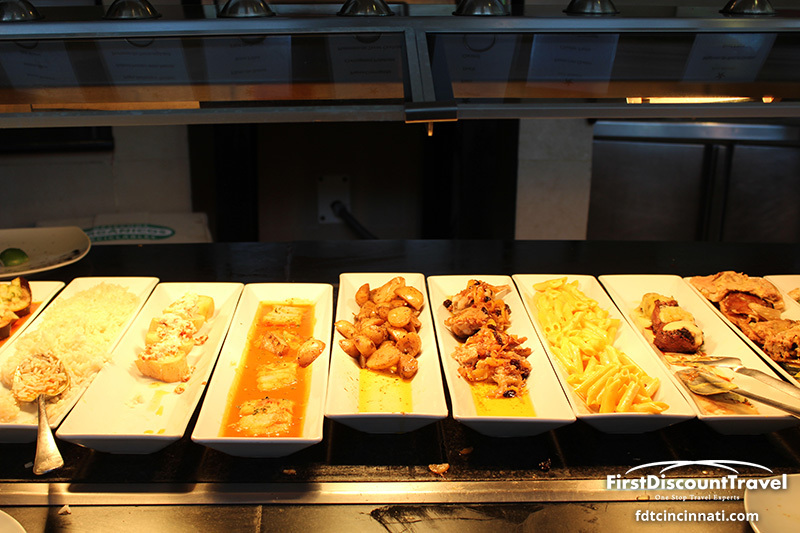 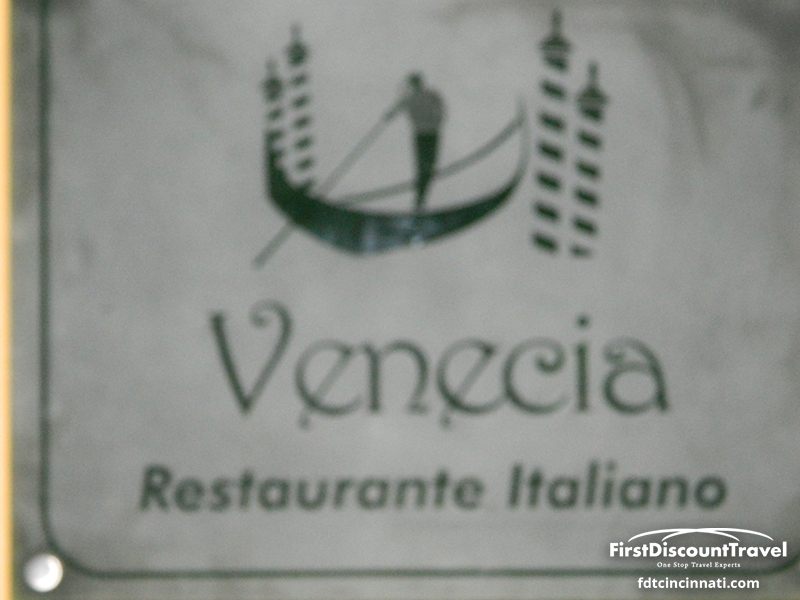 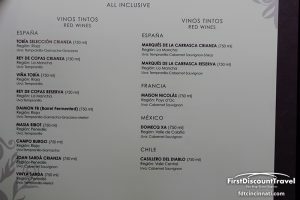 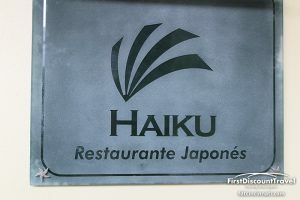 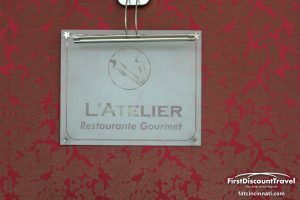 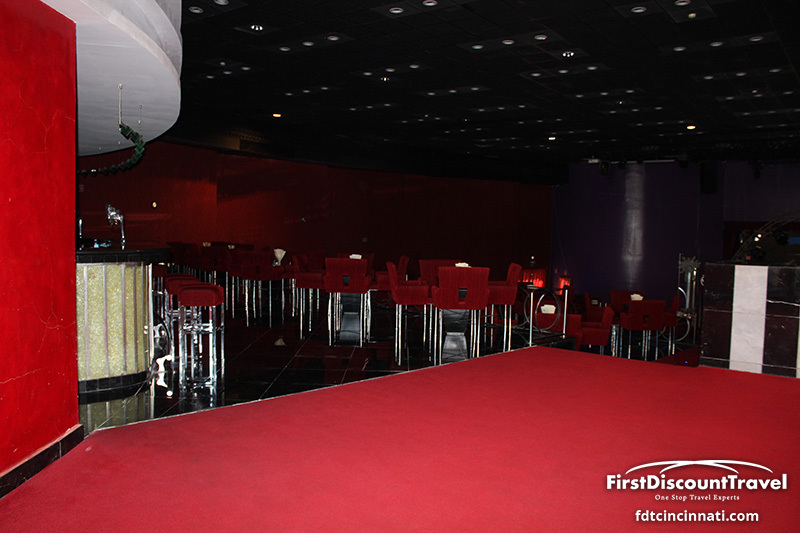 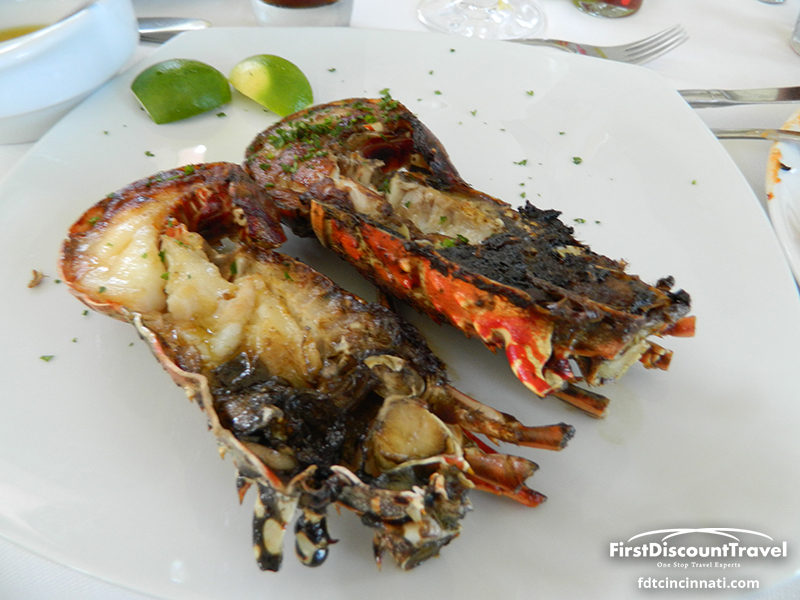 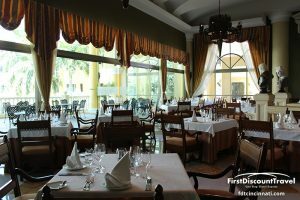 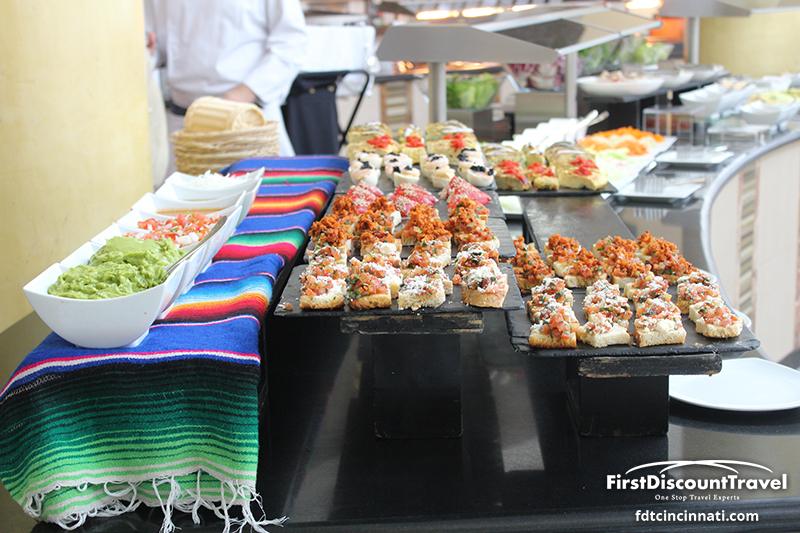 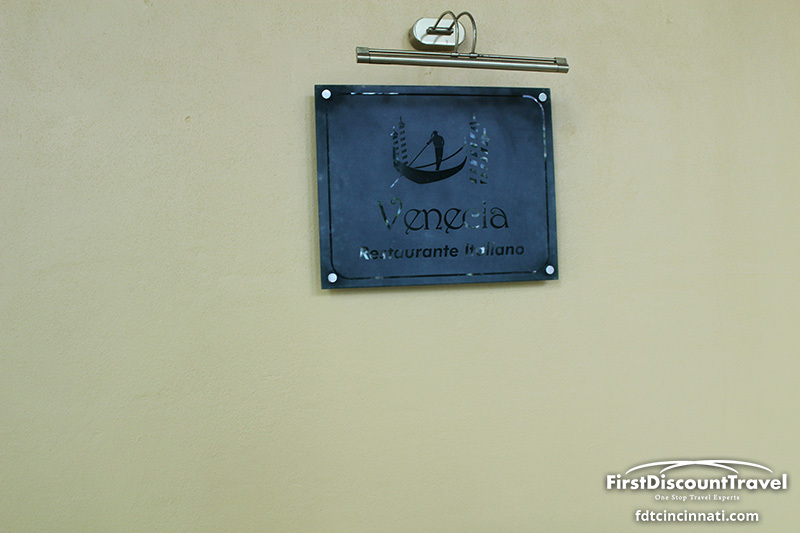 The four a la carte restaurants have the following themes: Italian, French, Japanese teppanaki, and surf and turf. 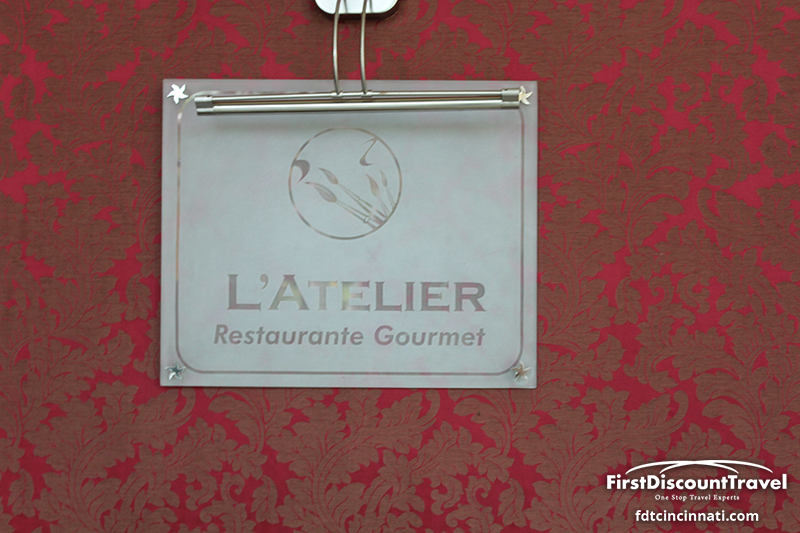 There are no dining restrictions. 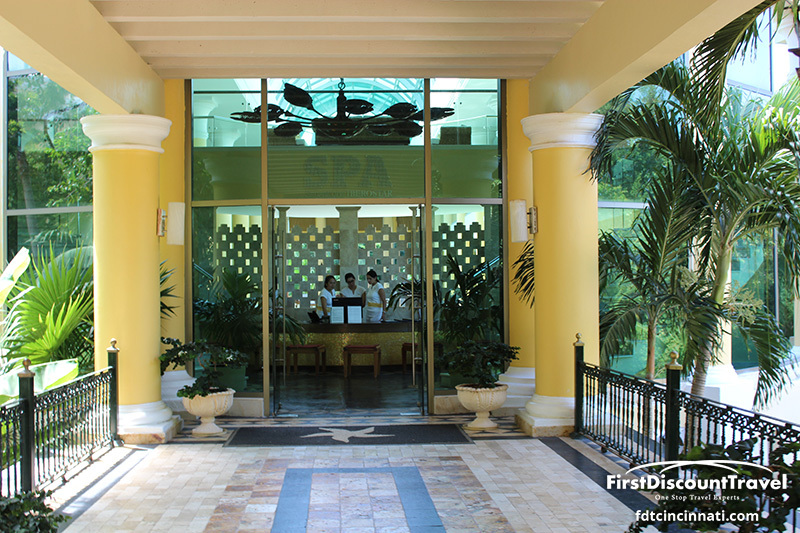 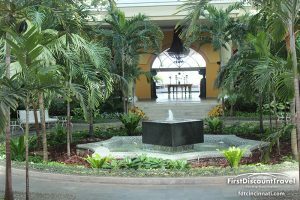 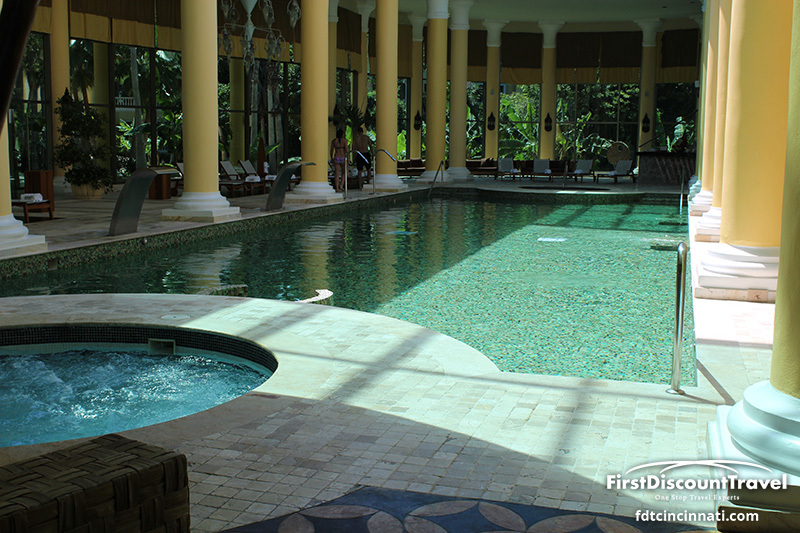 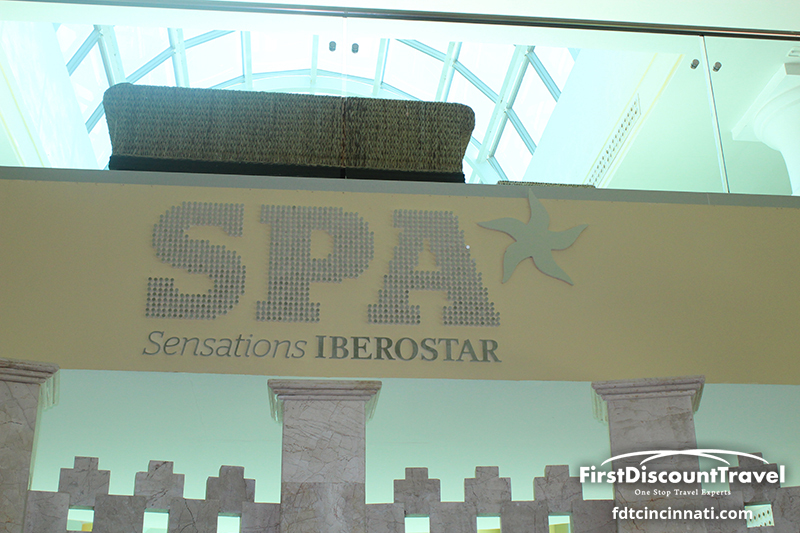 The resort has a small spa with 4 treatment rooms, and there is a 36000 square foot spa near the Iberostar convention center. 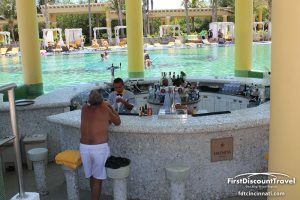 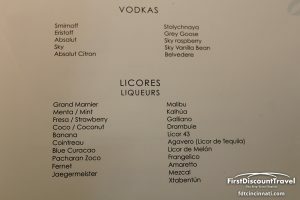 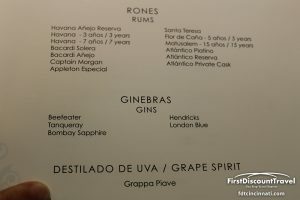 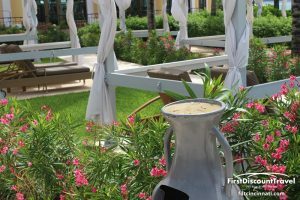 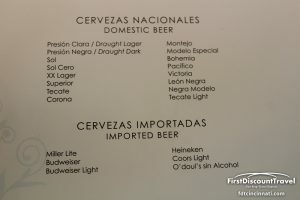 The resort offers super high end liquor (Grey Goose, Hennesey and over 20 varieties of beer, including the major American brands). 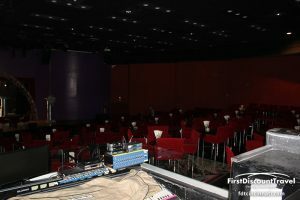 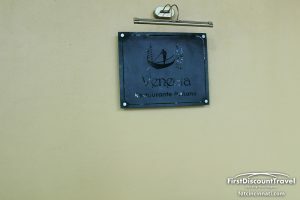 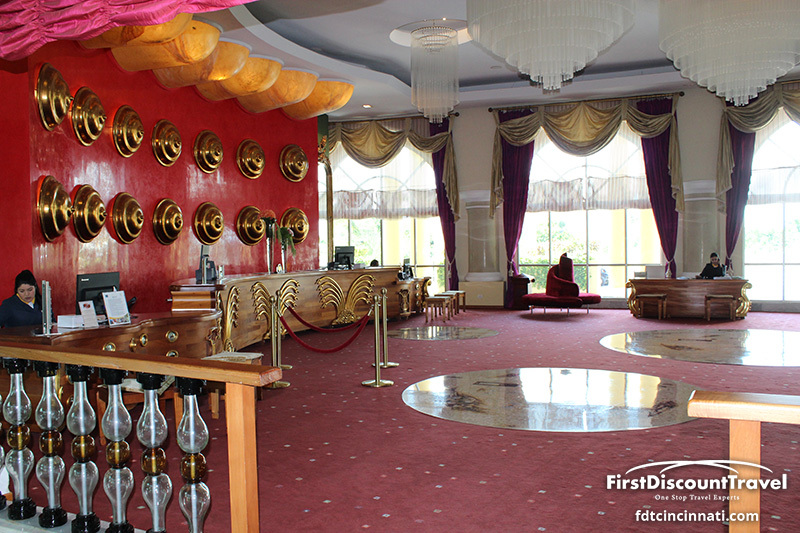 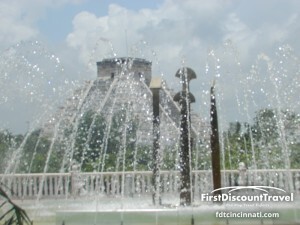 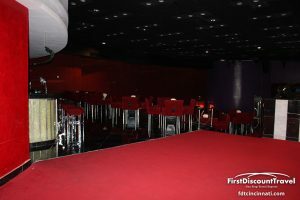 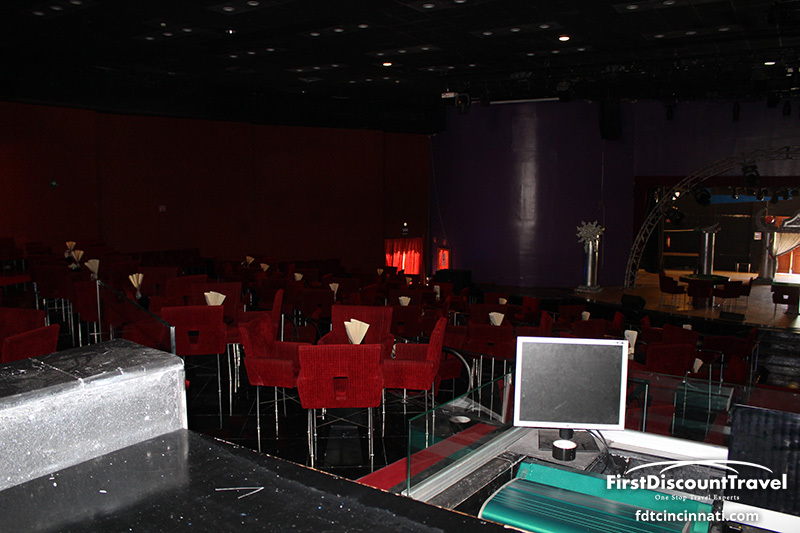 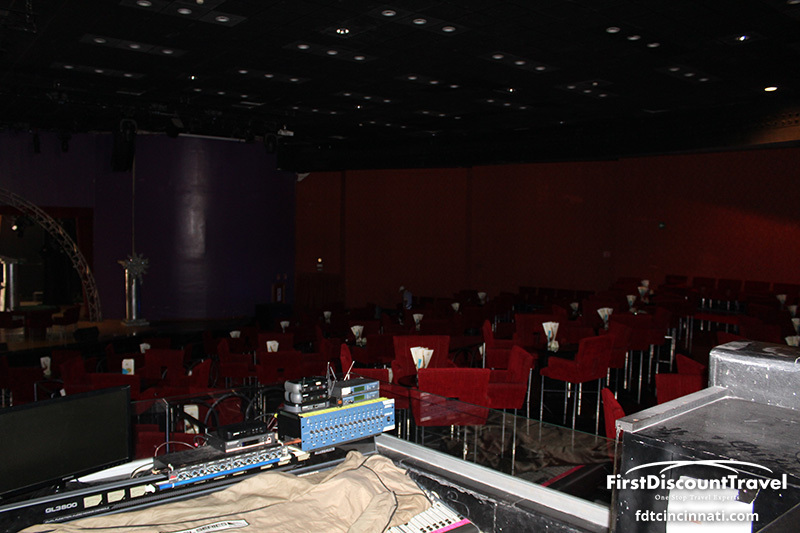 The resort has a social atmosphere and 35% of the guests hail from Europe. Overall, I love the resort! It has an amazing pool, the rooms are awesome, and the beach is very nice. 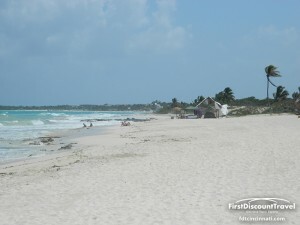 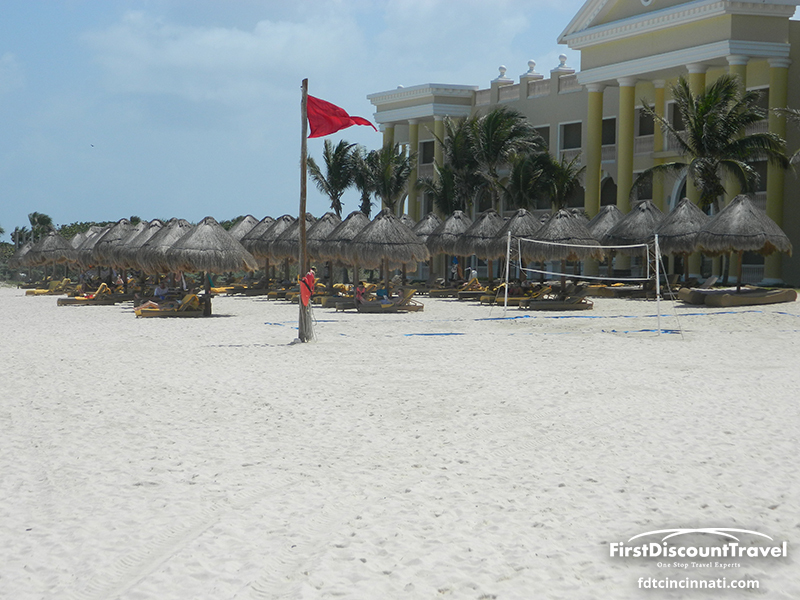 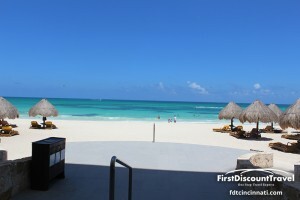 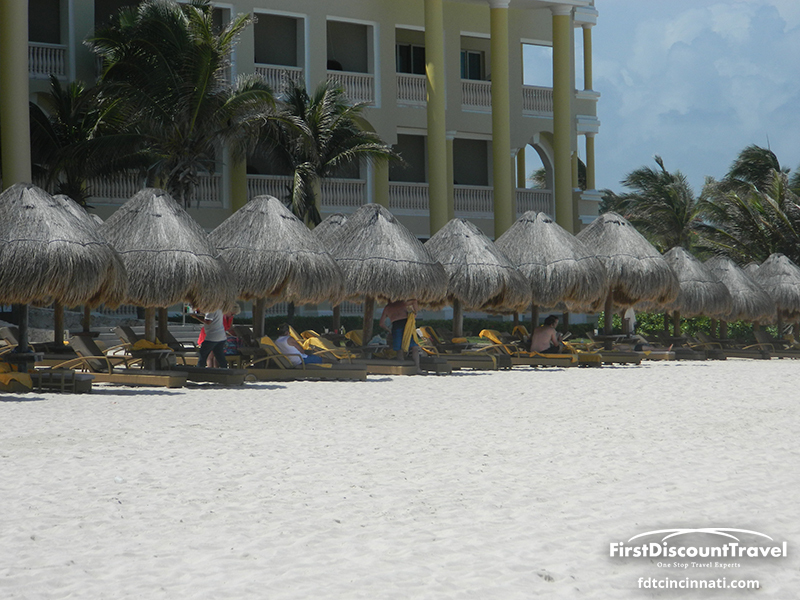 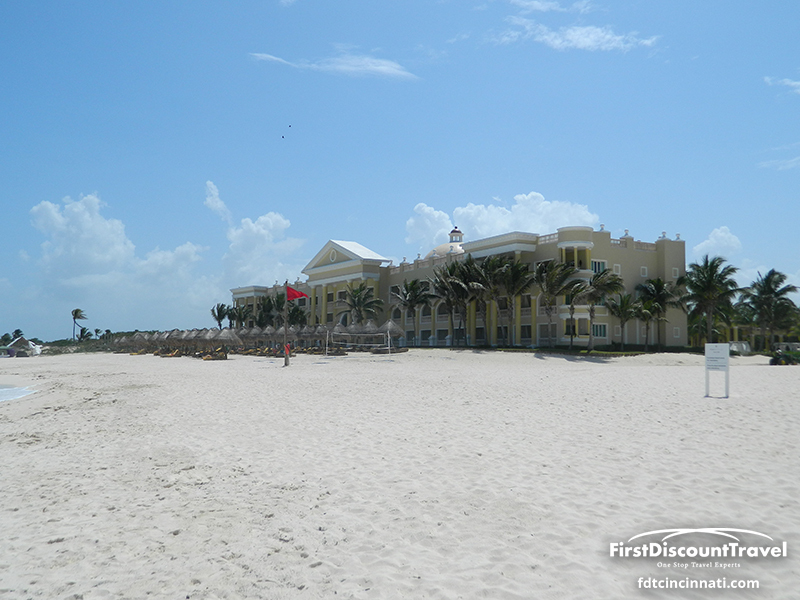 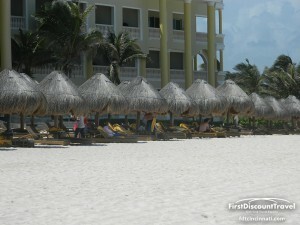 However, the beach is shared with the super family friendly sister resorts. 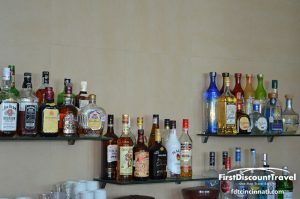 The liquor and food options look wonderful.